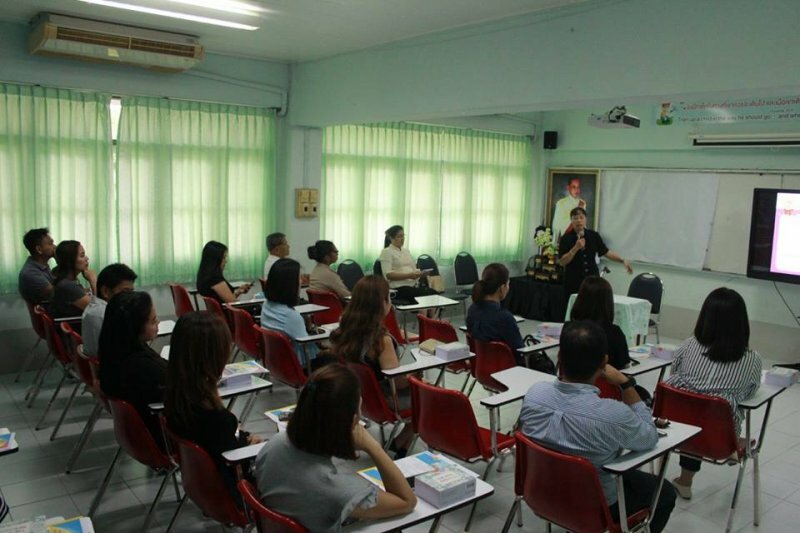 Parents of G.11 and G.12 students came to school for parents meeting at Srithammaratsuksa School English Programme on July 6th, 2017. 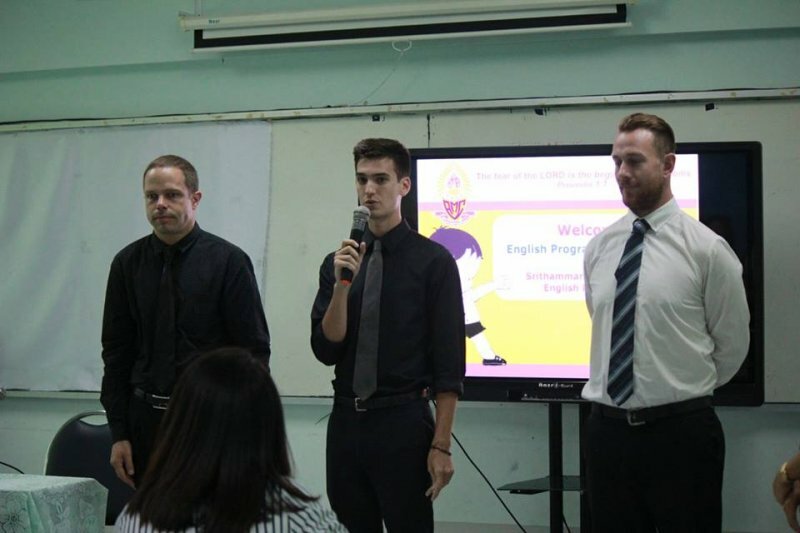 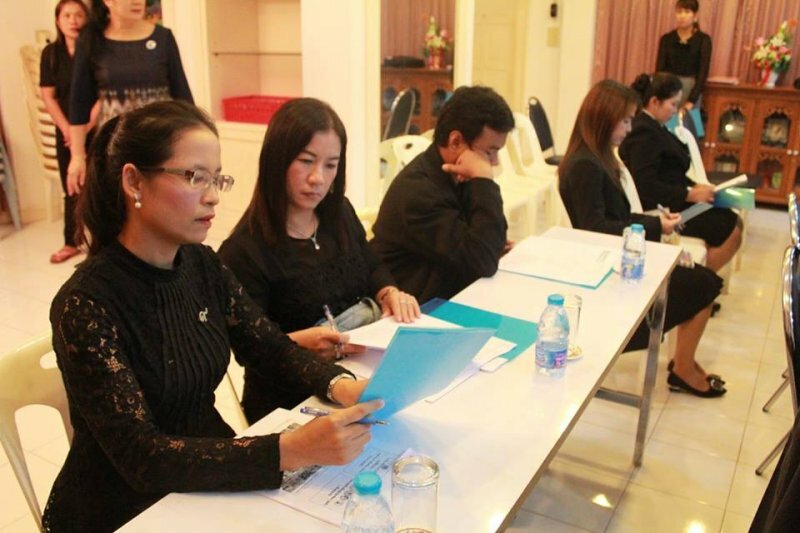 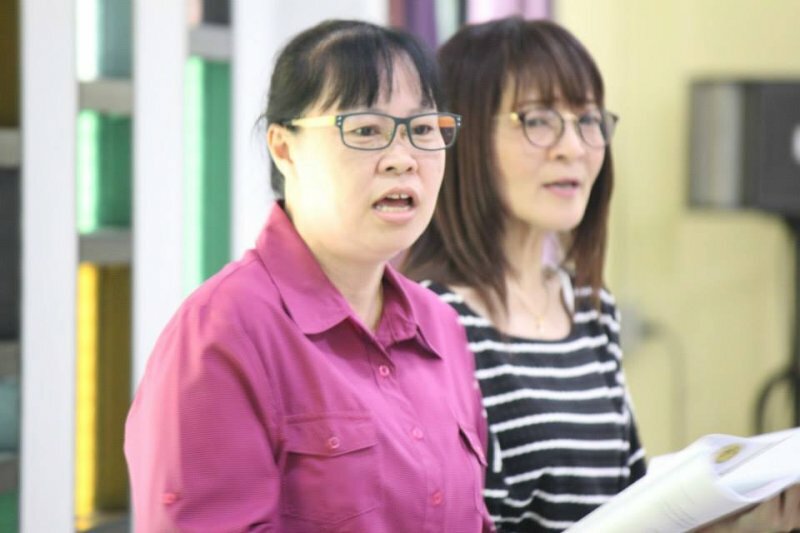 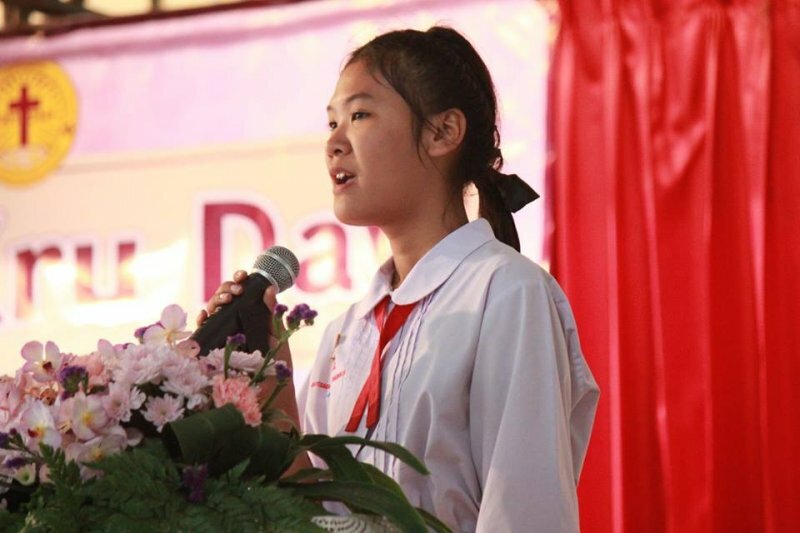 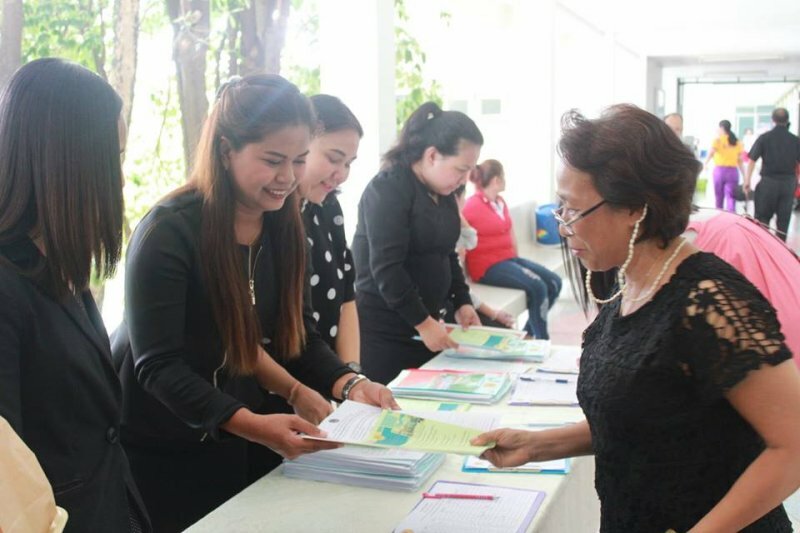 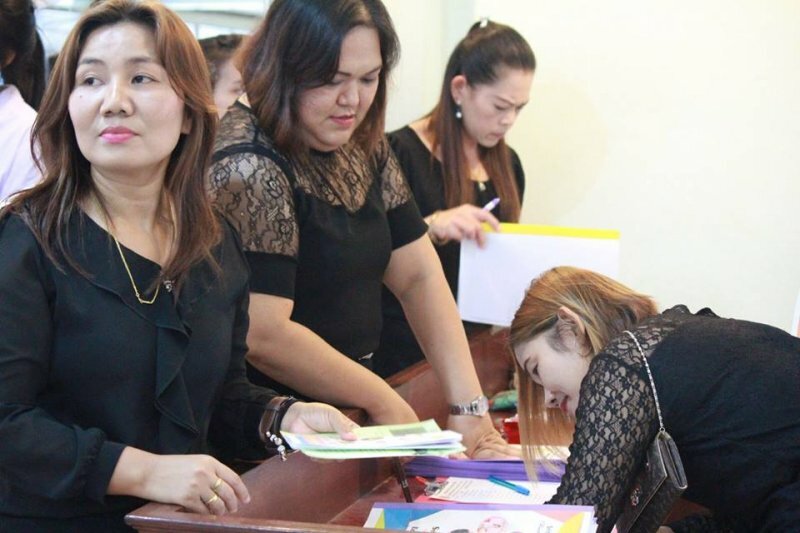 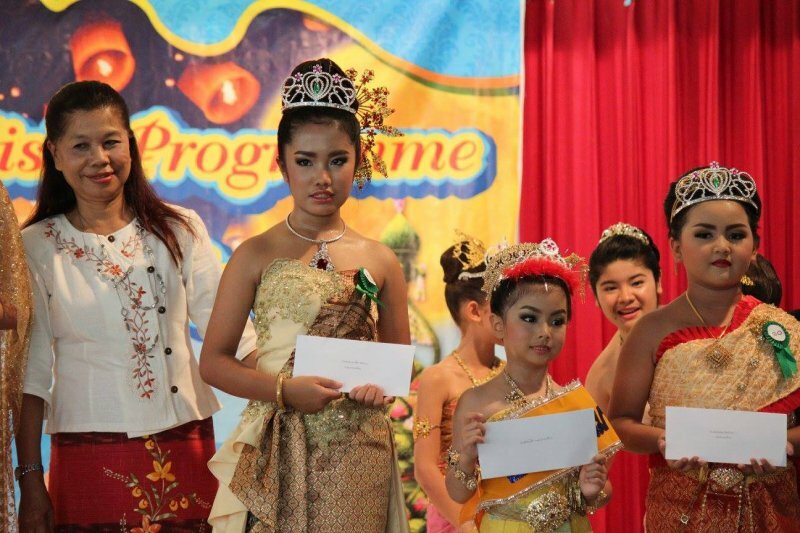 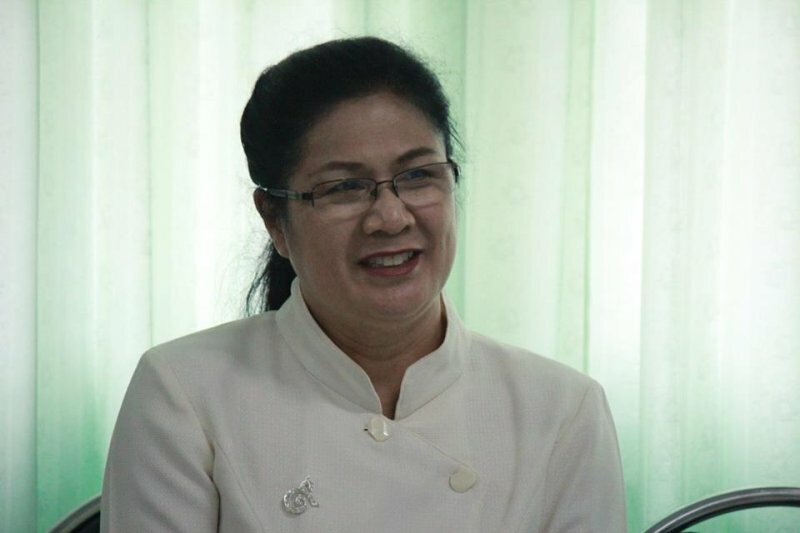 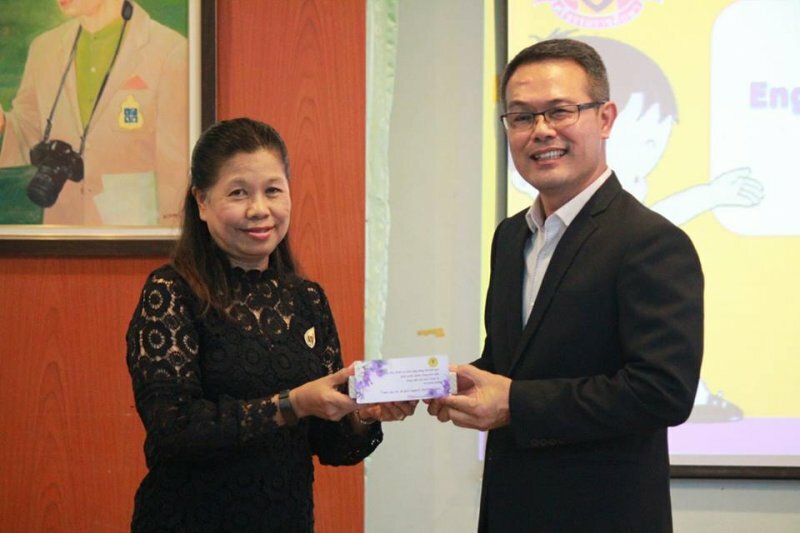 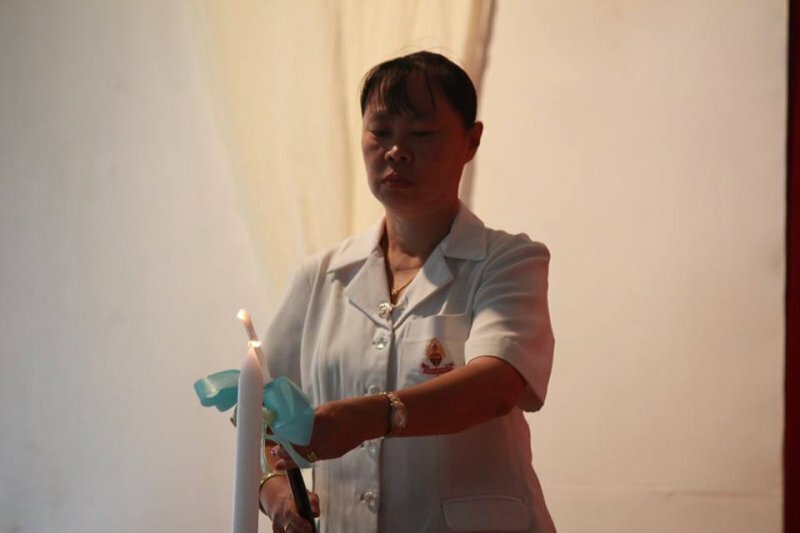 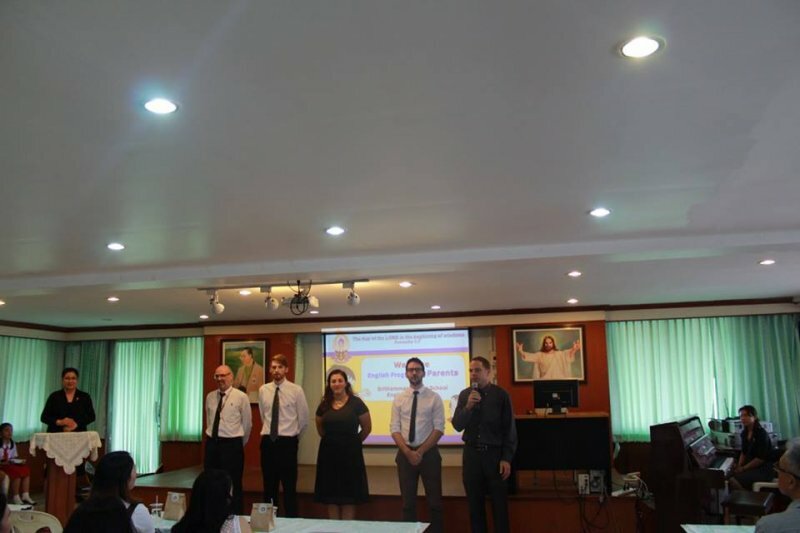 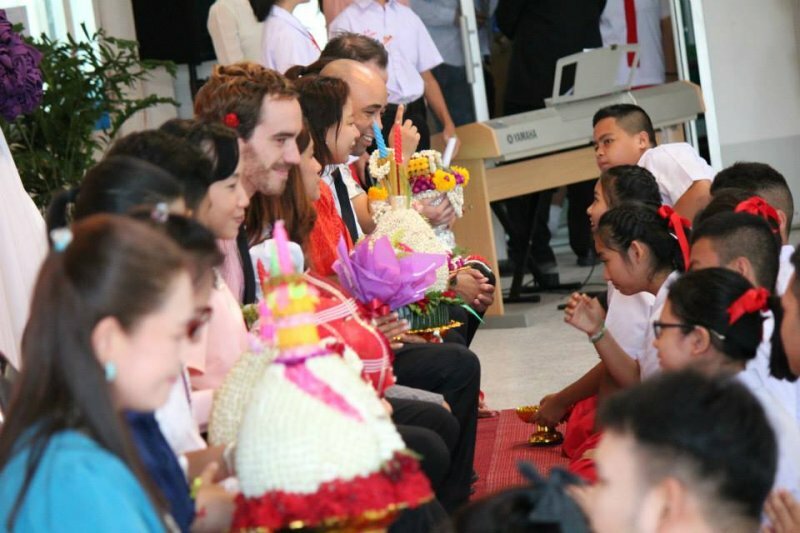 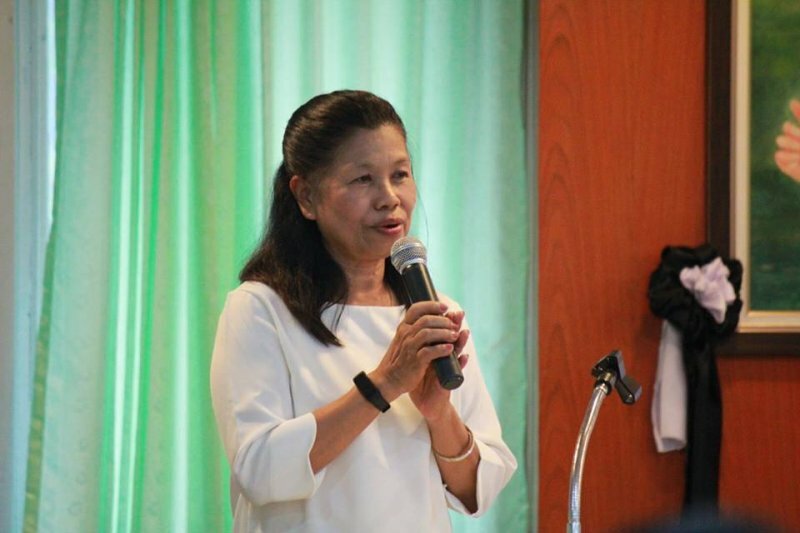 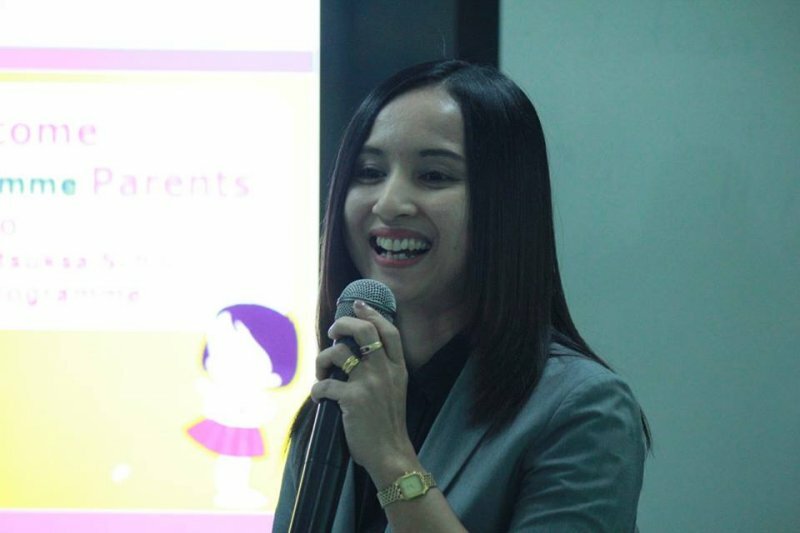 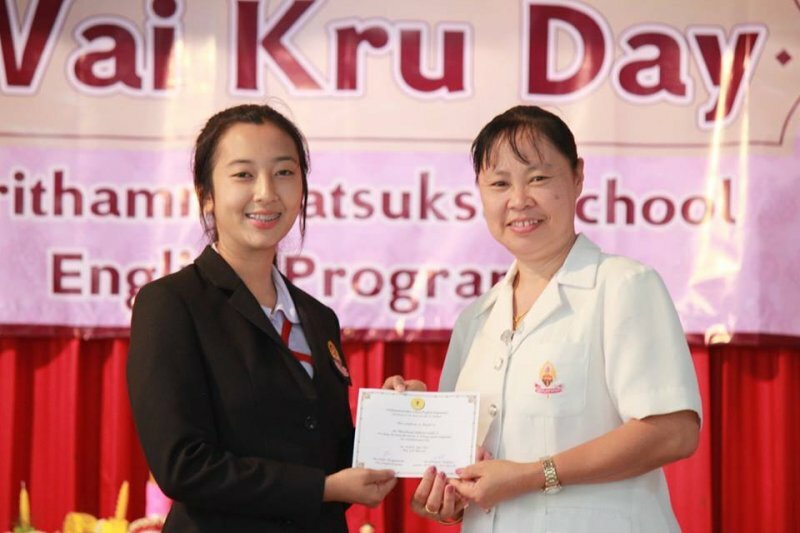 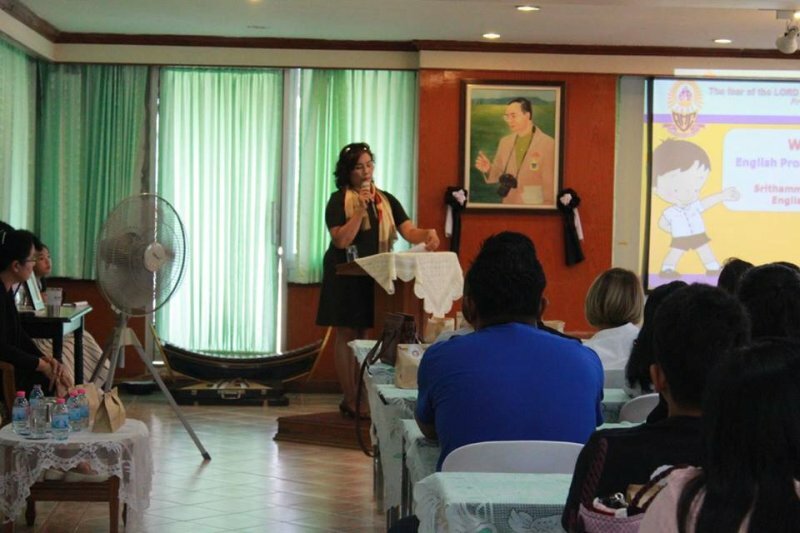 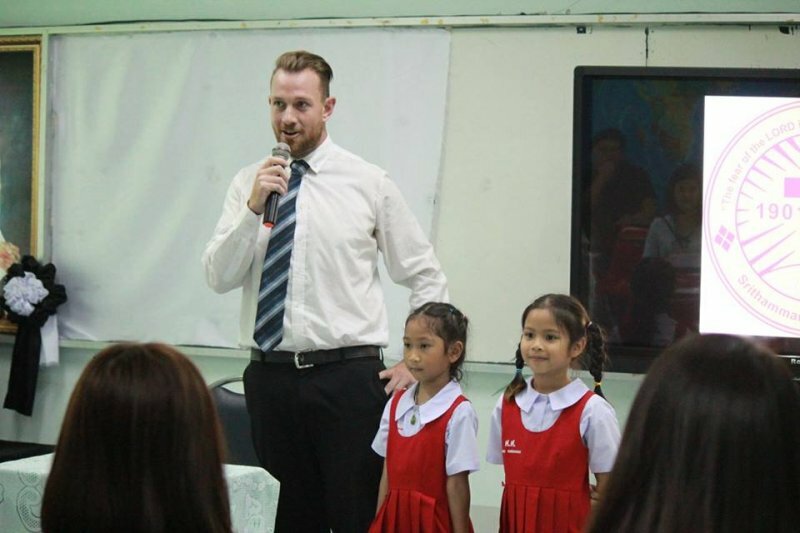 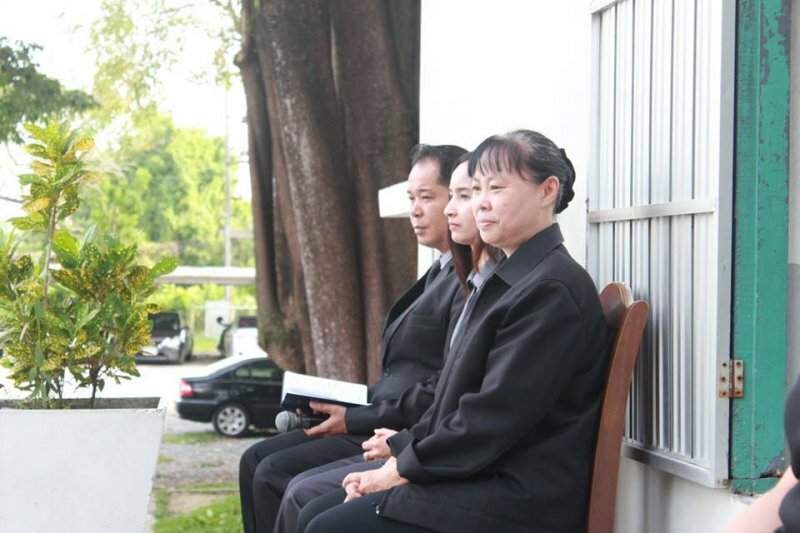 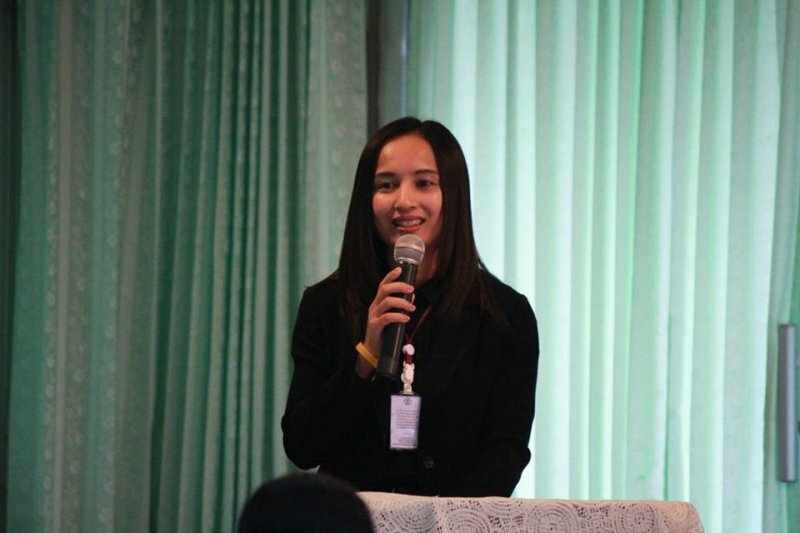 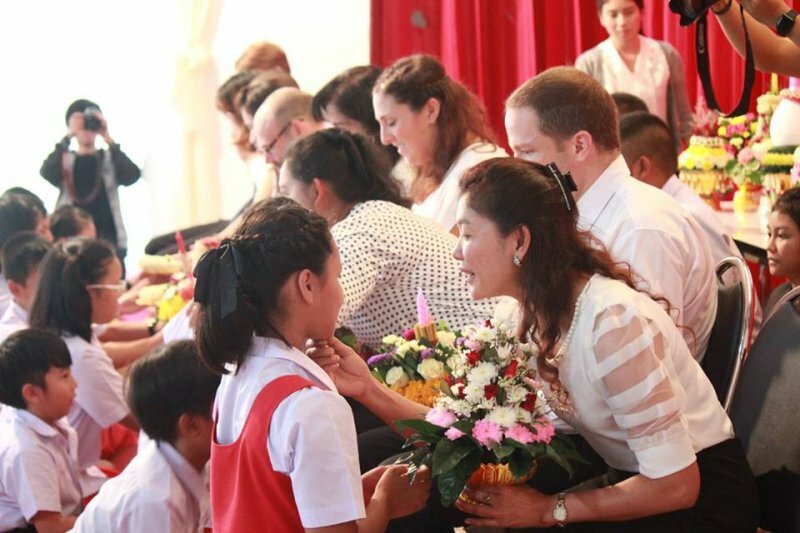 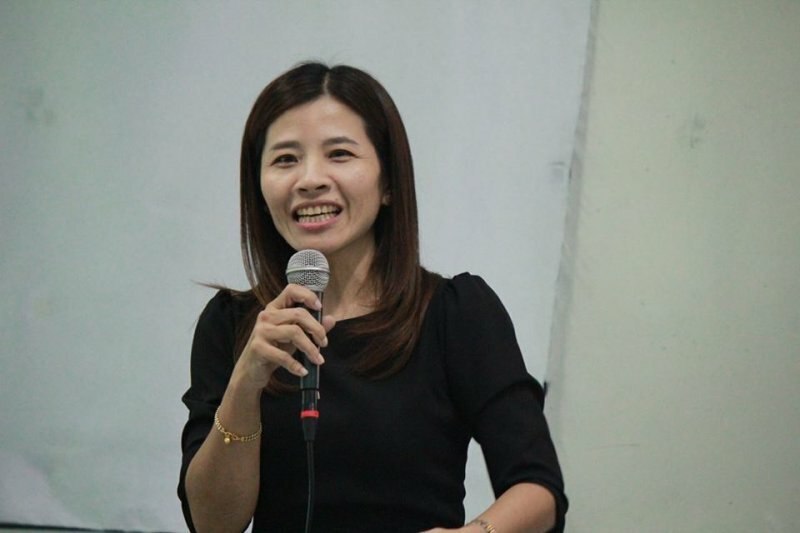 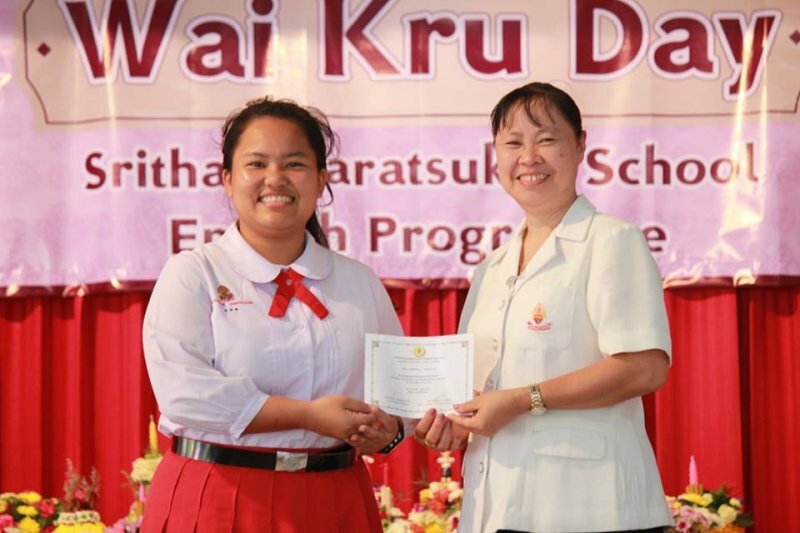 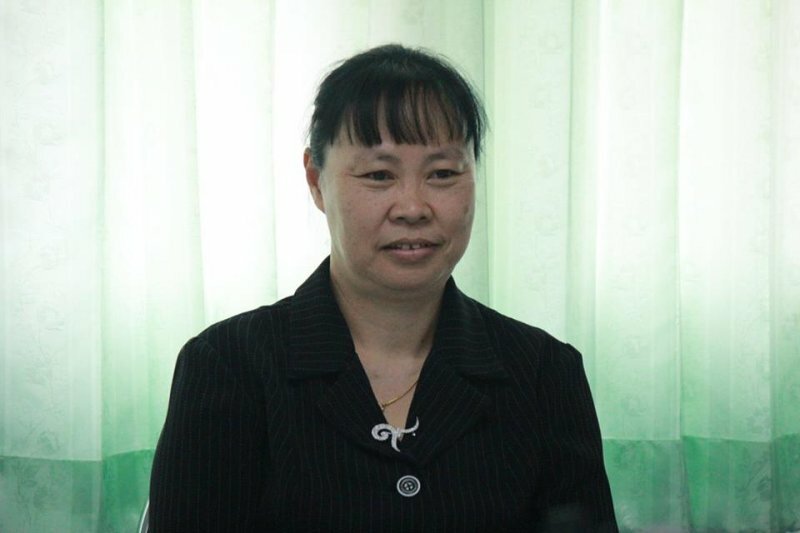 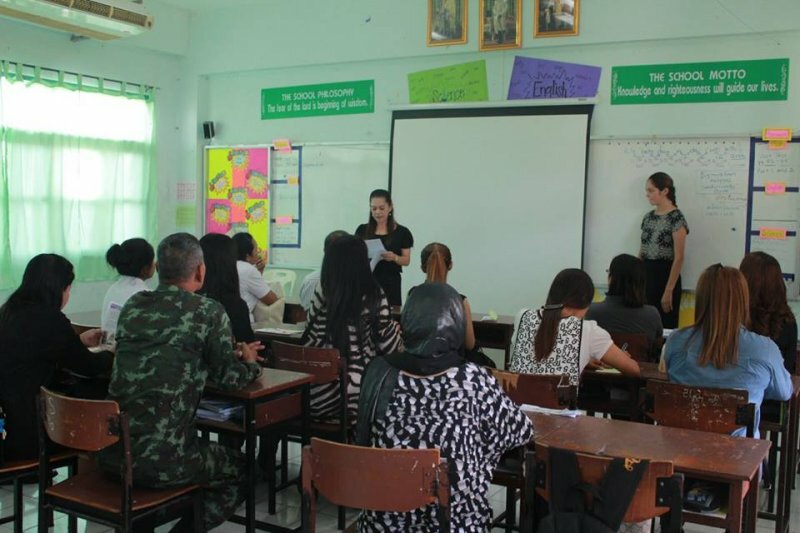 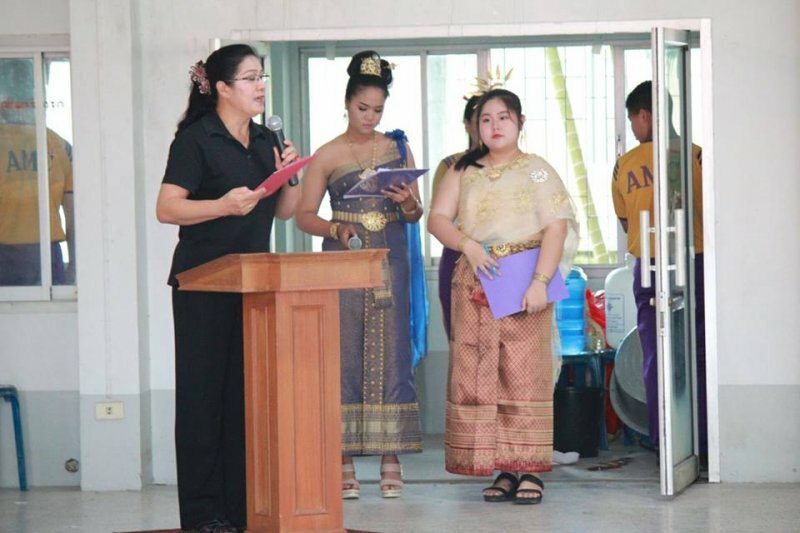 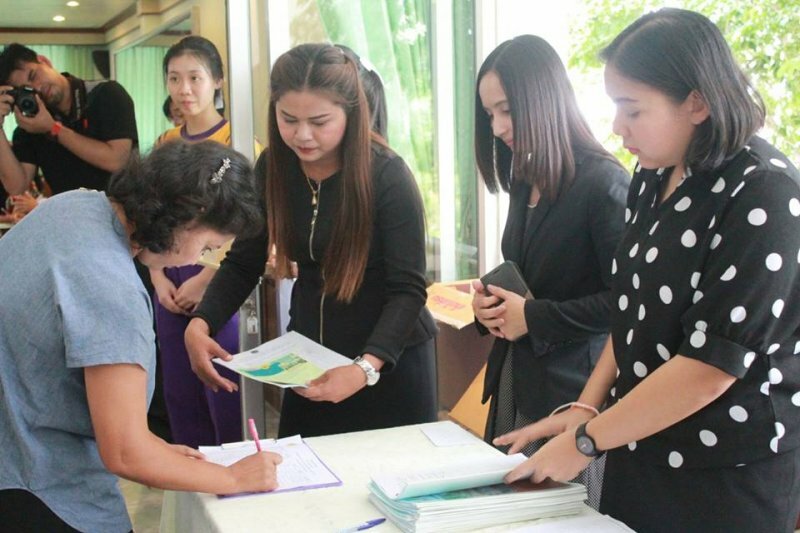 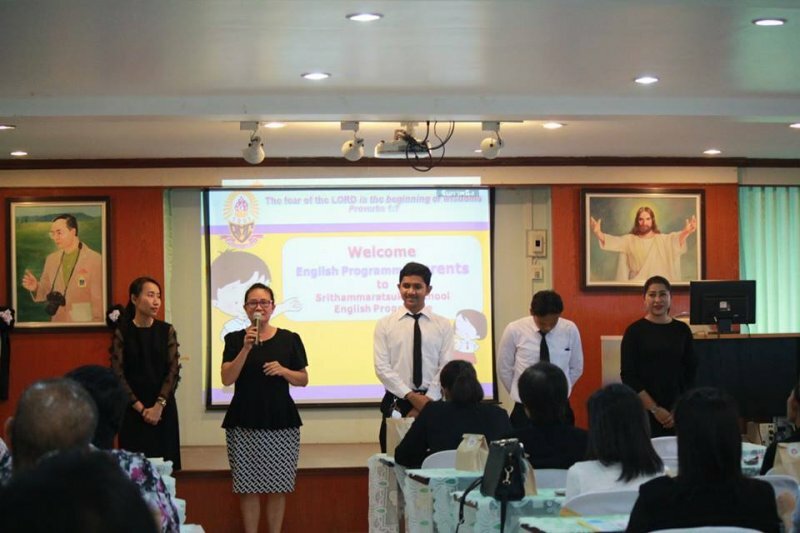 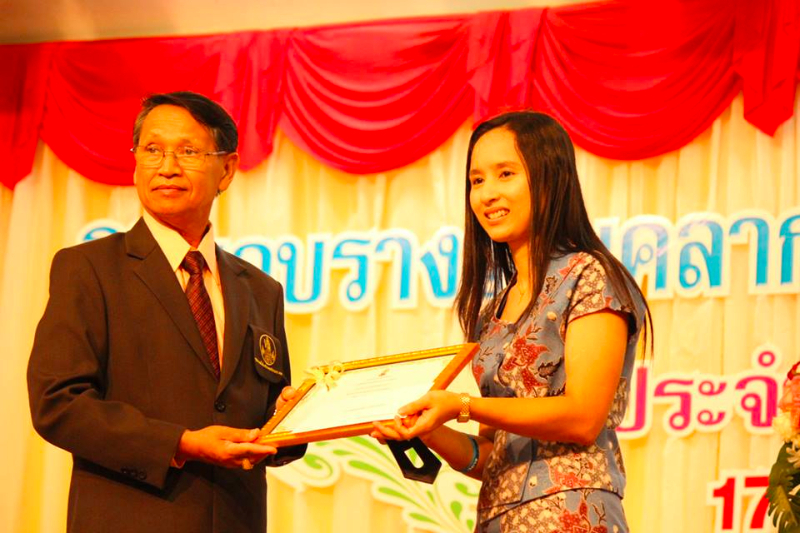 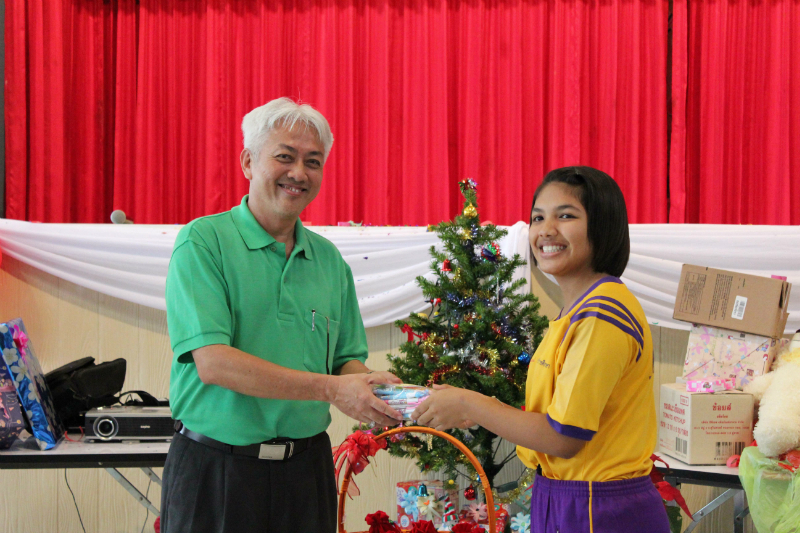 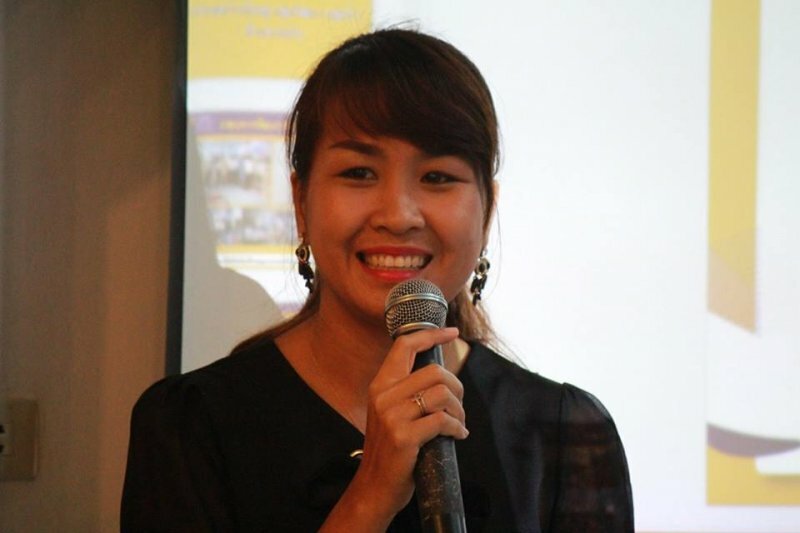 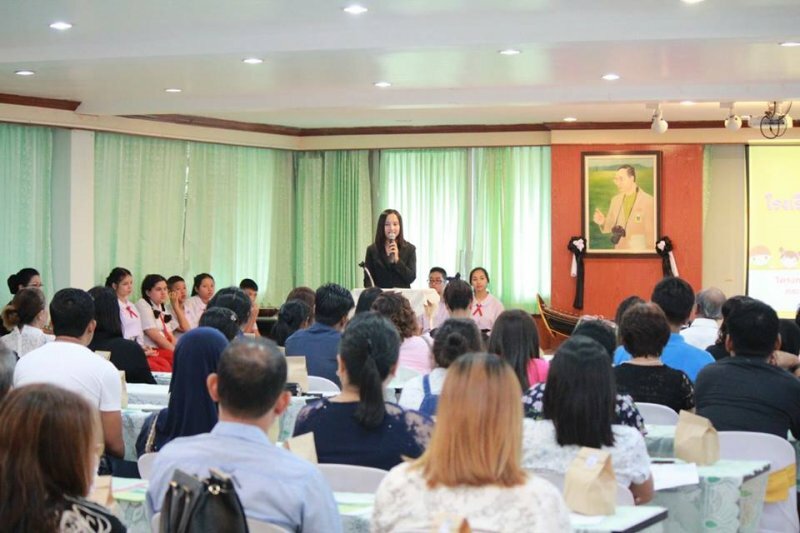 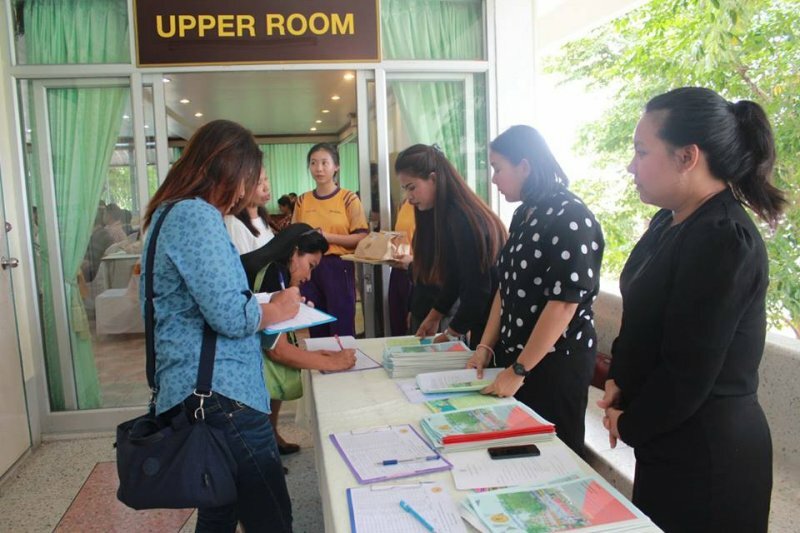 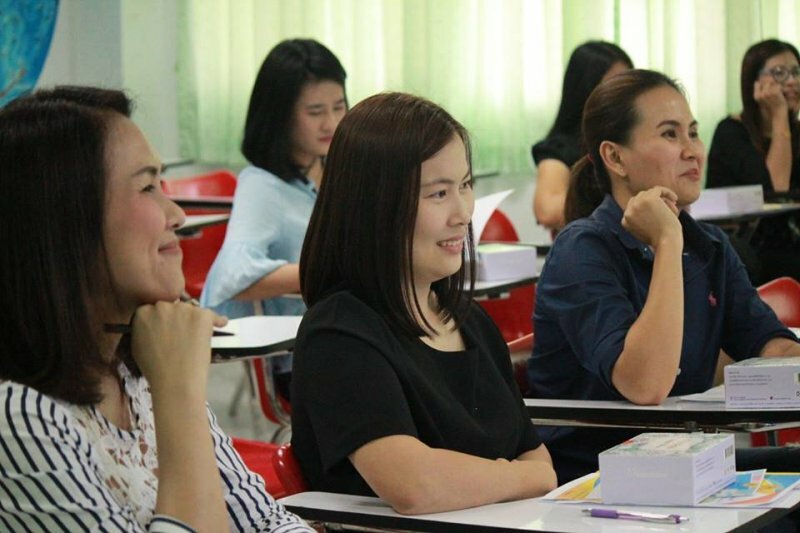 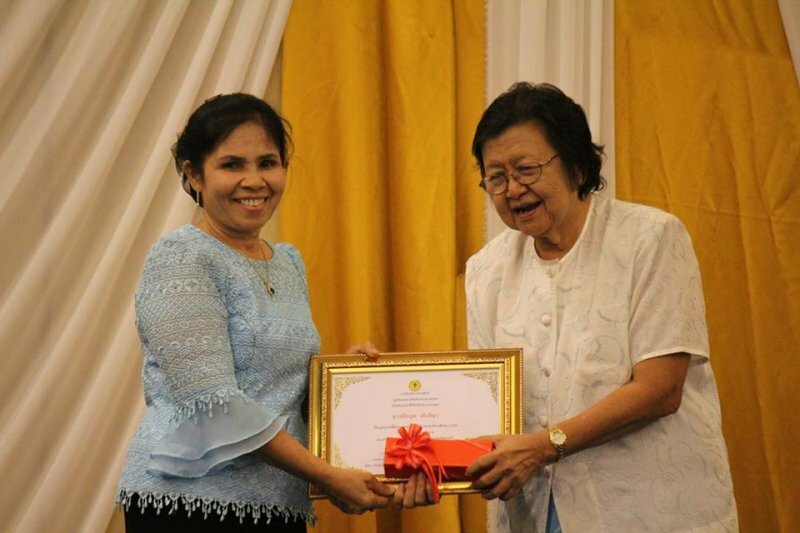 The Head of English Programme, teacher Luckana Mitrakul, welcomed the parents and introduced school staff. 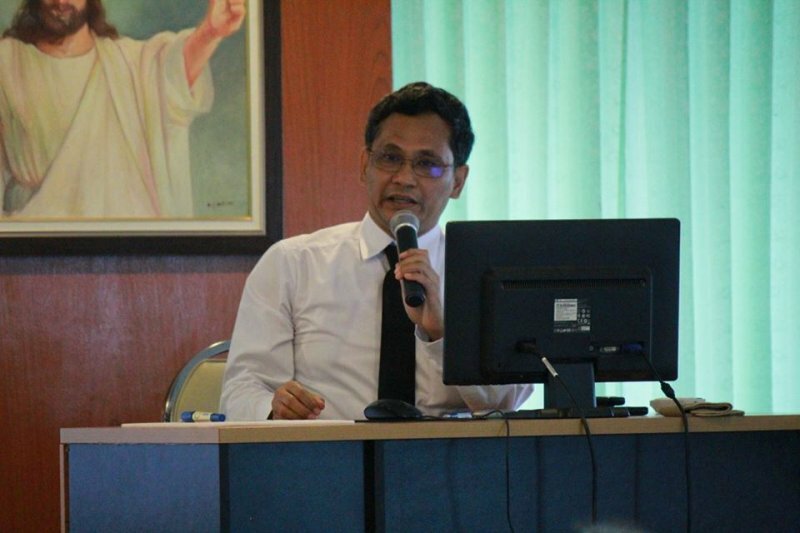 Then Mr. Sorawit Jantan gave a special speech. 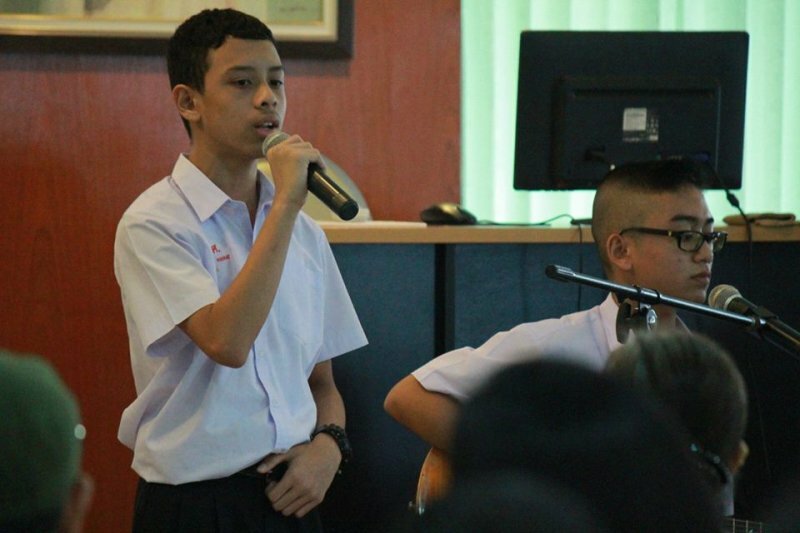 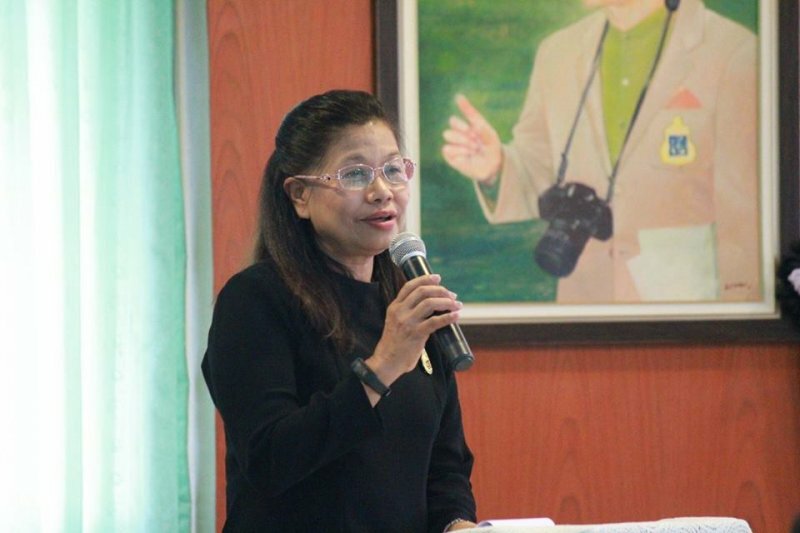 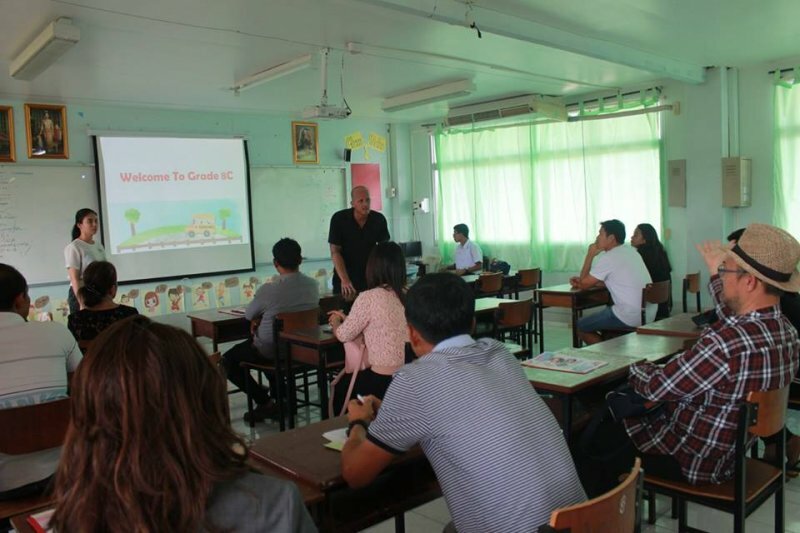 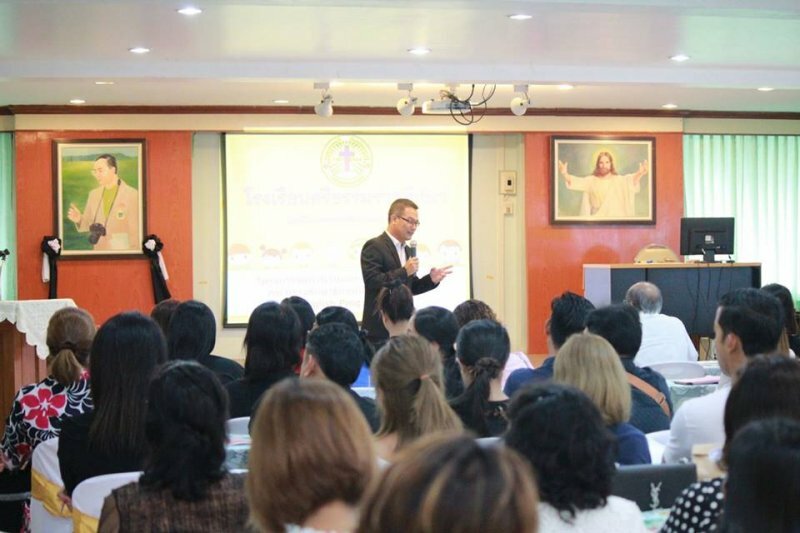 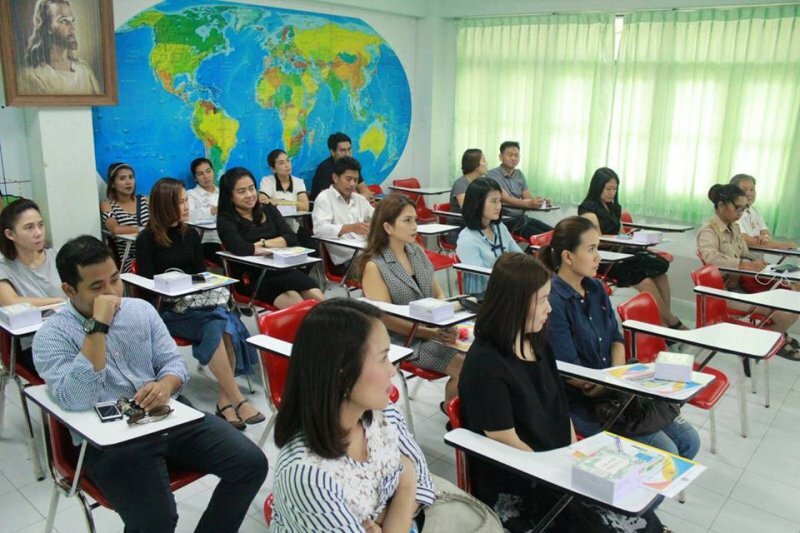 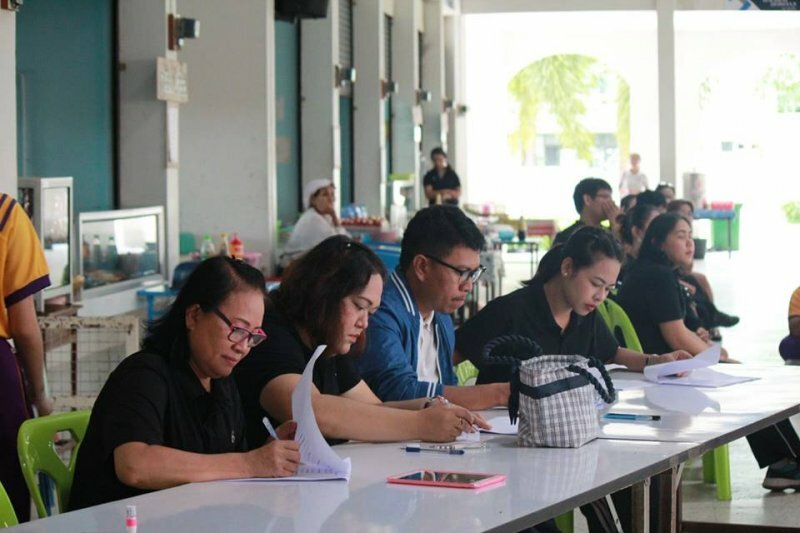 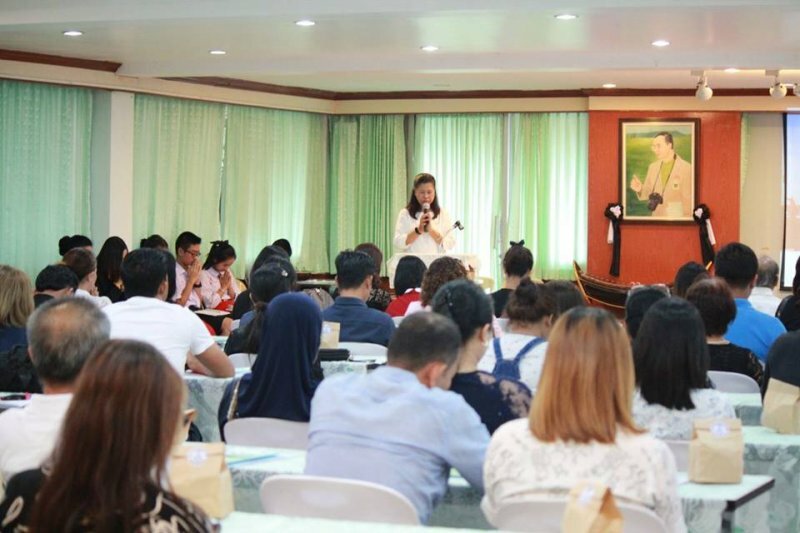 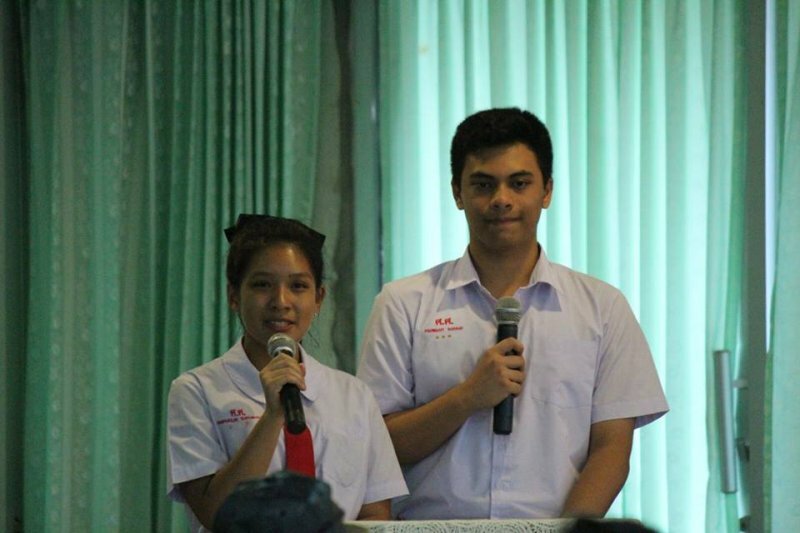 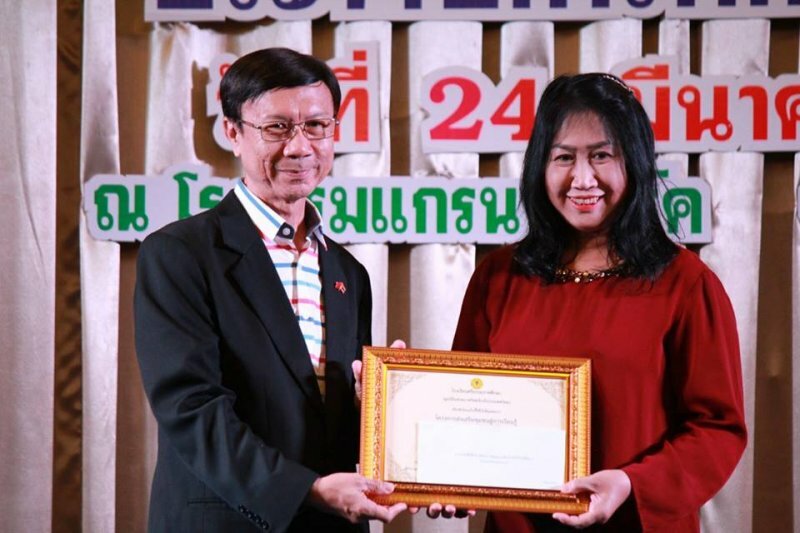 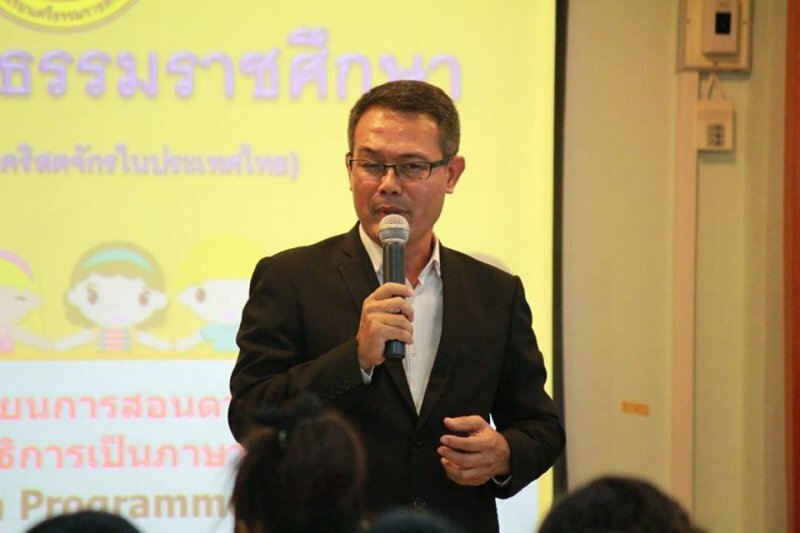 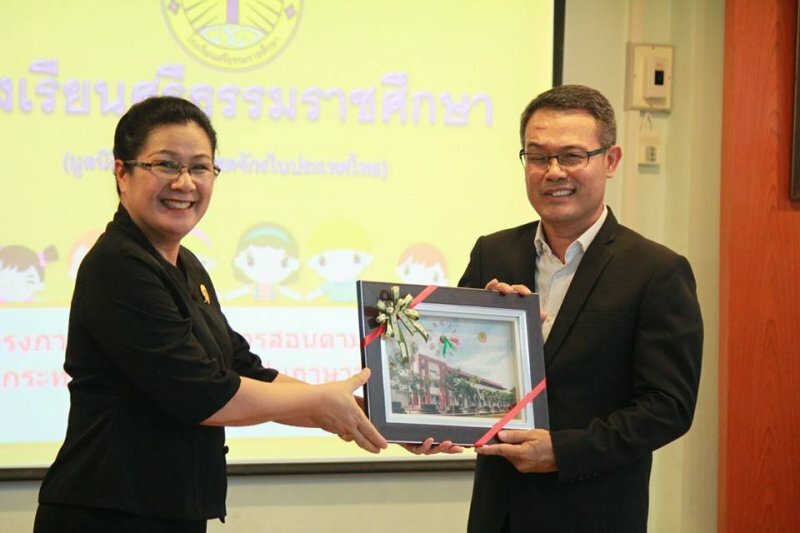 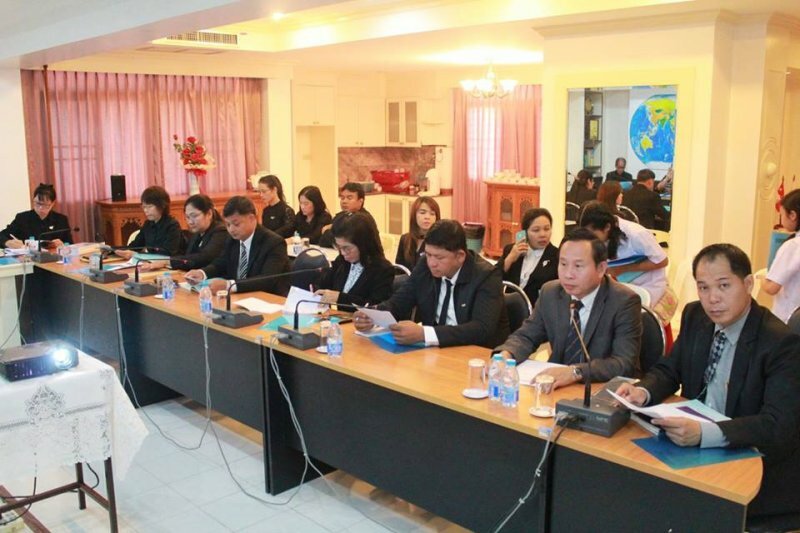 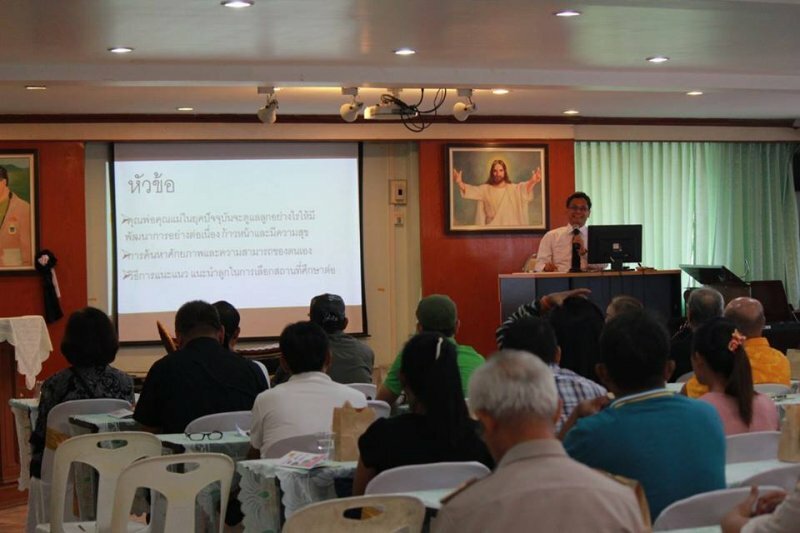 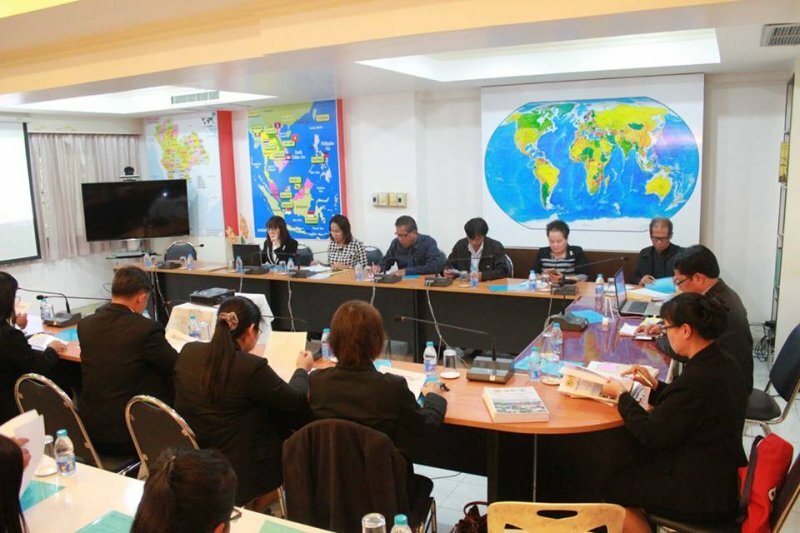 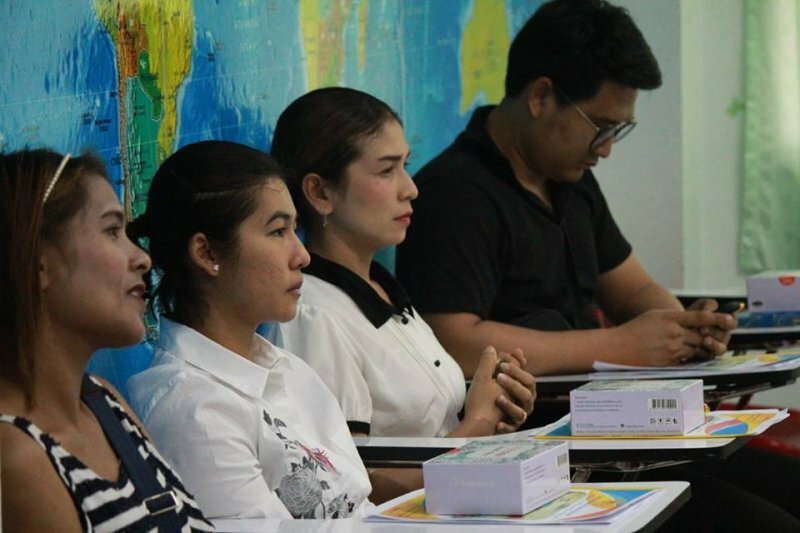 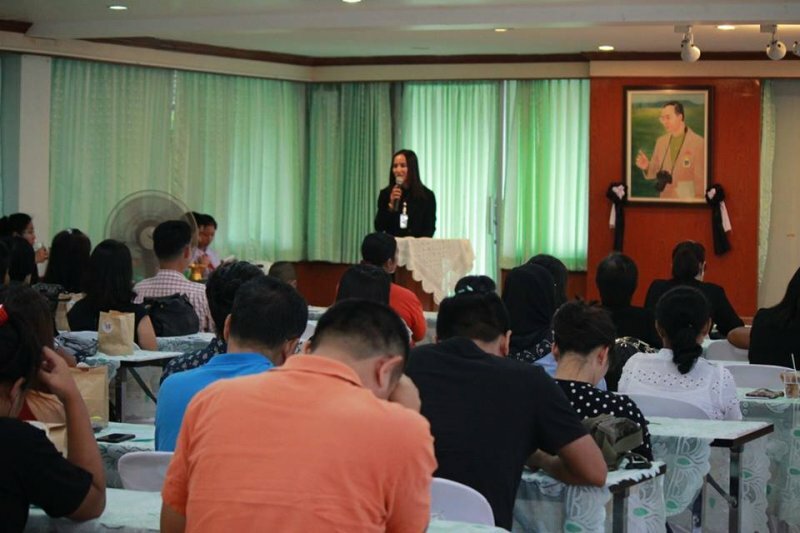 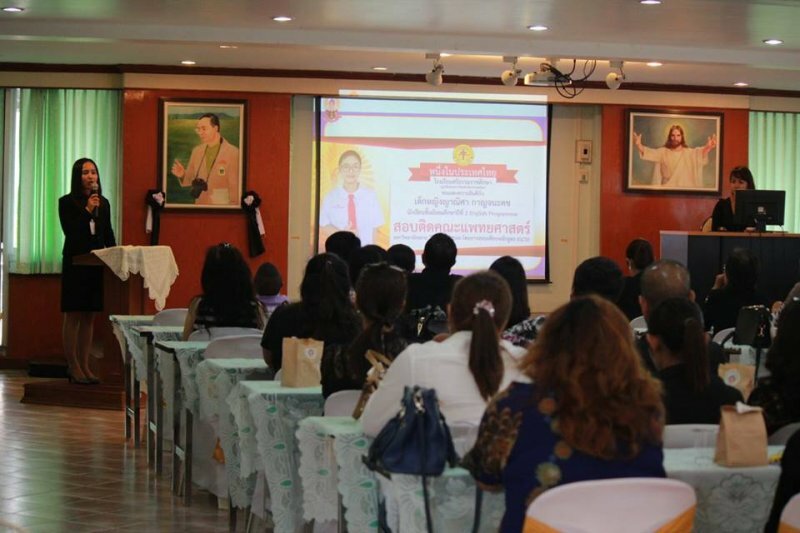 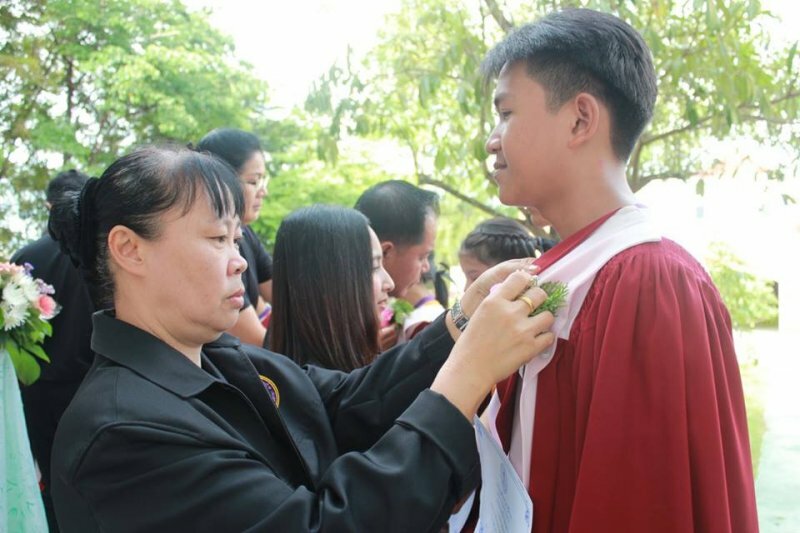 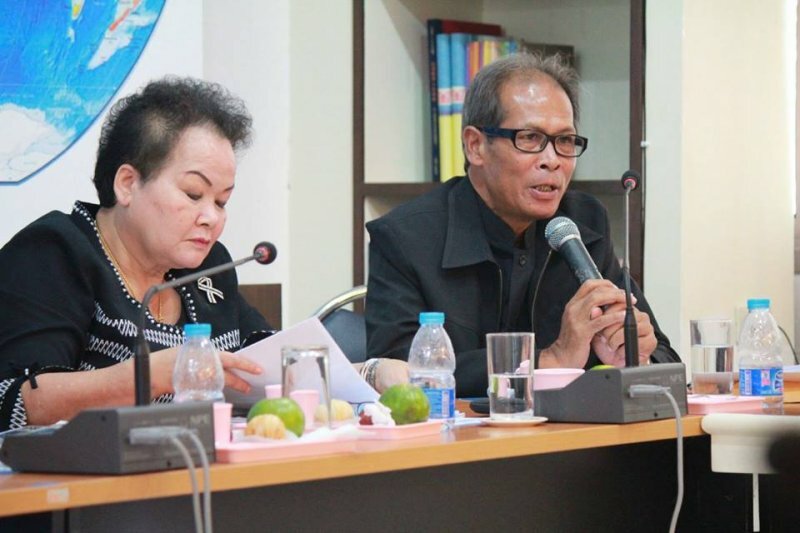 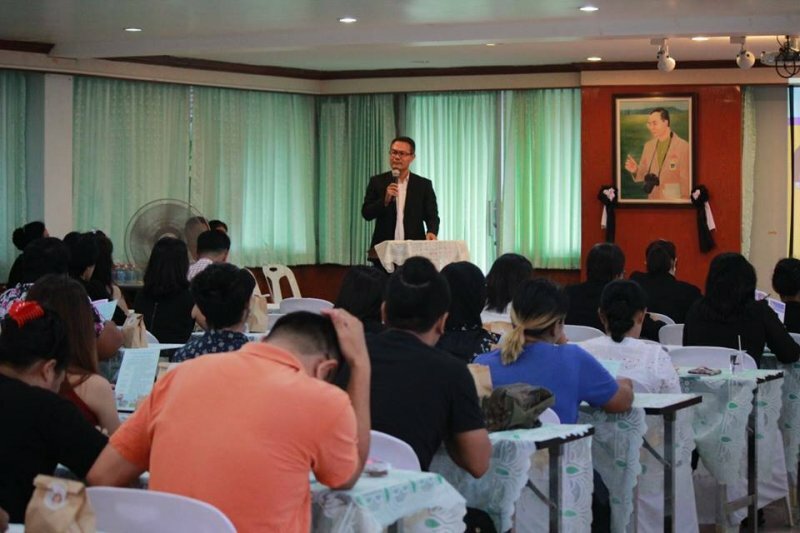 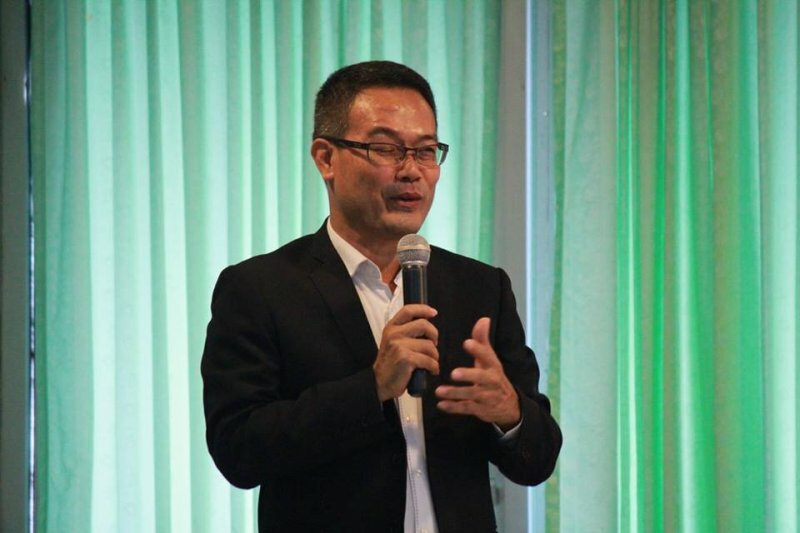 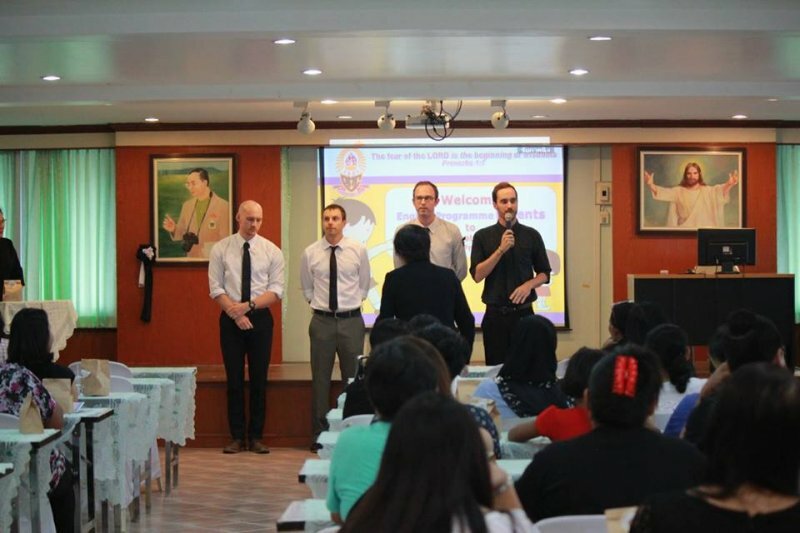 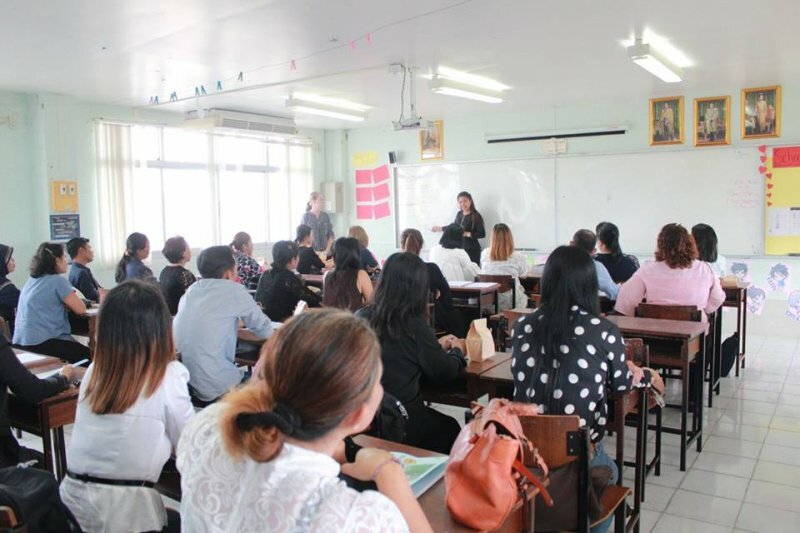 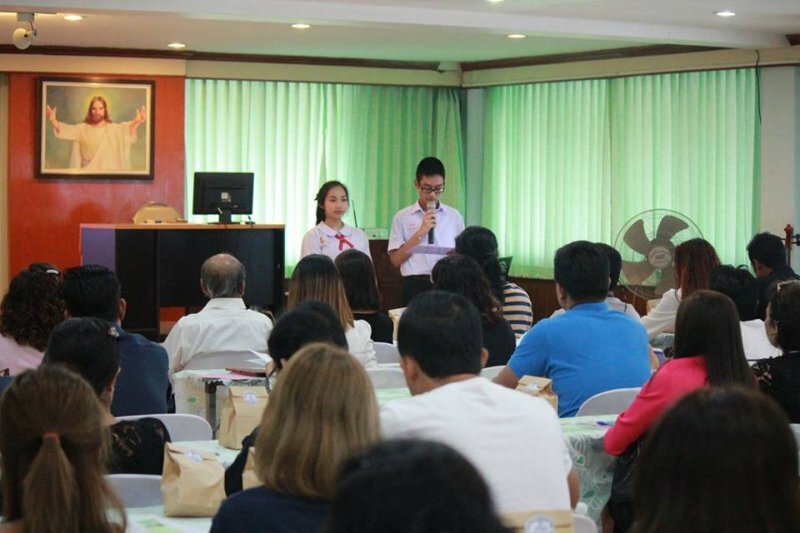 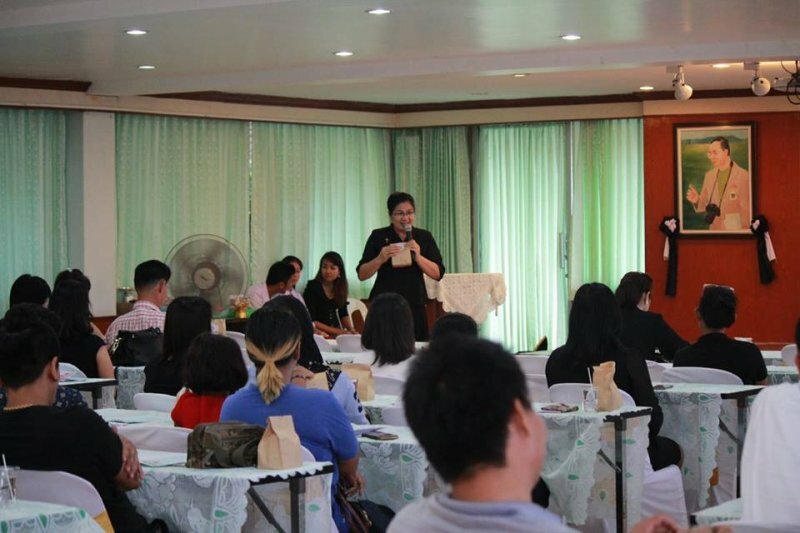 Teacher Juthaporn Taokham, the Assistant Director of Academic Affair in English Programme, informed parents about the academic in year 2017. 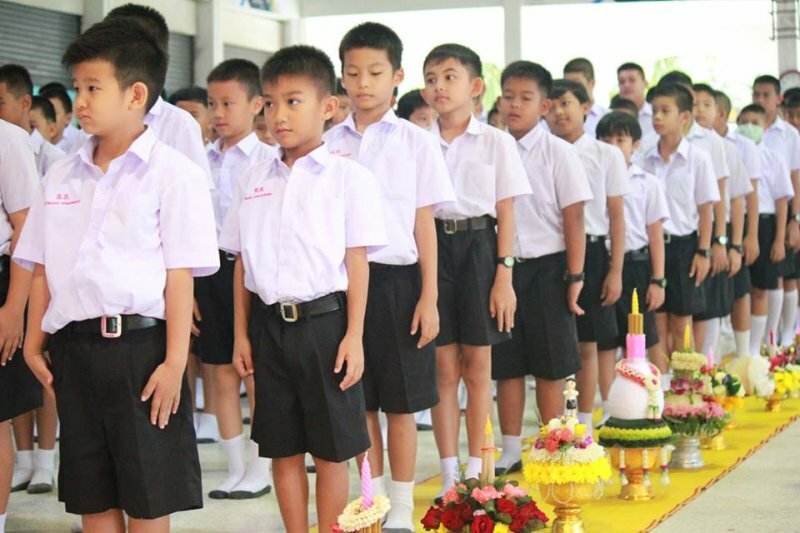 After that parents went to see homeroom teachers to receive more information about students and got Evaluation 1 result of each classrooms. 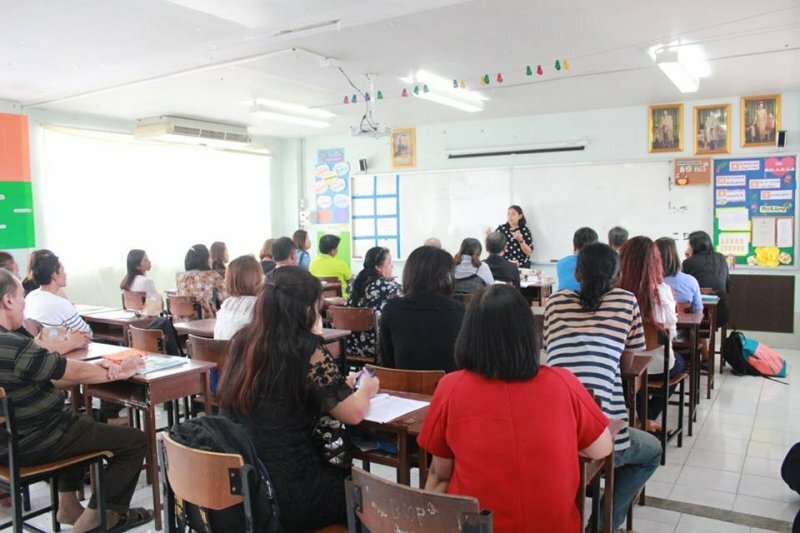 Parents of G.4, G.5 and G.6 students came to school for parents meeting at Srithammaratsuksa School English Programme on July 5th, 2017. 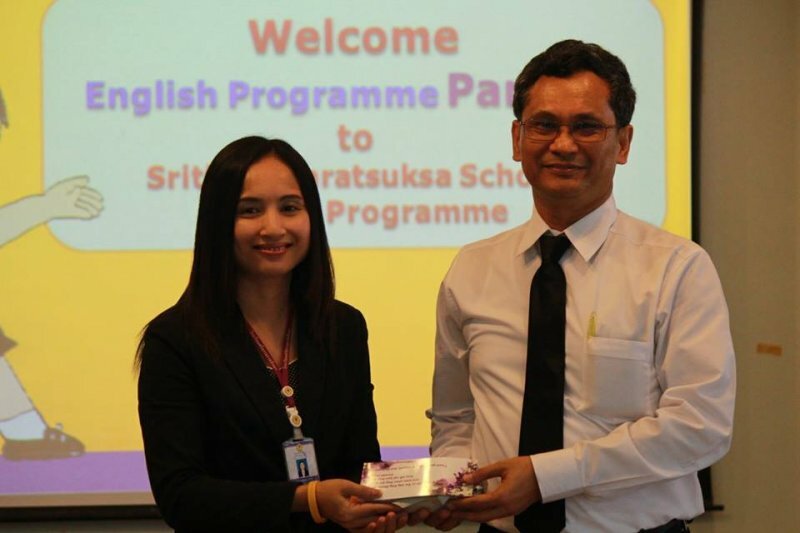 The Head of English Programme, teacher Luckana Mitrakul, welcomed the parents and introduced school staff. 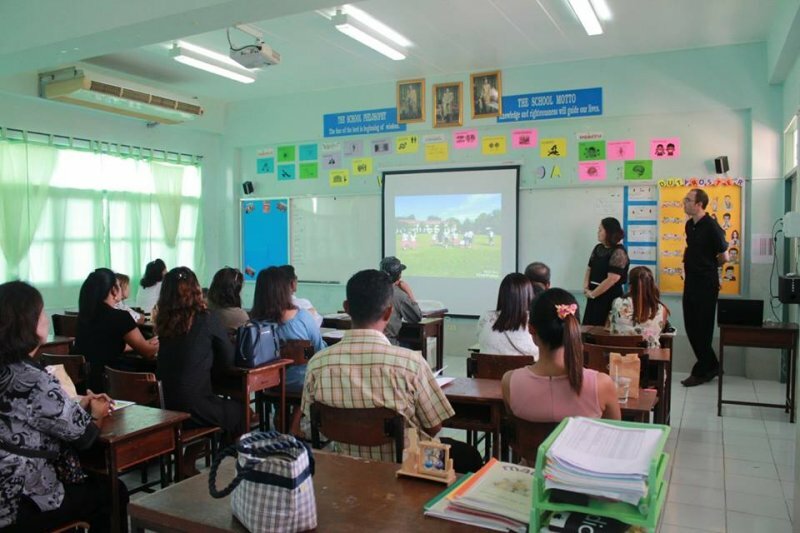 Teacher Juthaporn Taokham, the Assistant Director of Academic Affair in English Programme, informed parents about the academic in year 2017. 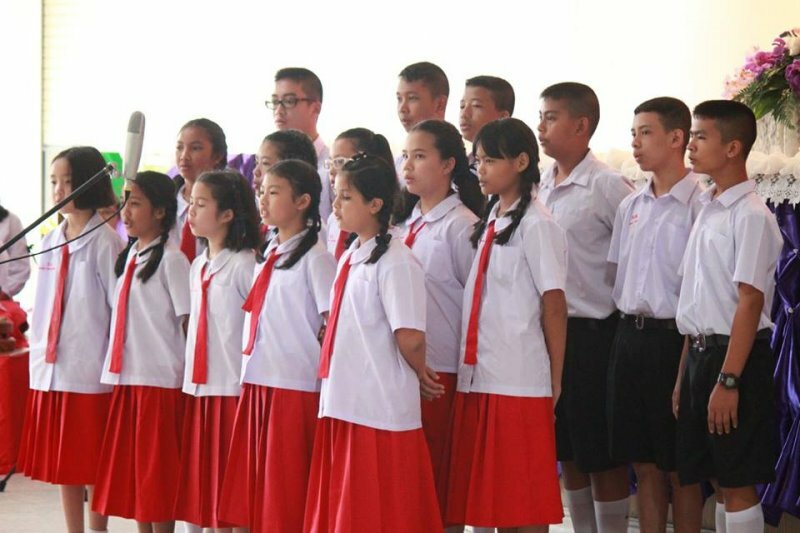 After that parents went to see homeroom teachers to receive more information about students and got Evaluation 1 result of each classrooms. 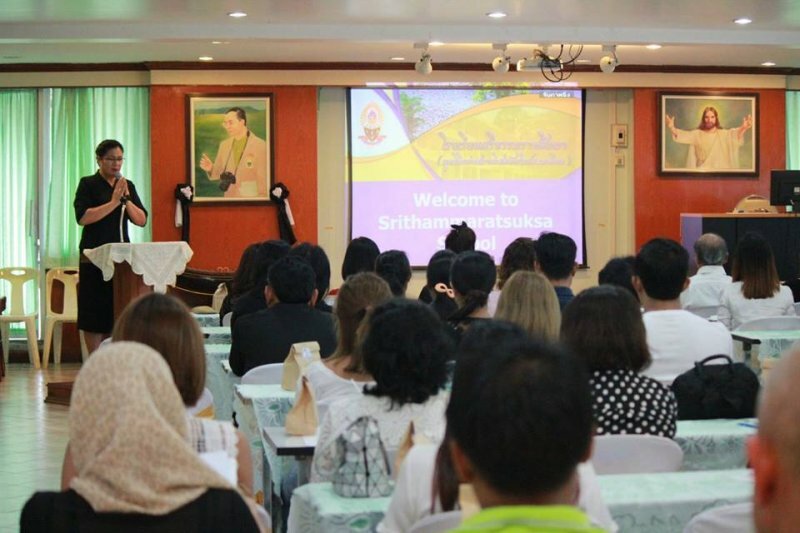 Parents of G.8 and G.12 students came to school for parents meeting at Srithammaratsuksa School English Programme on July 3rd, 2017. 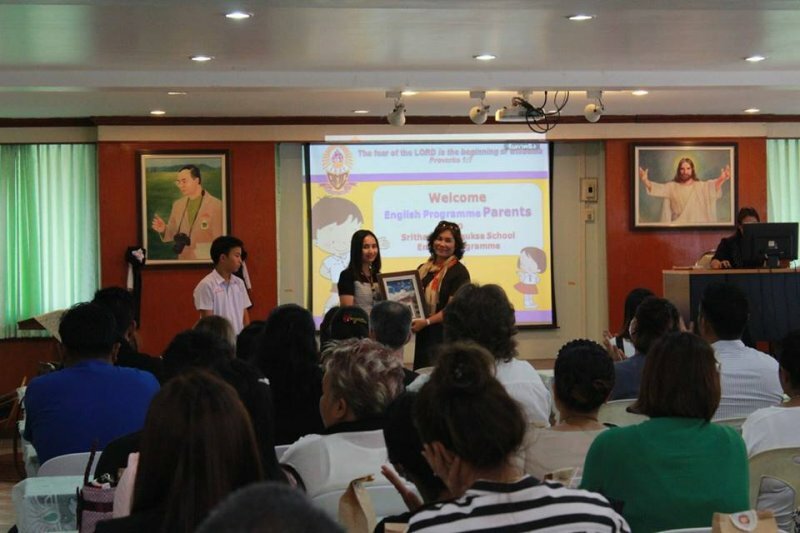 The Head of English Programme, teacher Luckana Mitrakul, welcomed the parents and introduced school staff. 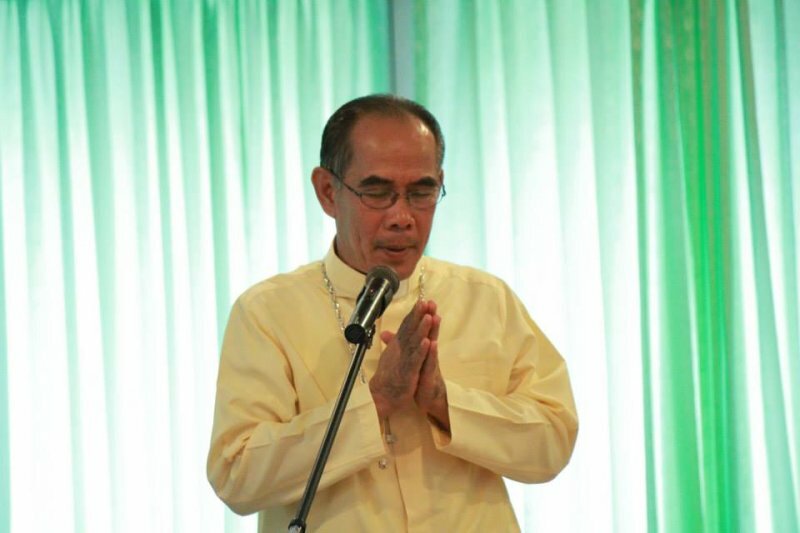 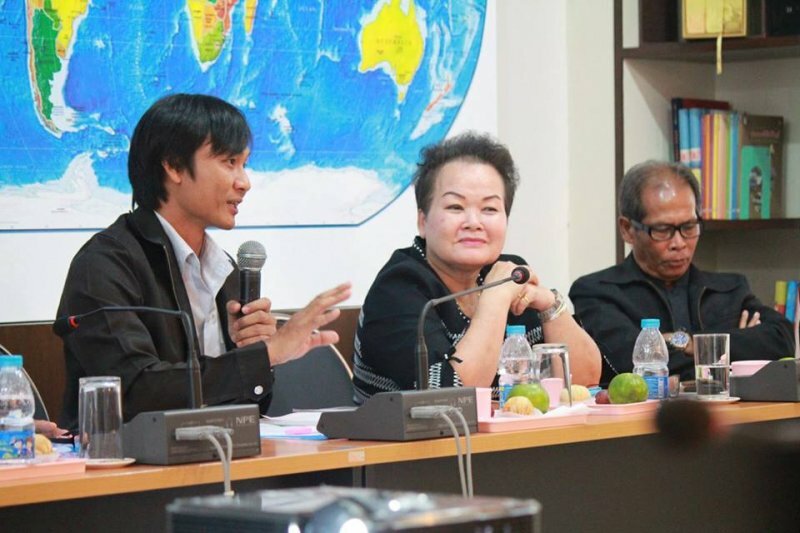 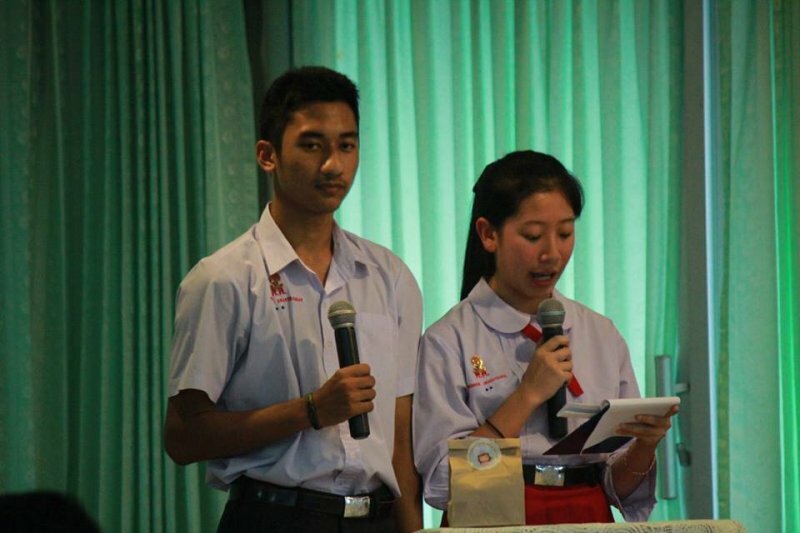 Then Mr. Phanchai Rattanasuwan gave a special speech. 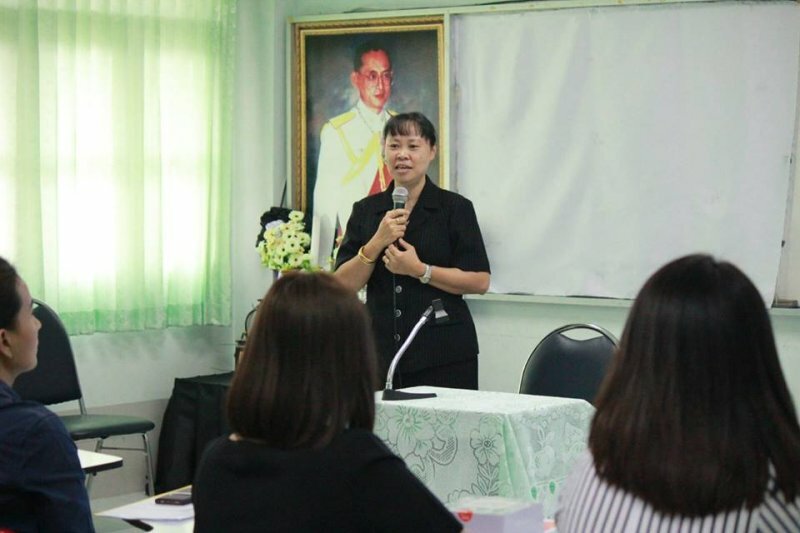 Teacher Juthaporn Taokham, the Assistant Director of Academic Affair in English Programme, informed parents about the academic in year 2017. 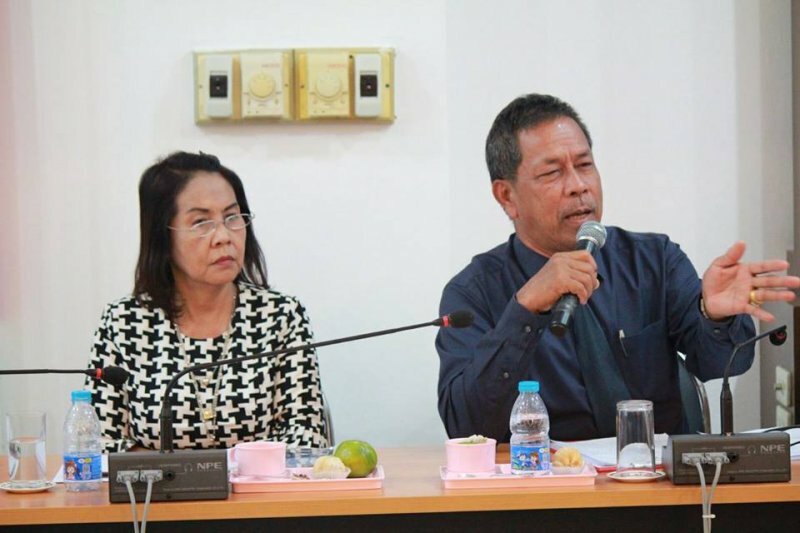 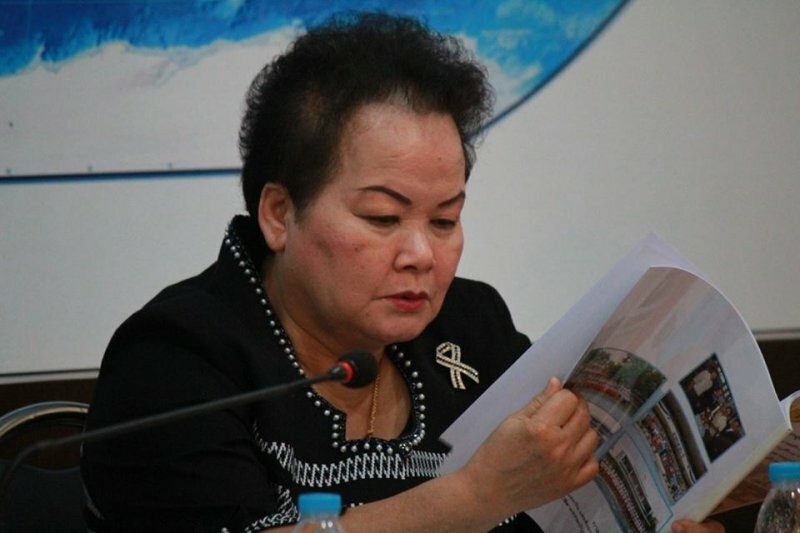 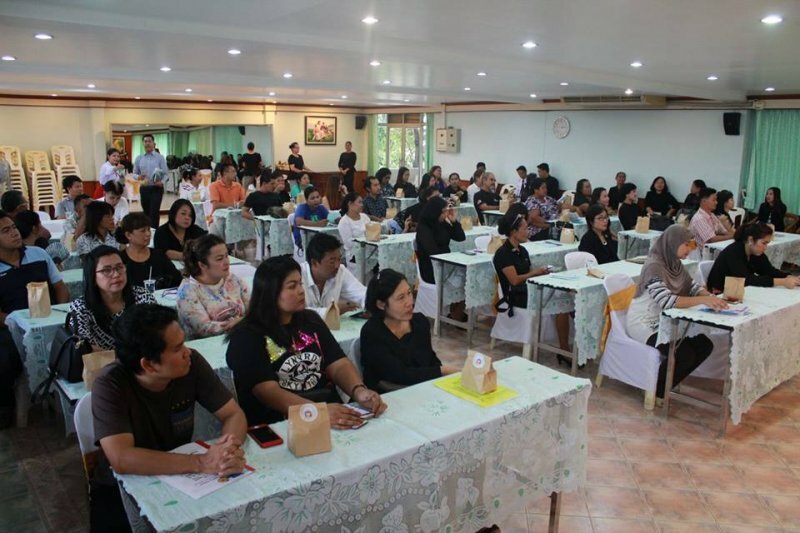 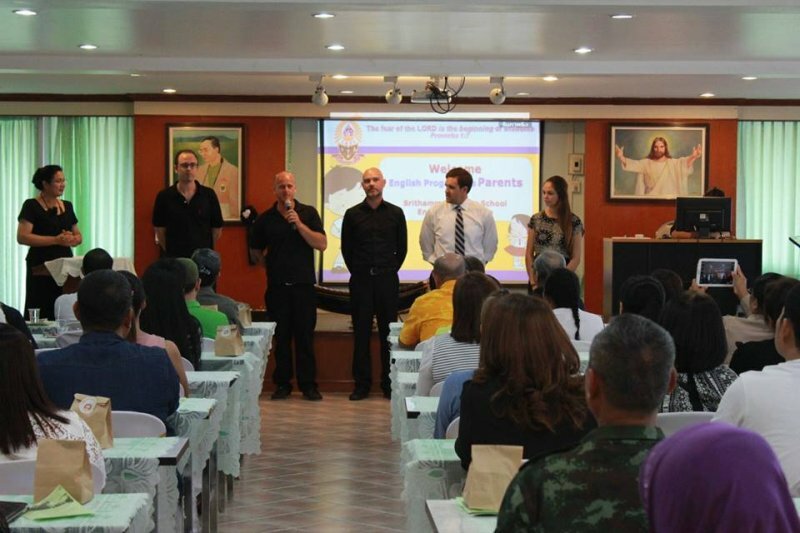 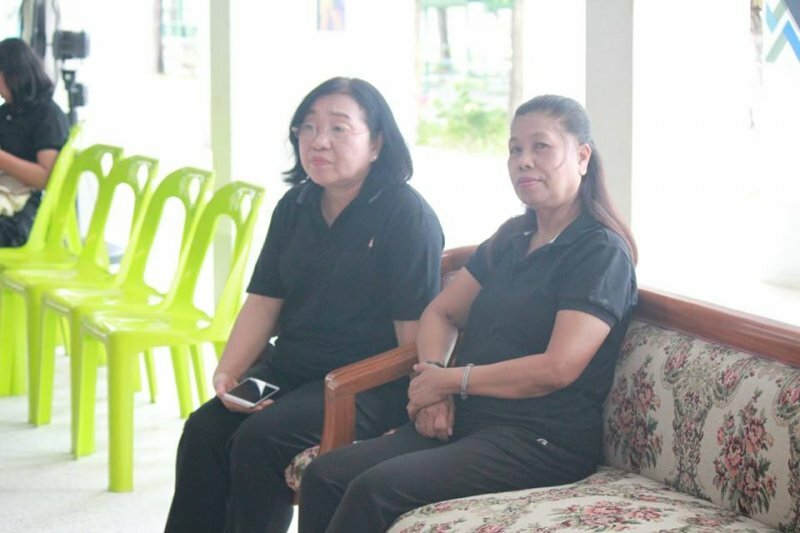 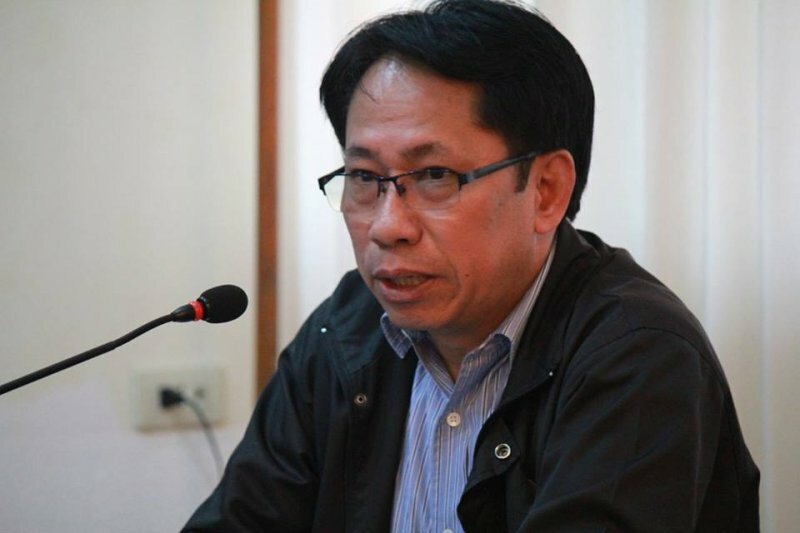 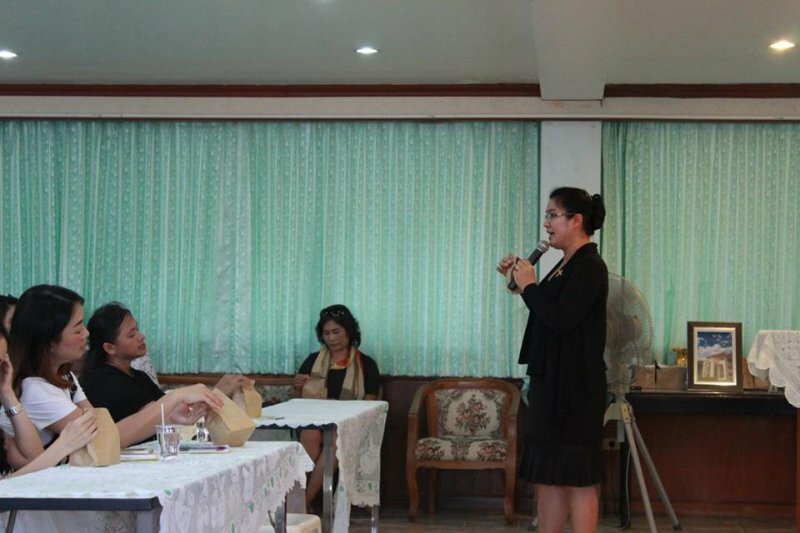 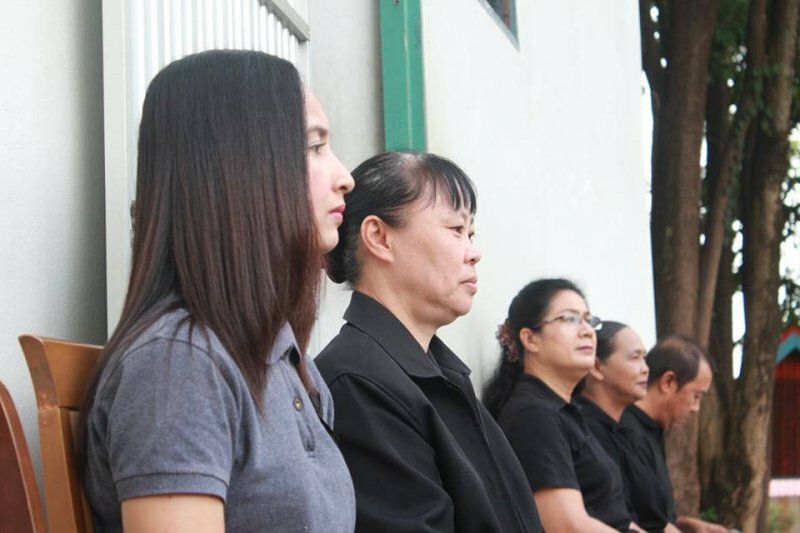 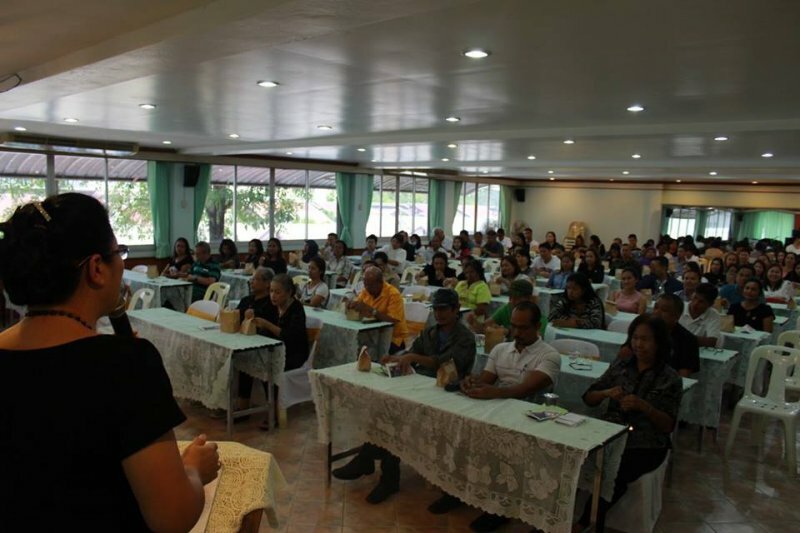 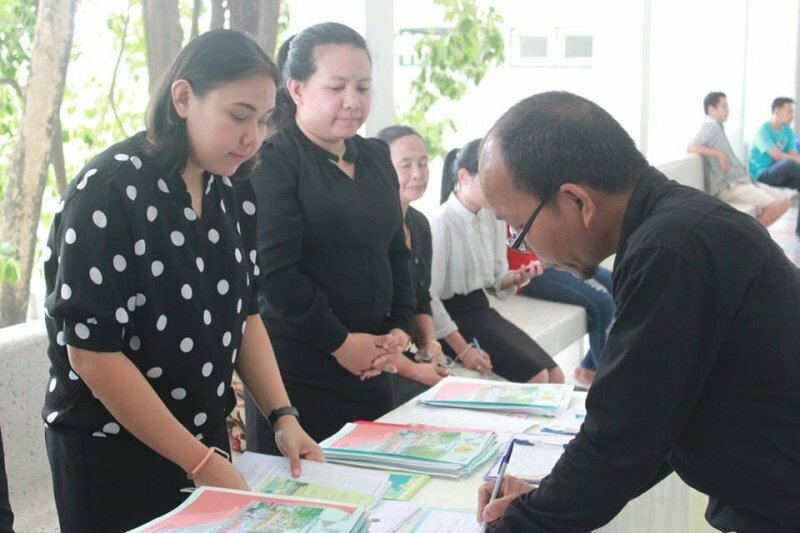 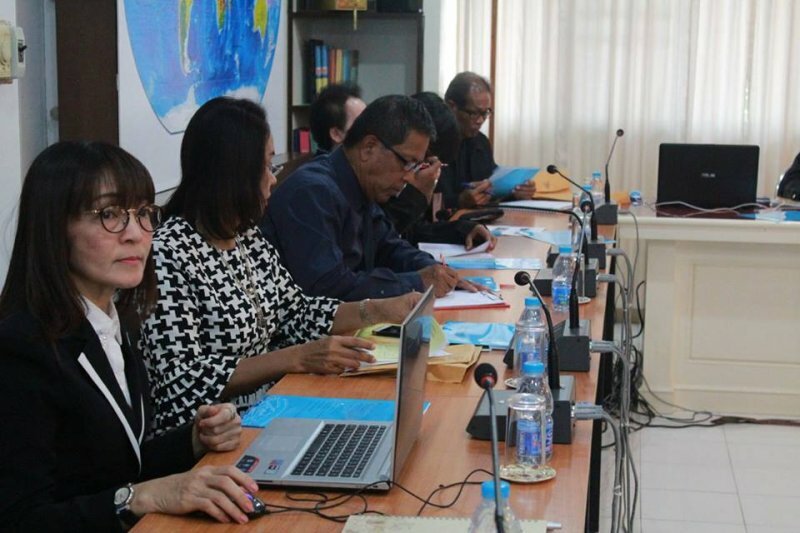 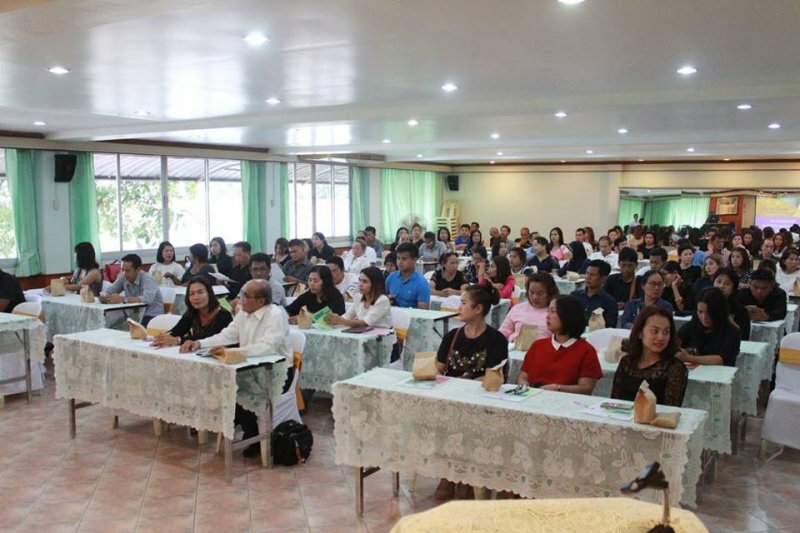 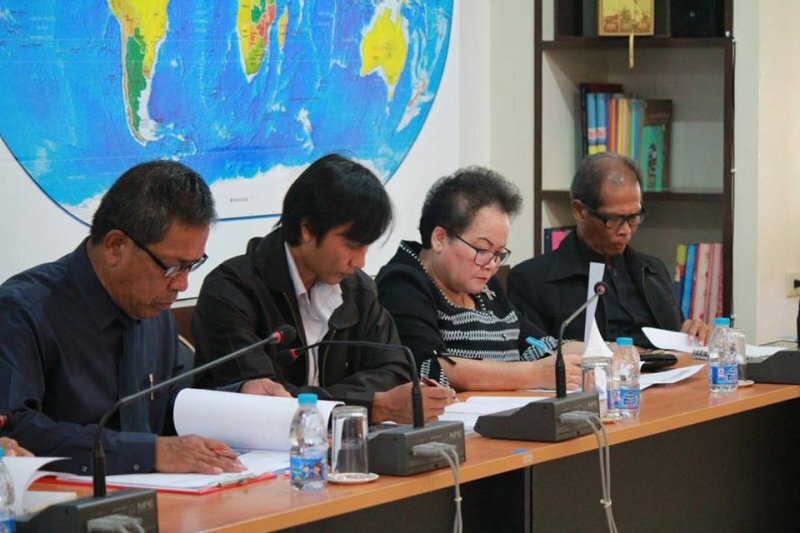 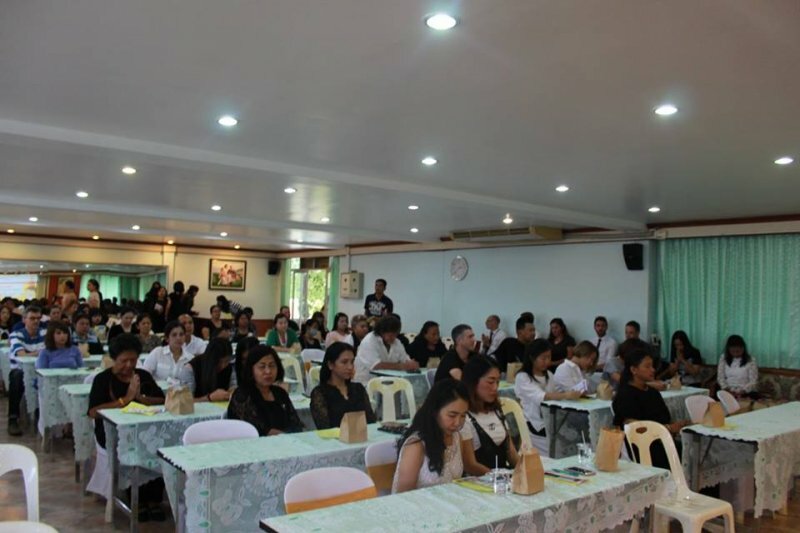 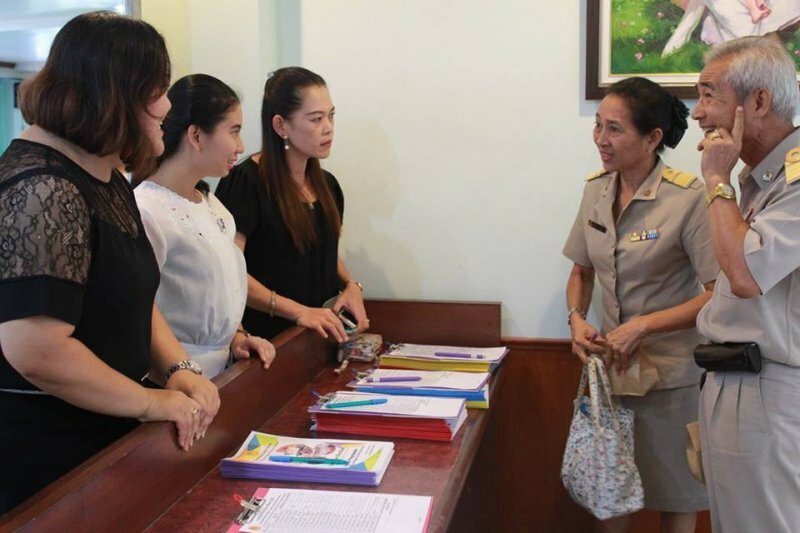 After that parents went to see homeroom teachers to receive more information about students of each classrooms. 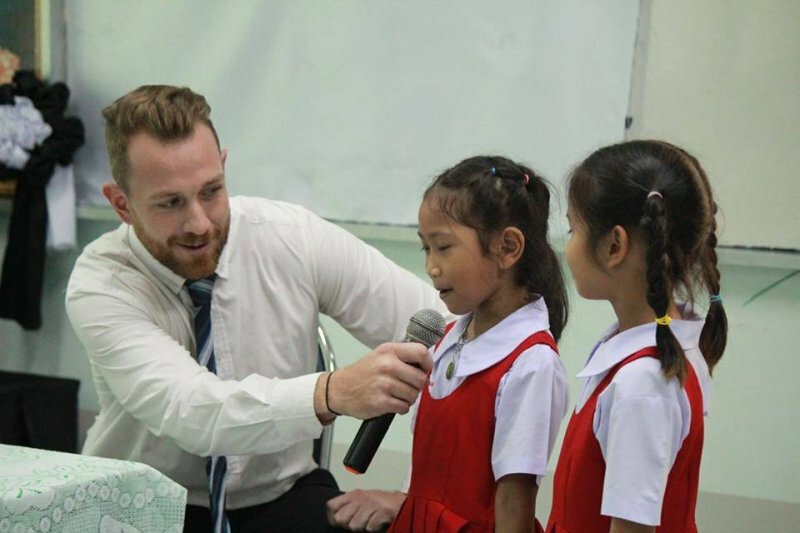 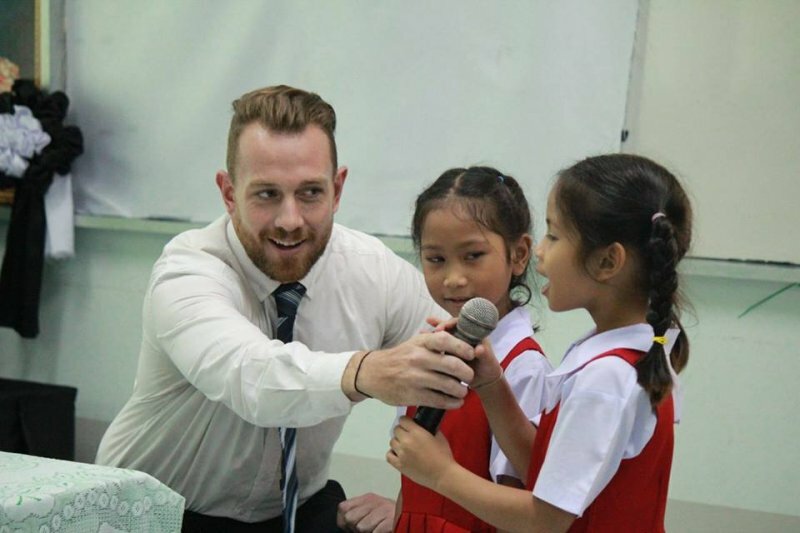 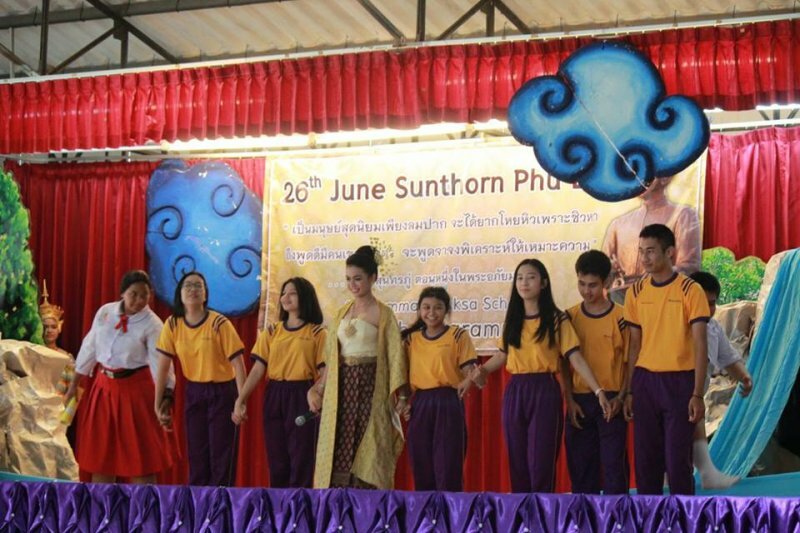 On June 23th, 2017, Srithammaratsuksa School English Programme had Sunthorn Phu activity which was managed by G.12 students. 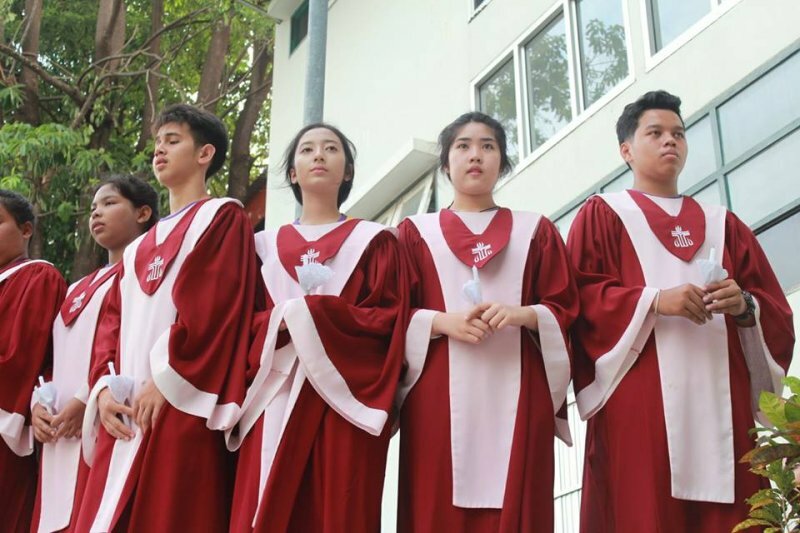 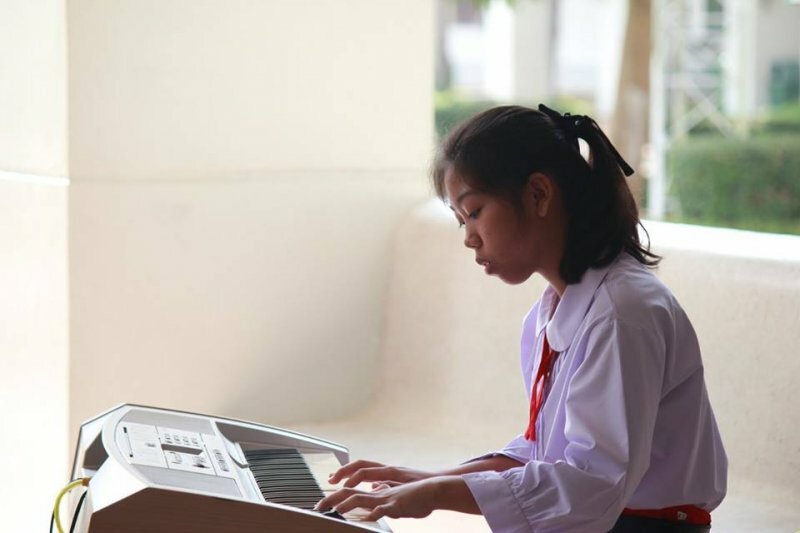 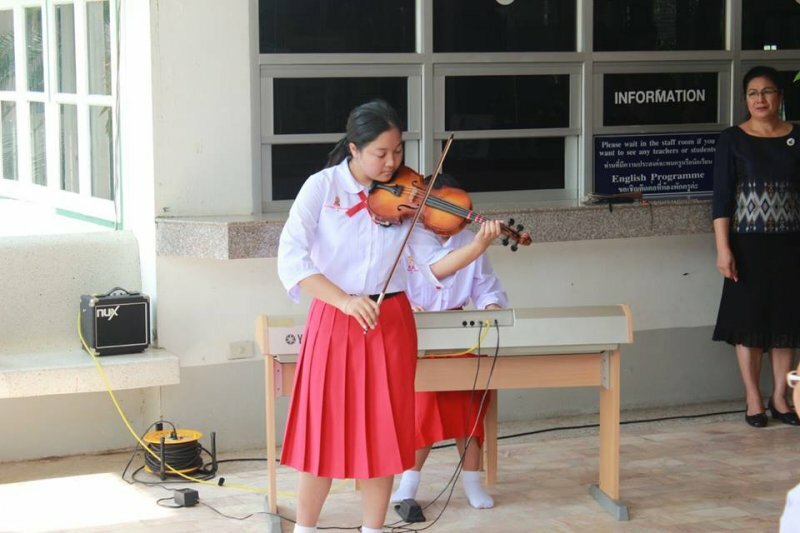 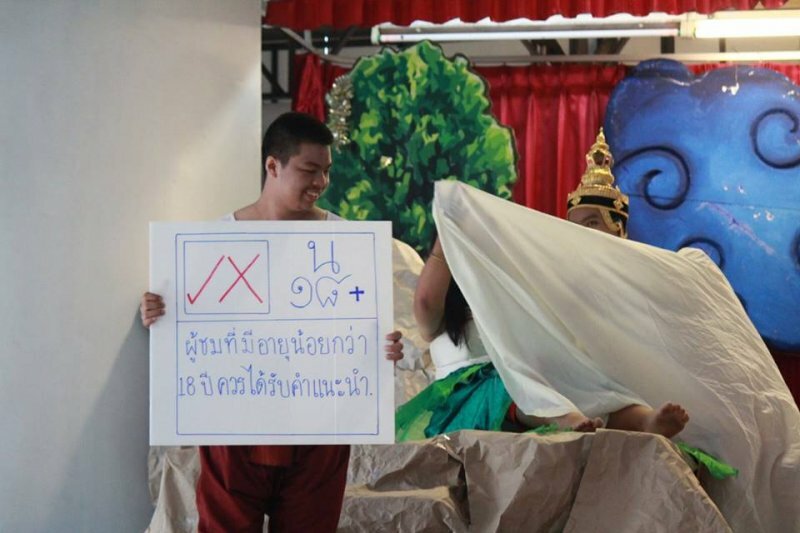 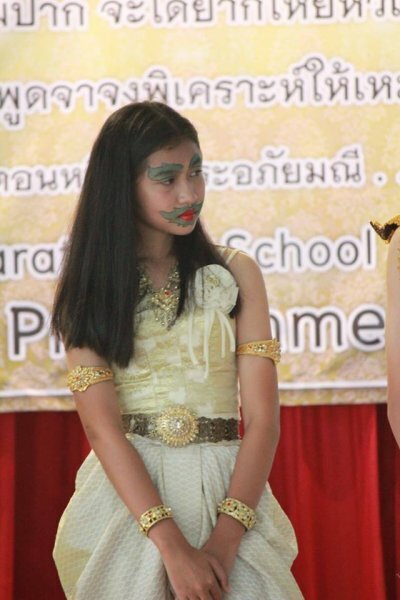 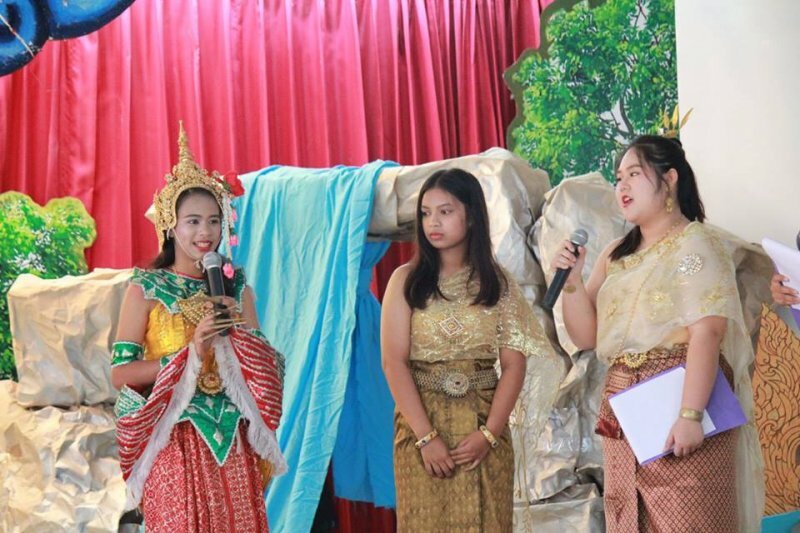 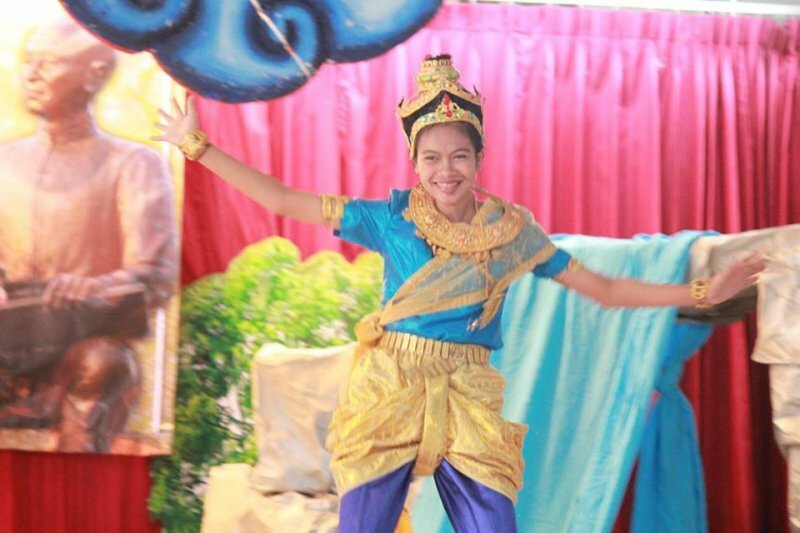 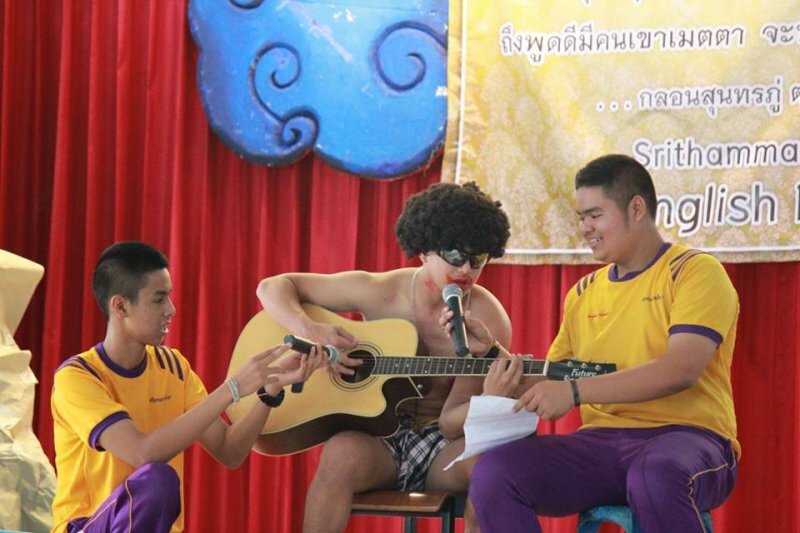 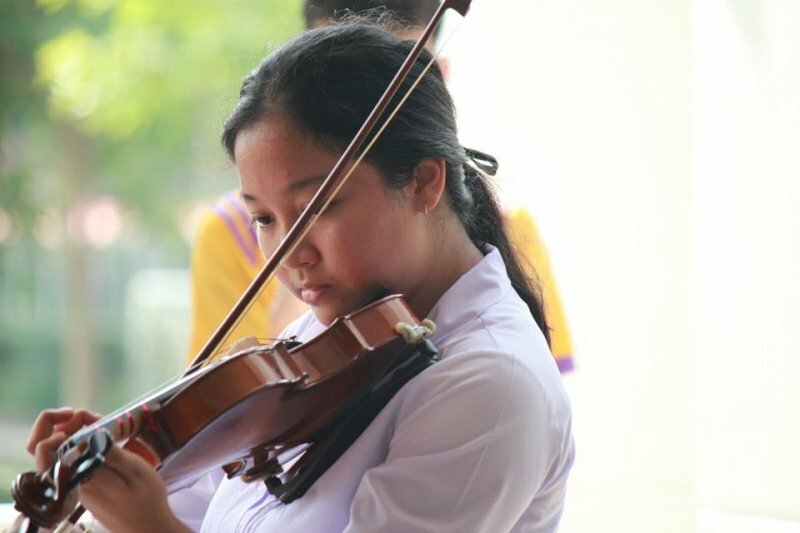 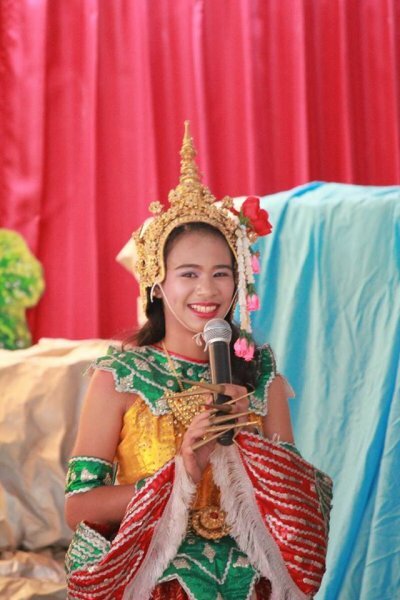 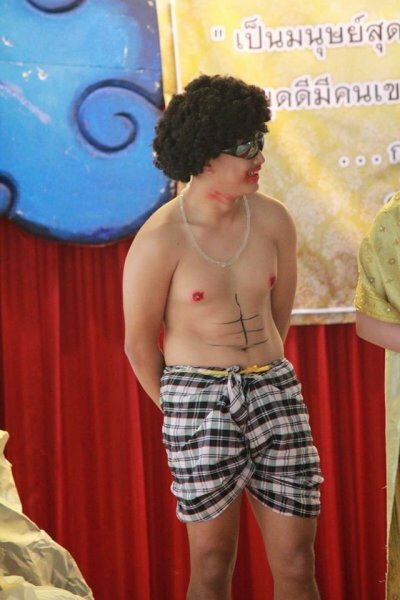 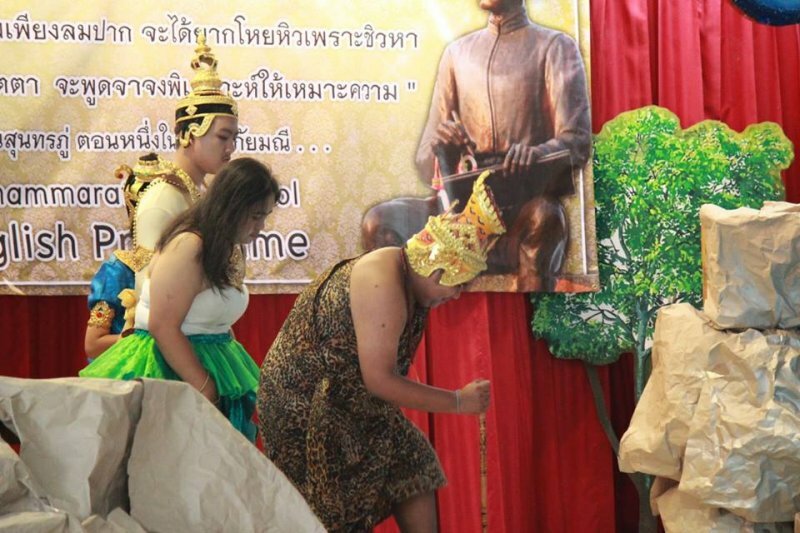 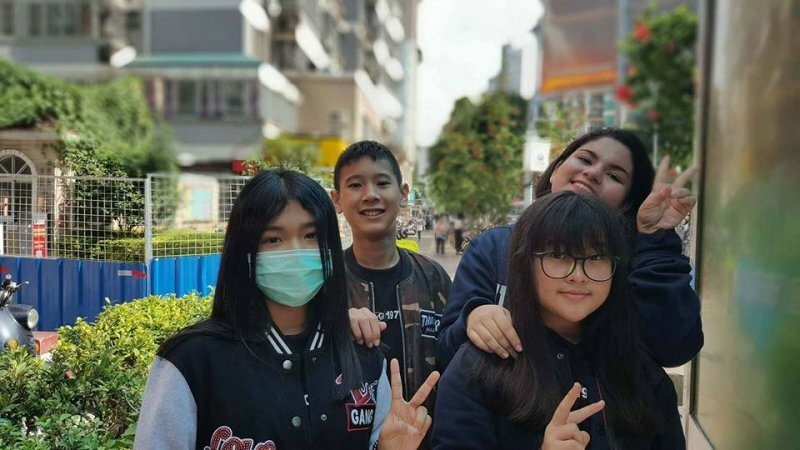 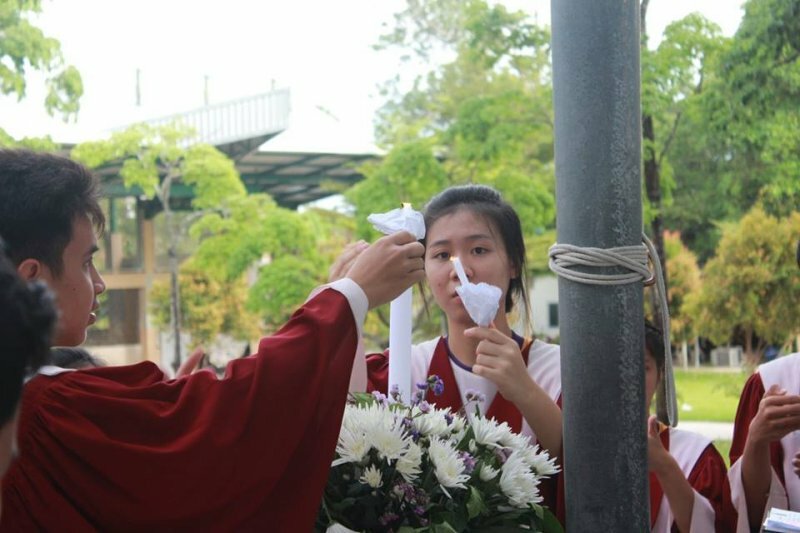 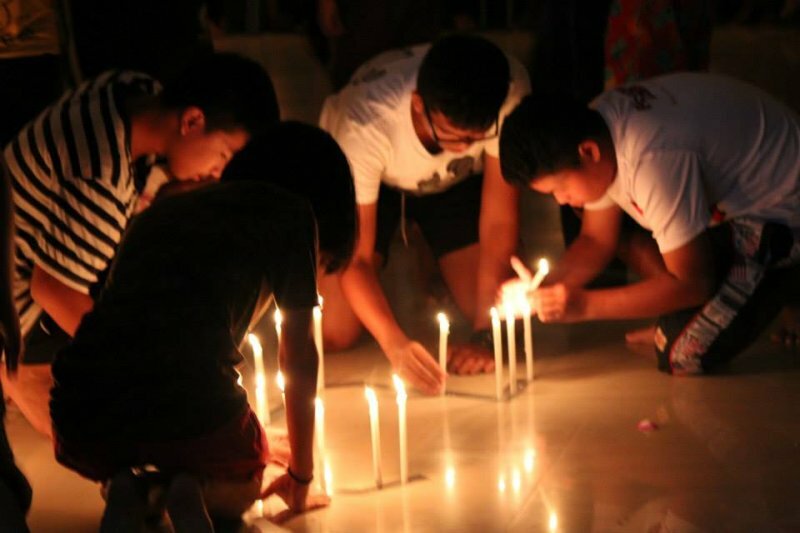 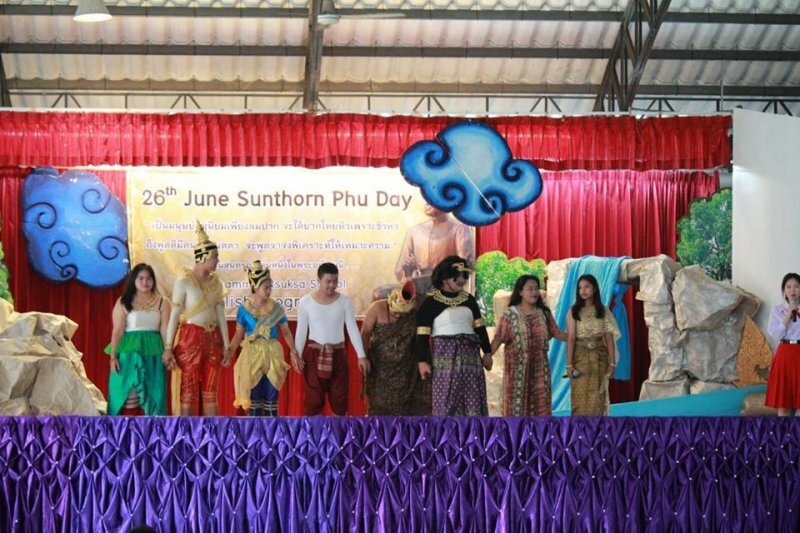 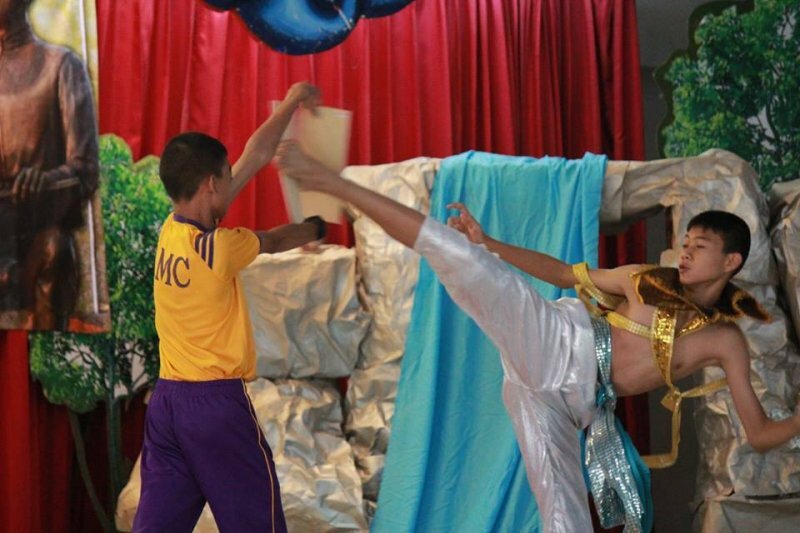 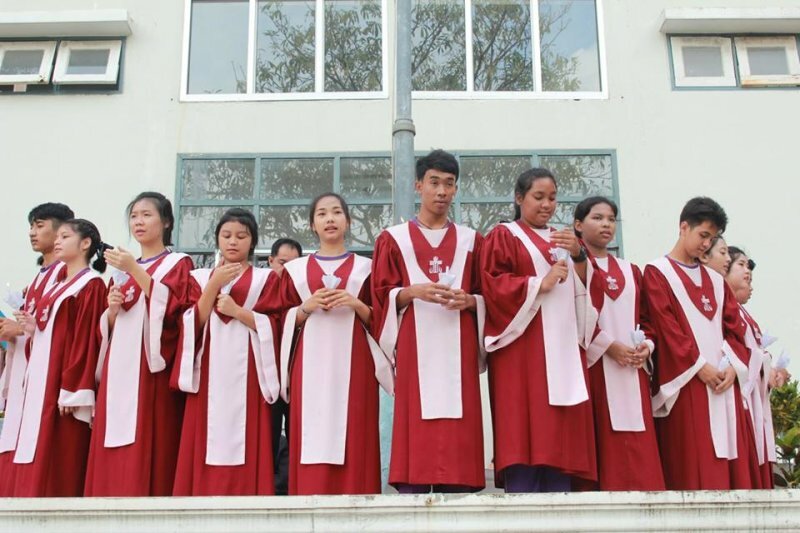 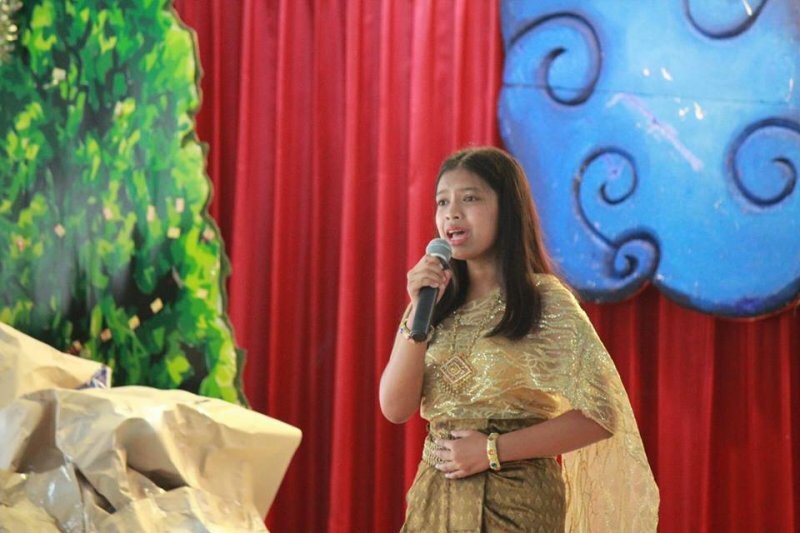 On this day, there were Sunthorn Phu’s play,Phra Apai Manee, starred by G. 12 students and cosplay competition of secondary students. 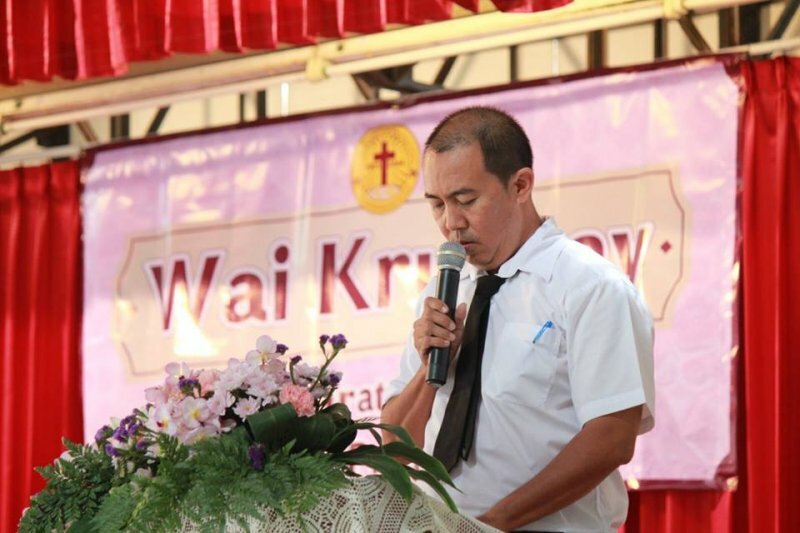 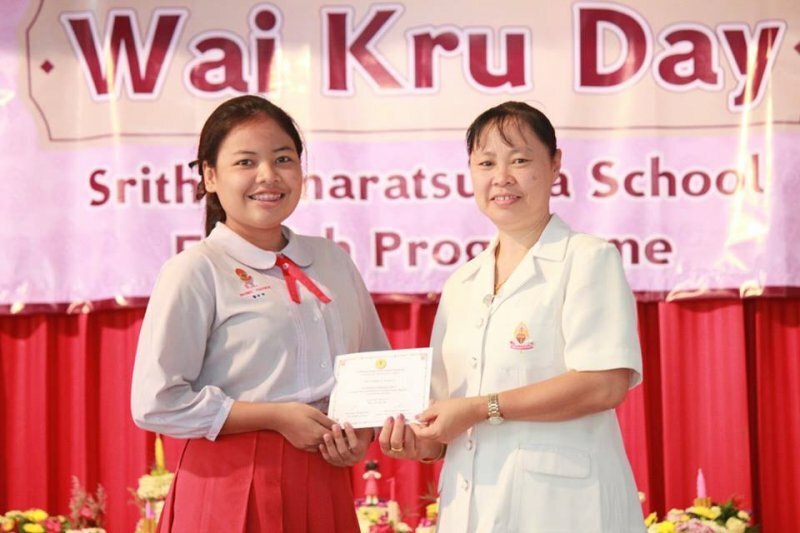 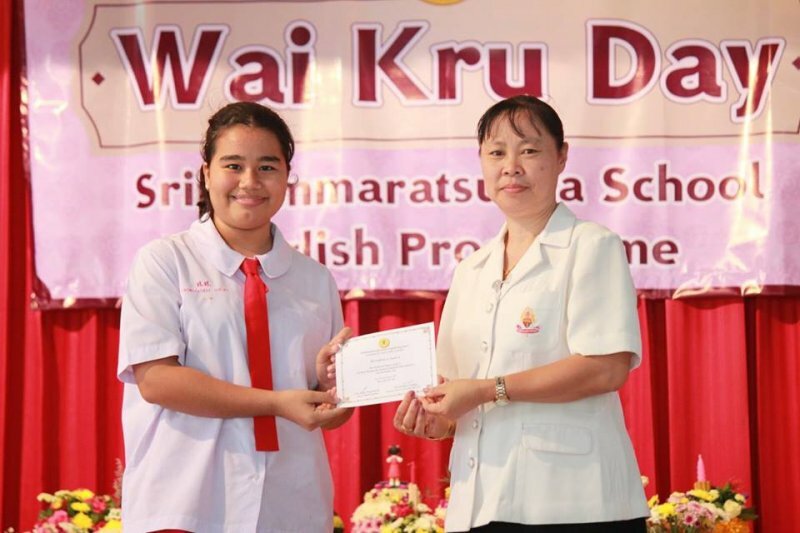 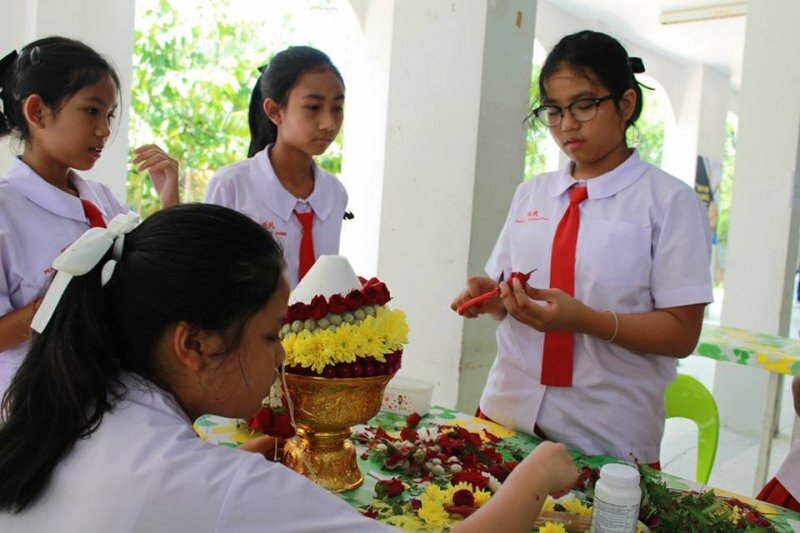 On June 15th, 2017, Srithammaratsuksa School English Programme held Wai Kru Day Ceremony Year 2017 to respect their teachers. 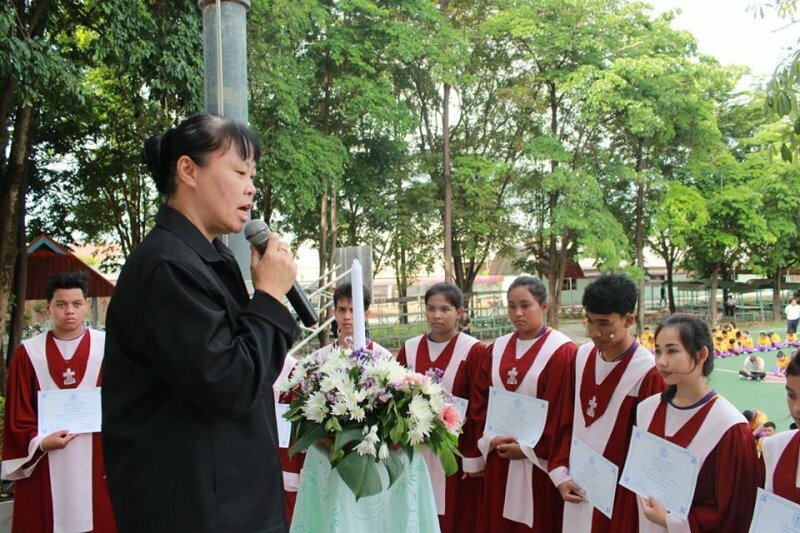 Lighting candle and opening prayer by Elder Sangjan Mitrakul, the director, preaching by teacher Luckana Mitrakul, head of English Programme, giving thank you speech by teacher Juthaporn Taokham, the assistant director of acedemic affairs of English Programme and closing prayer by teacher Tinnakorn Sookpan. 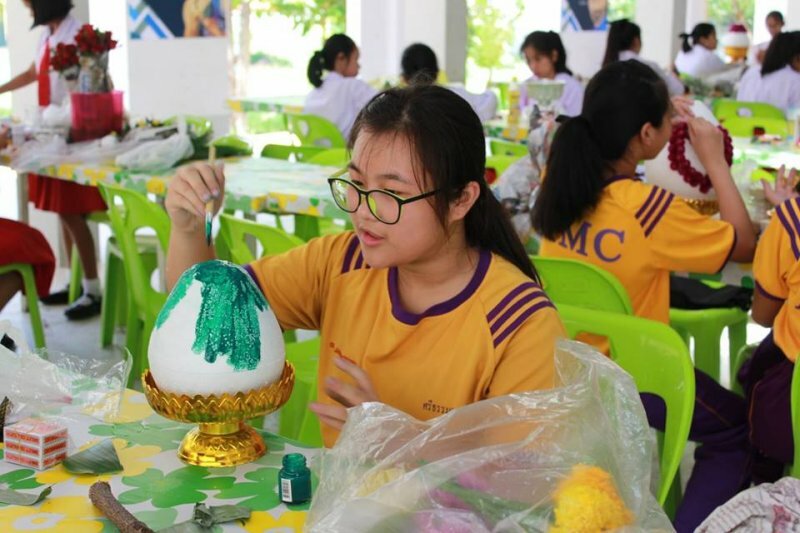 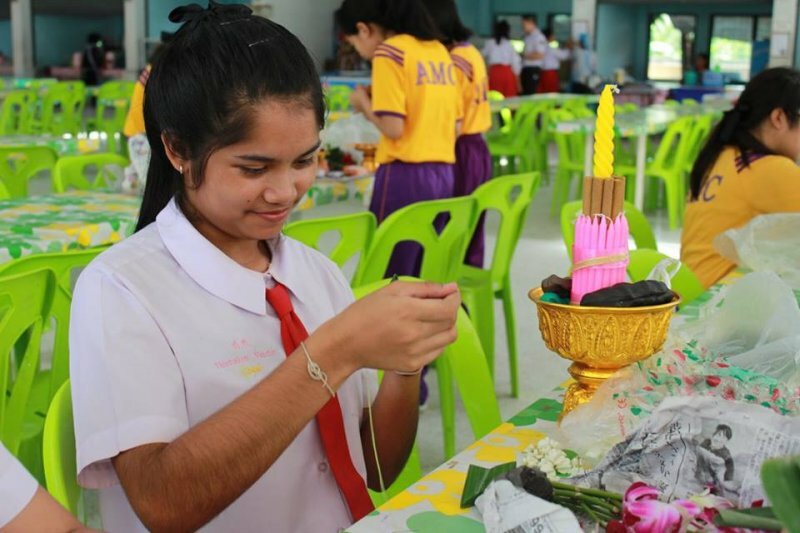 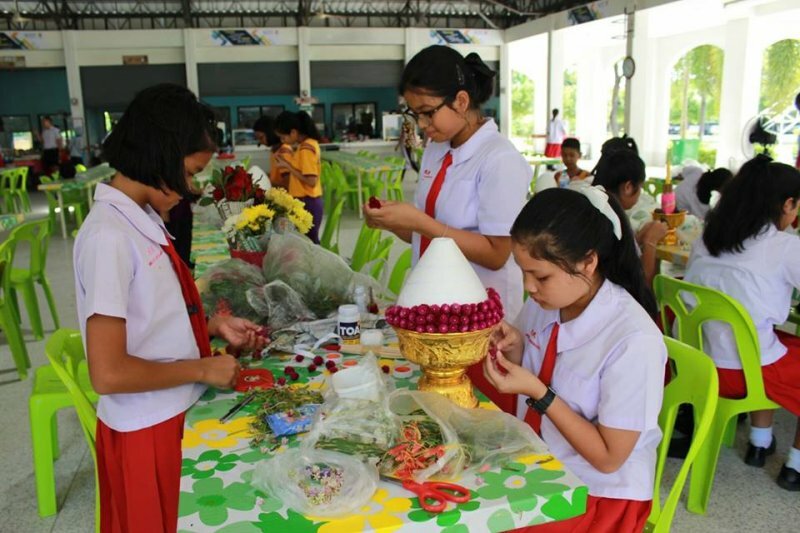 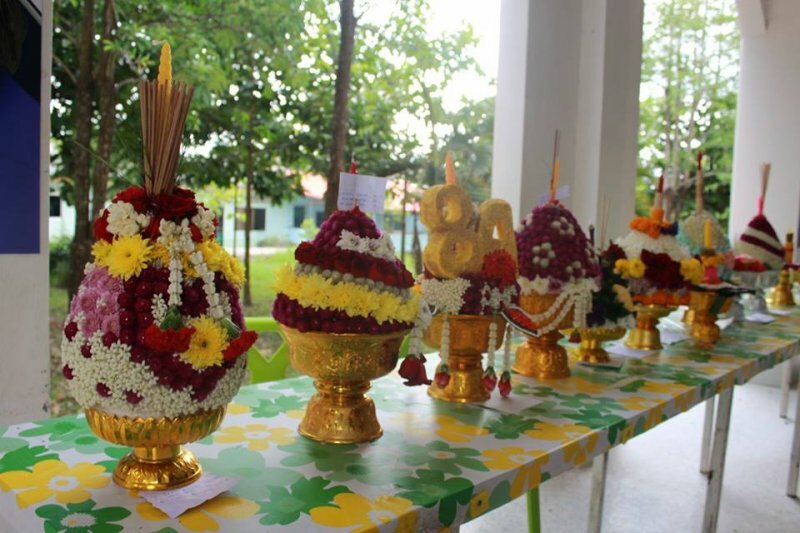 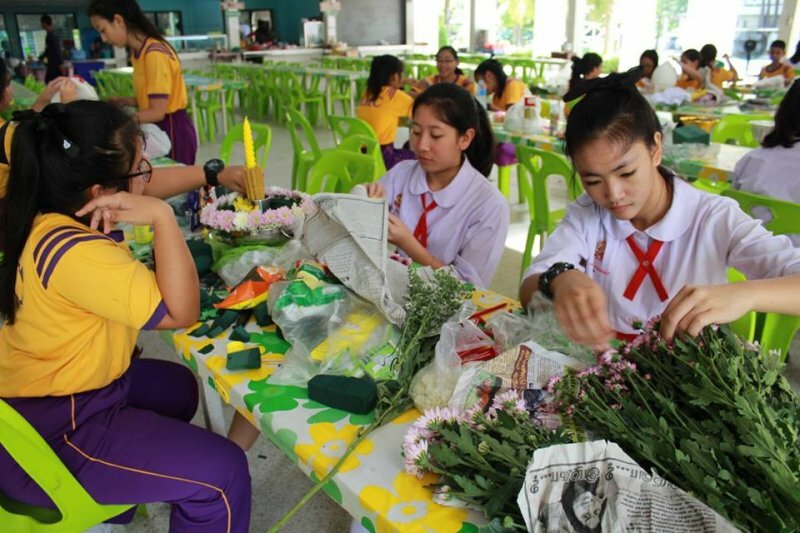 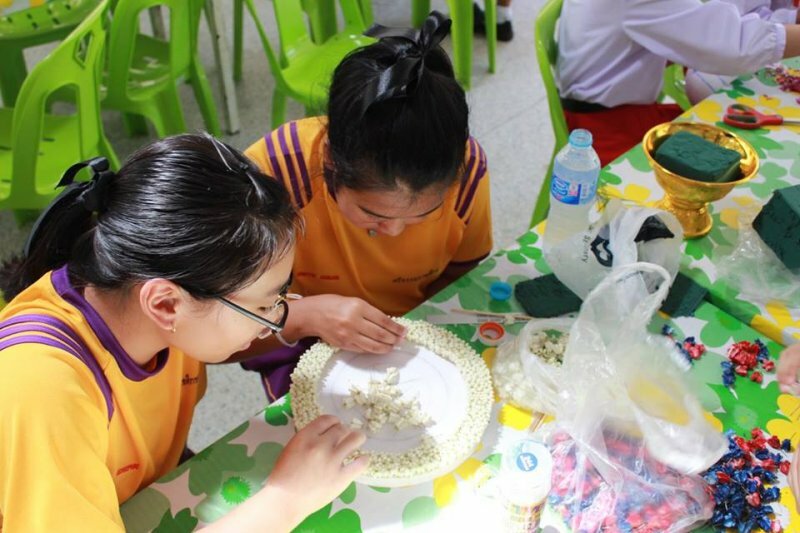 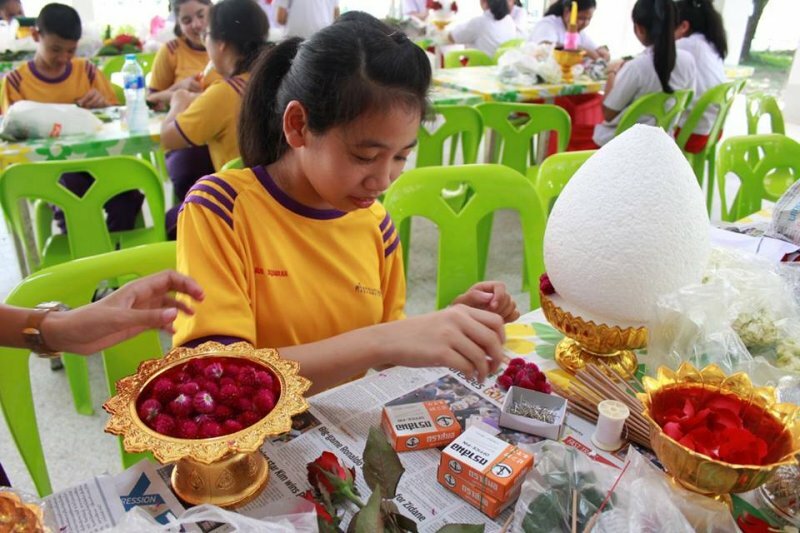 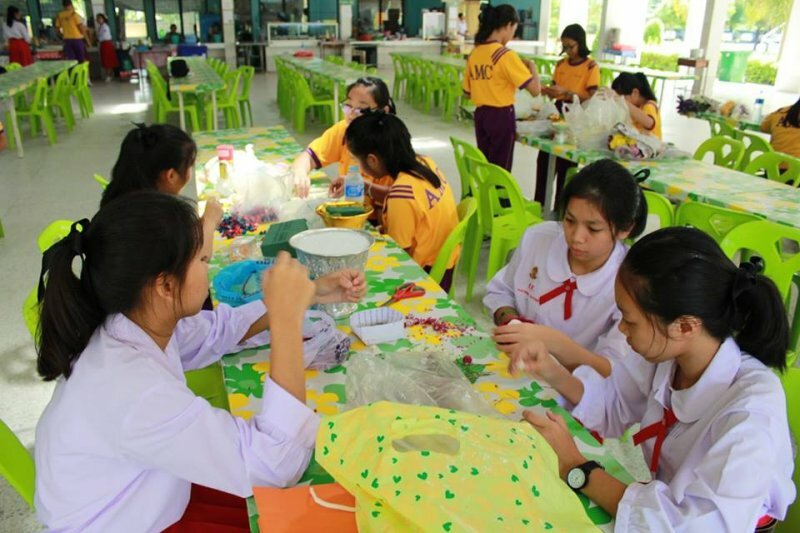 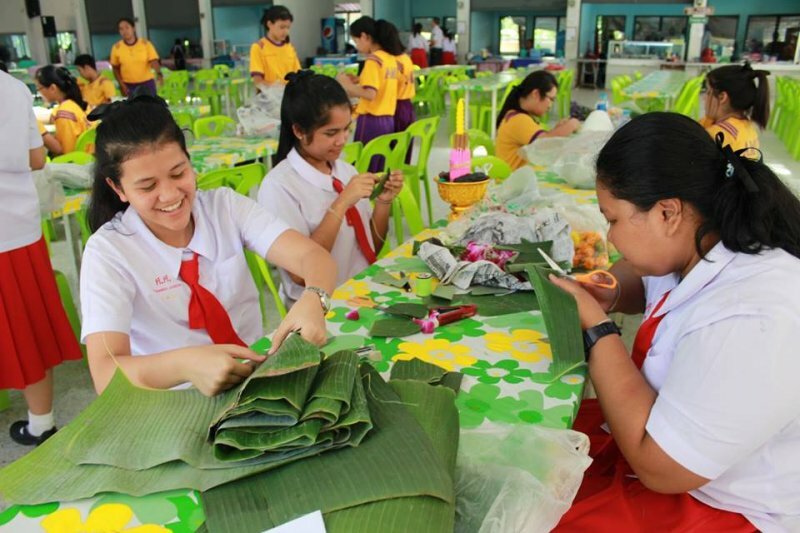 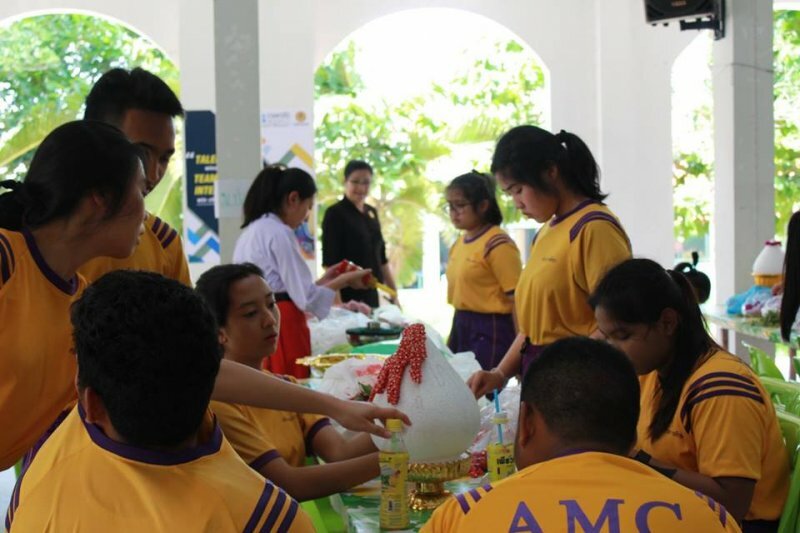 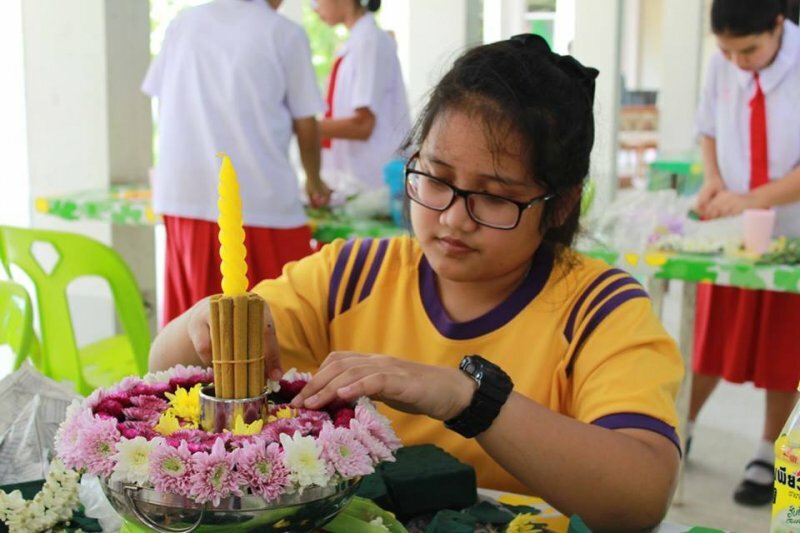 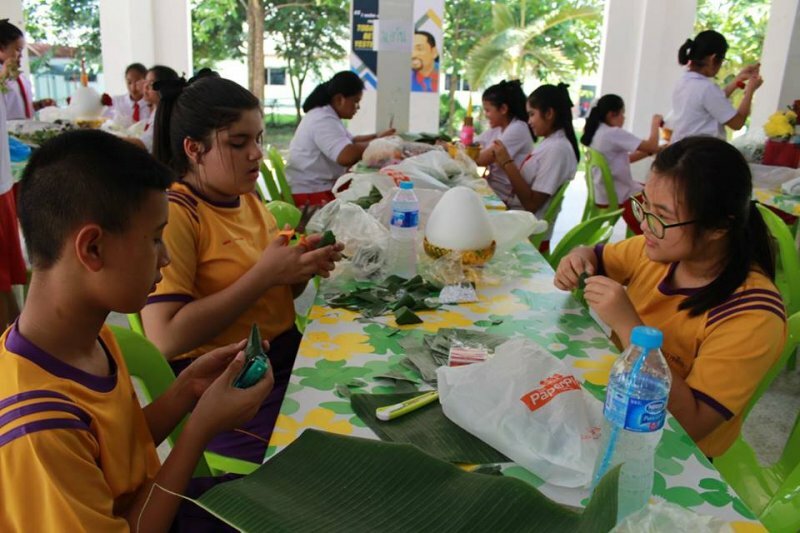 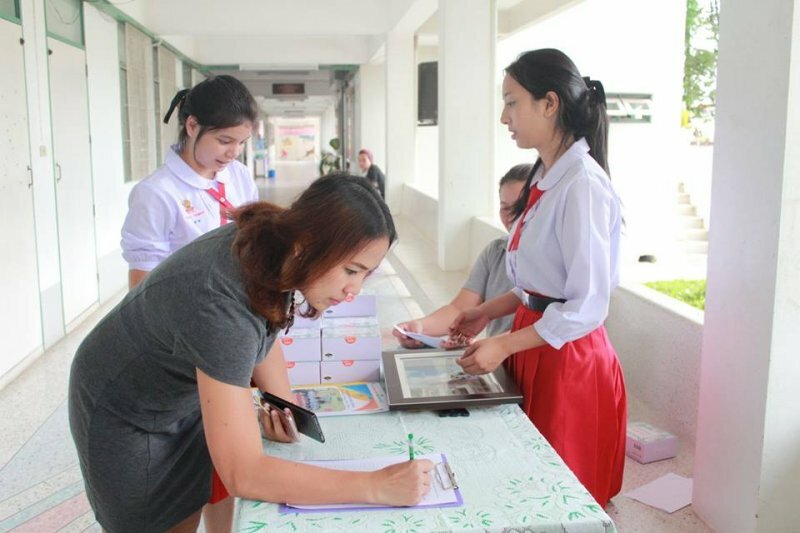 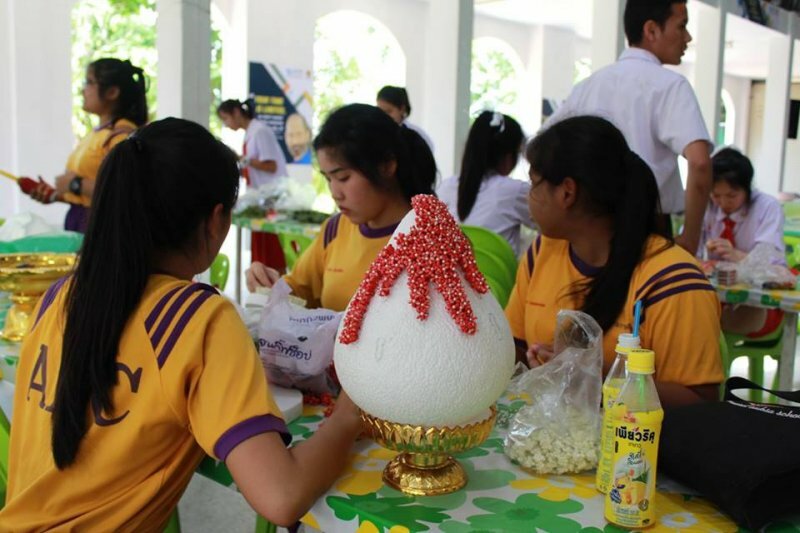 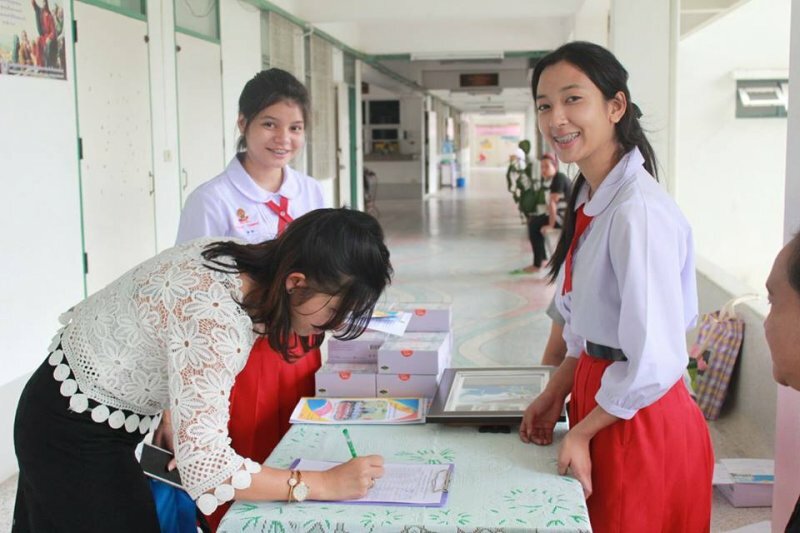 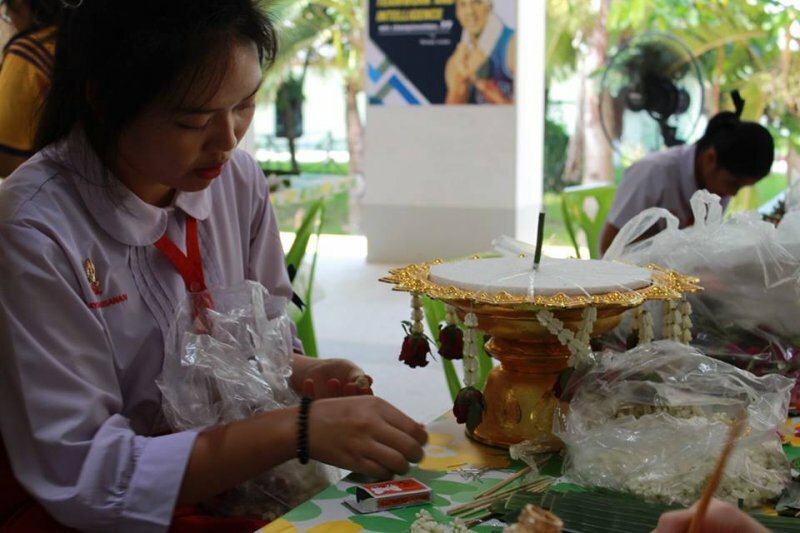 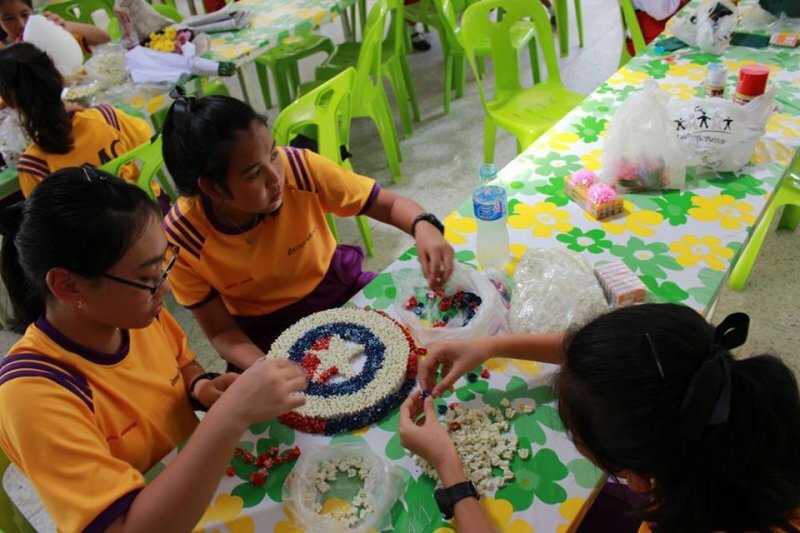 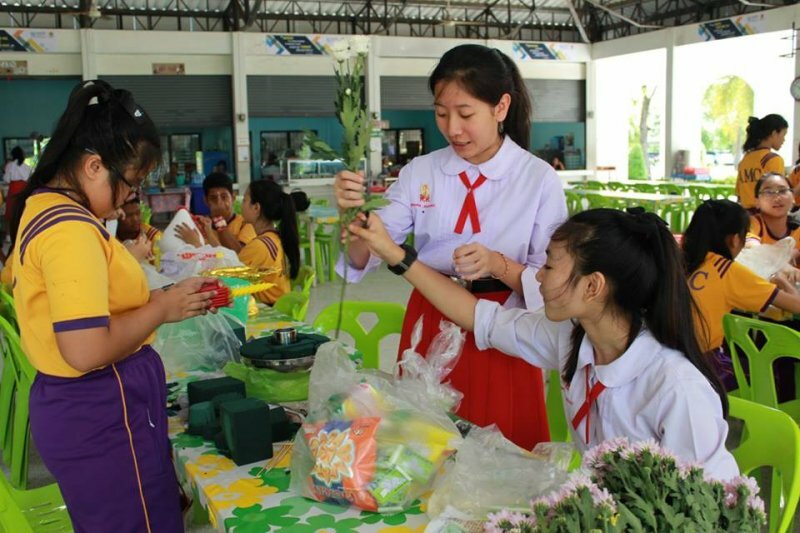 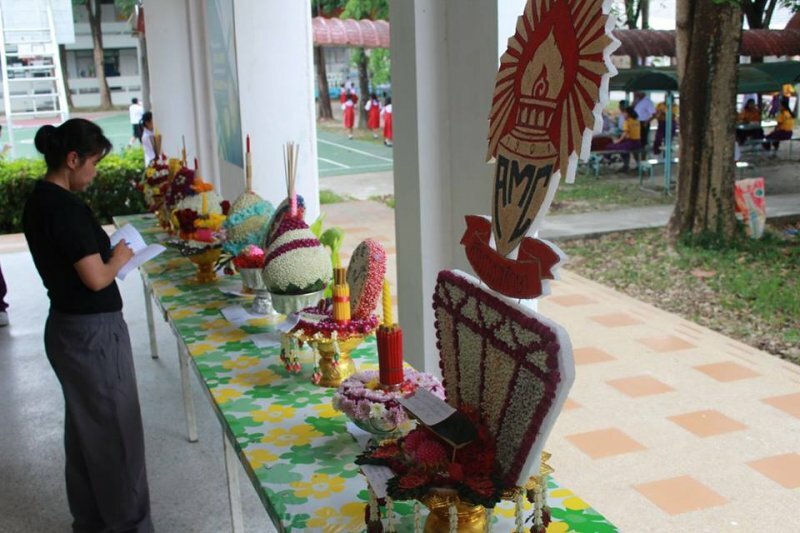 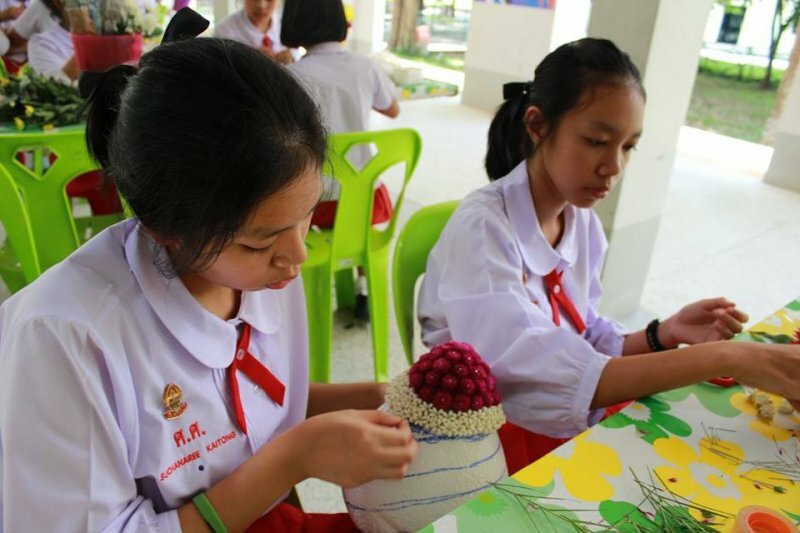 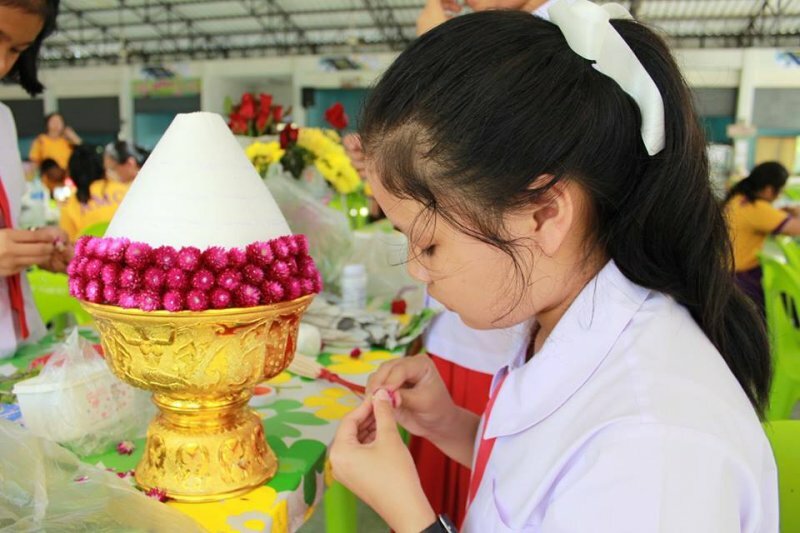 On June 14th, 2017, secondary English Programme students participated in Wai Kru Day 2017: Making Flower Tray Competition. 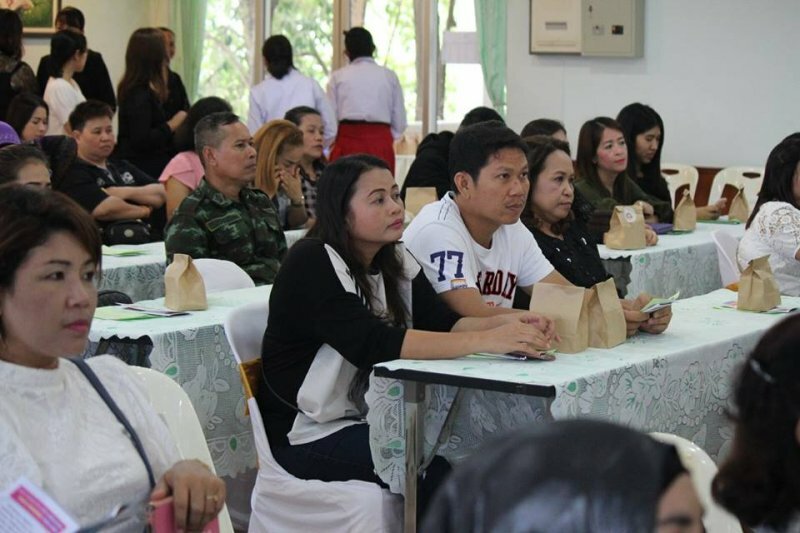 Parents of G.7 and G.10 students came to school for parents meeting at Srithammaratsuksa School English Programme on May 31st, 2017. 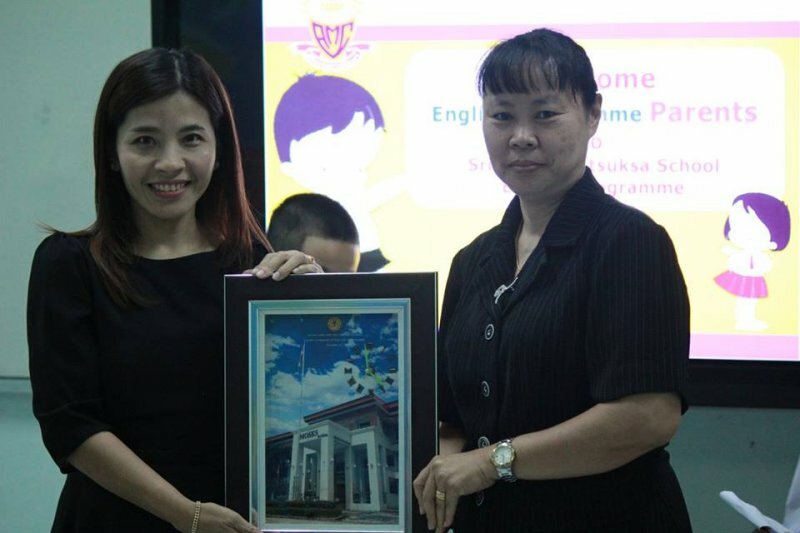 The Head of English Programme, teacher Luckana Mitrakul, welcomed the parents and introduced school staff. 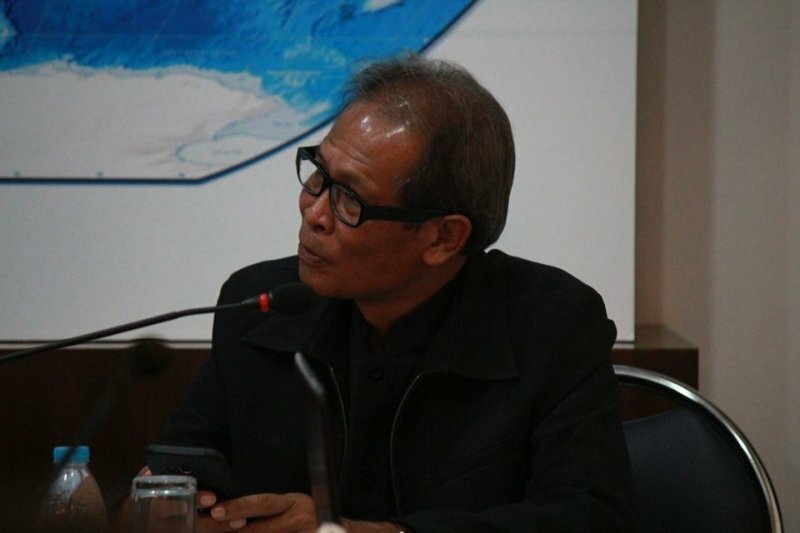 Then Mr. Sorawit Jantan gave a special speech. 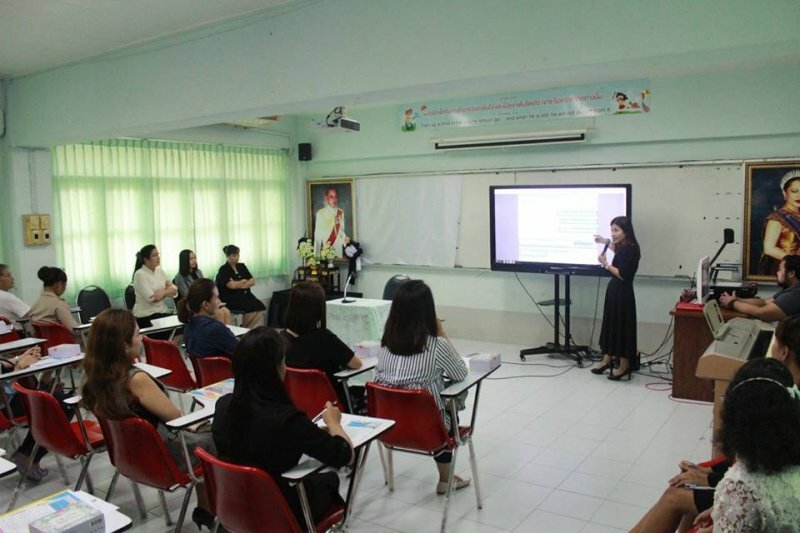 Teacher Juthaporn Taokham, the Assistant Director of Academic Affair in English Programme, informed parents about the academic in year 2017. 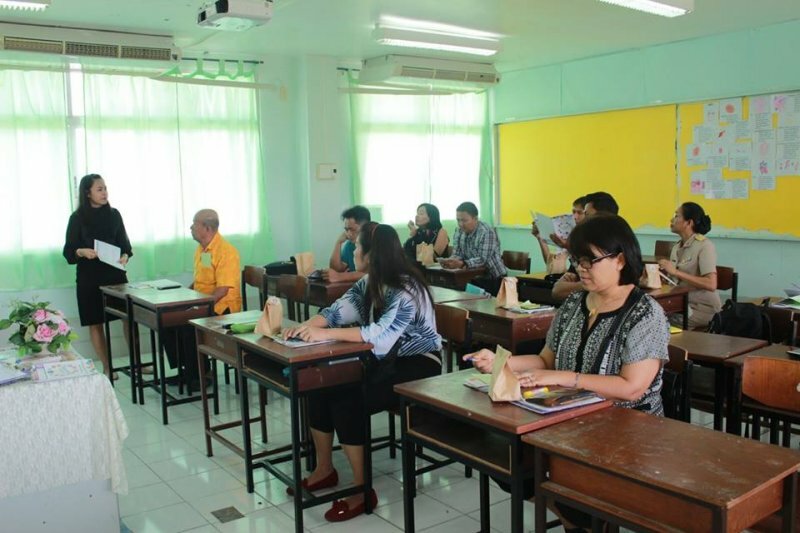 After that parents went to see homeroom teachers to receive more information about students of each classrooms. 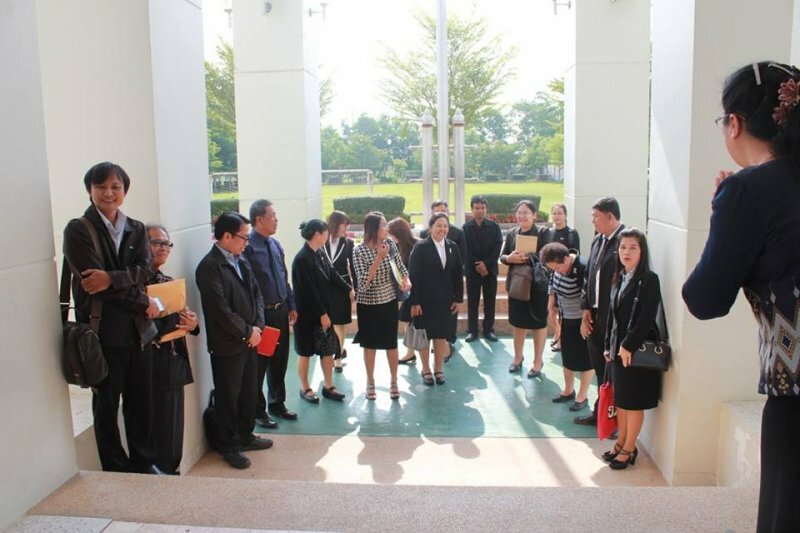 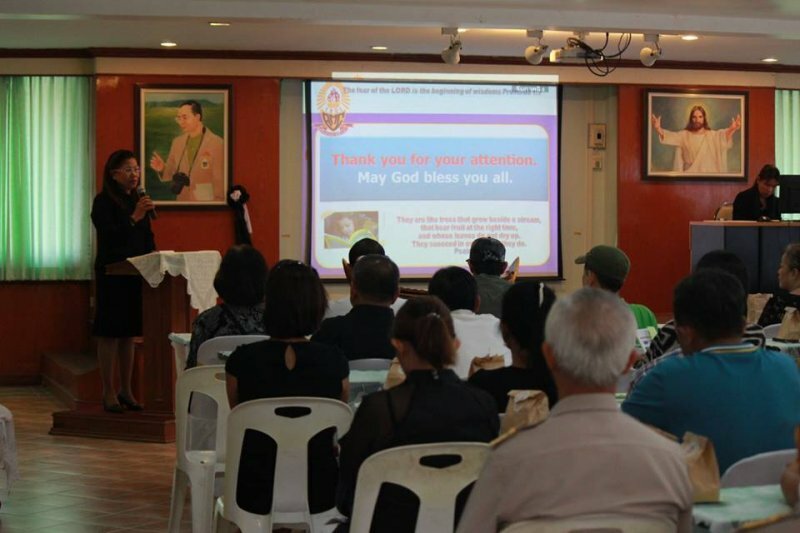 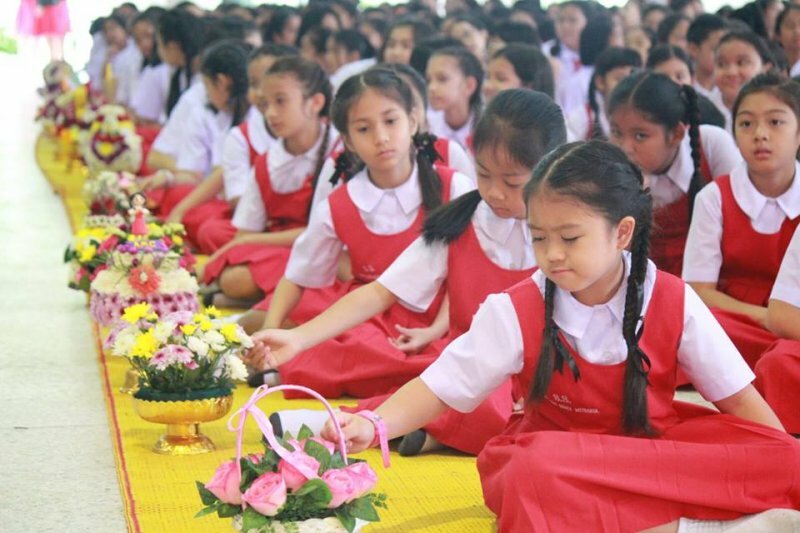 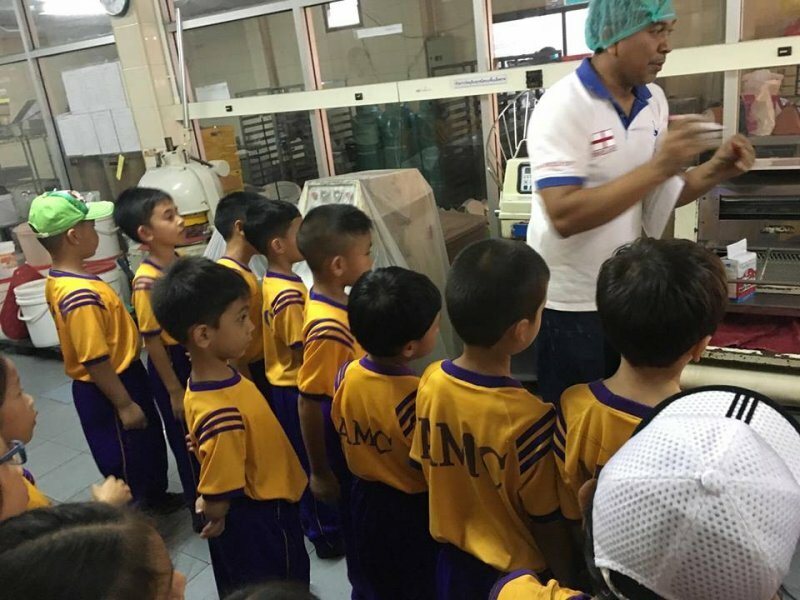 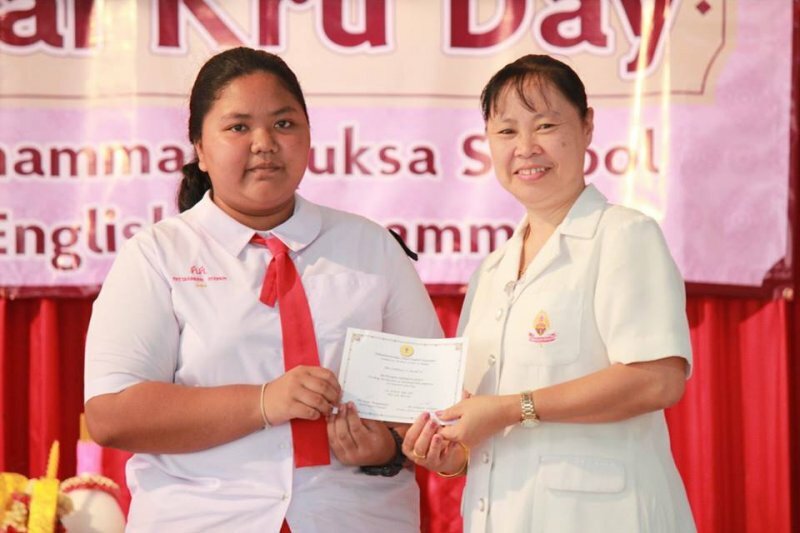 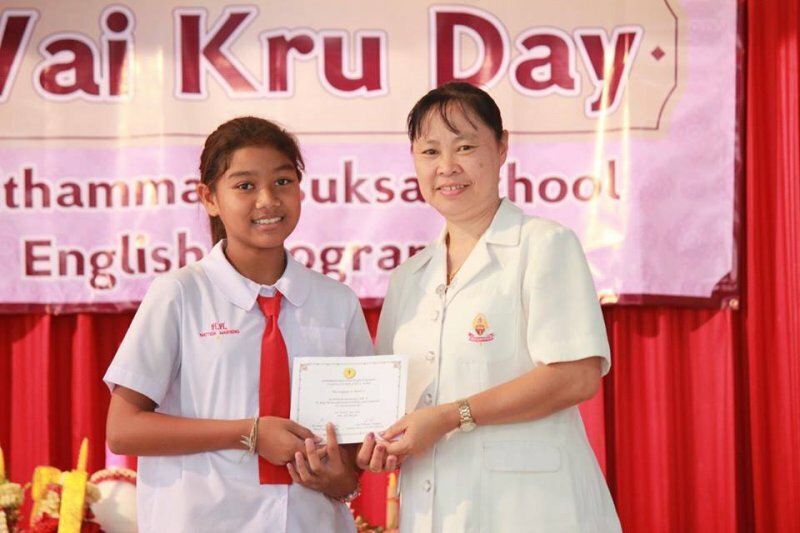 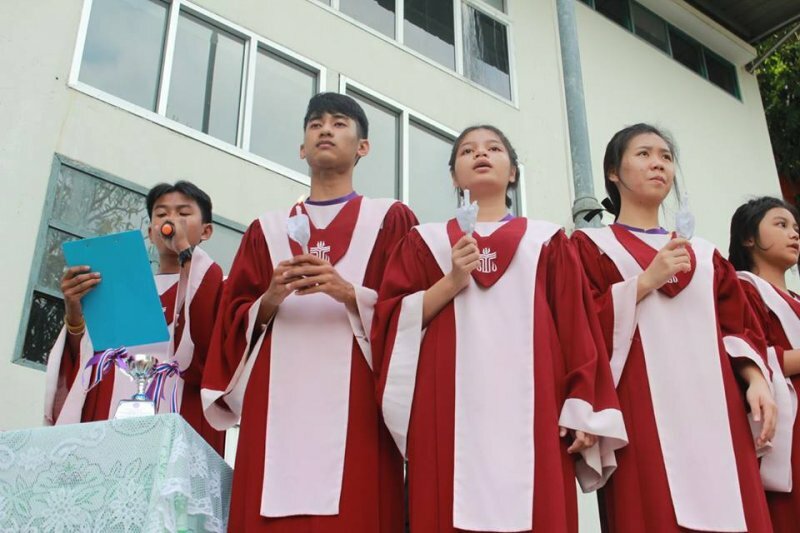 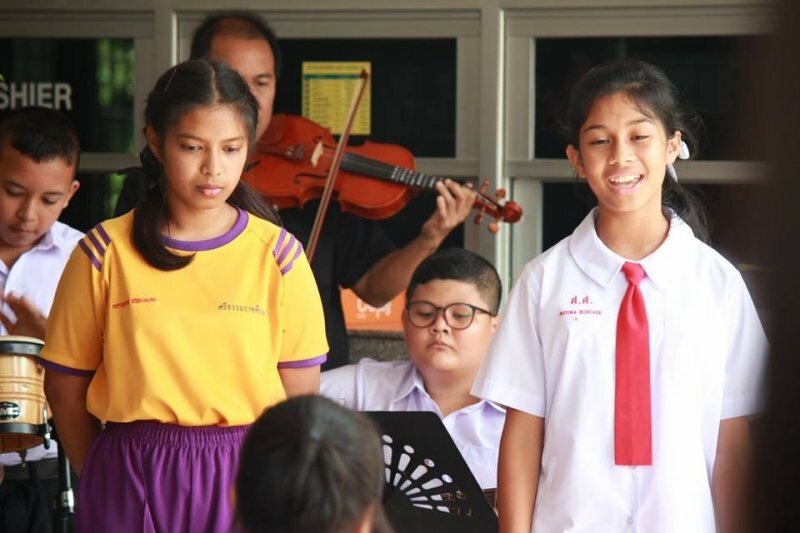 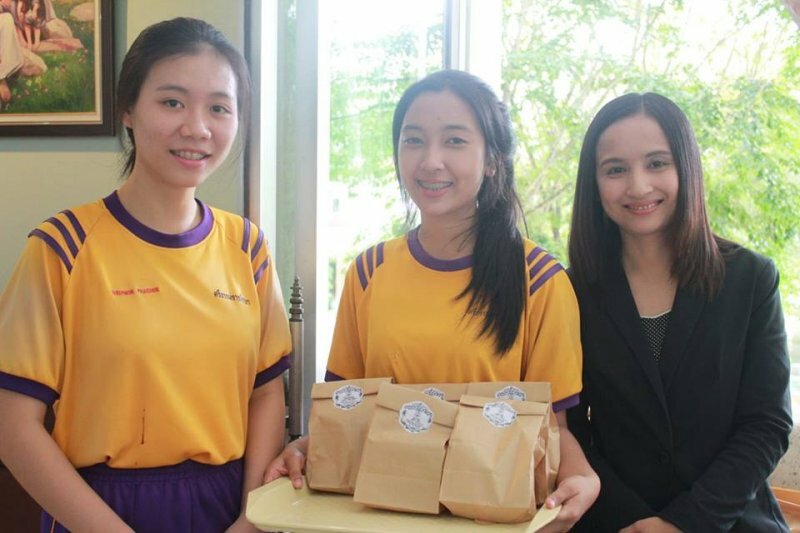 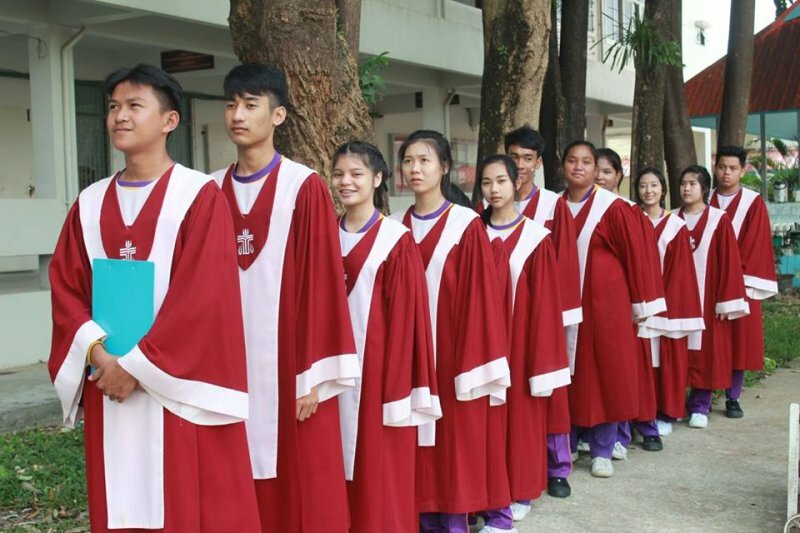 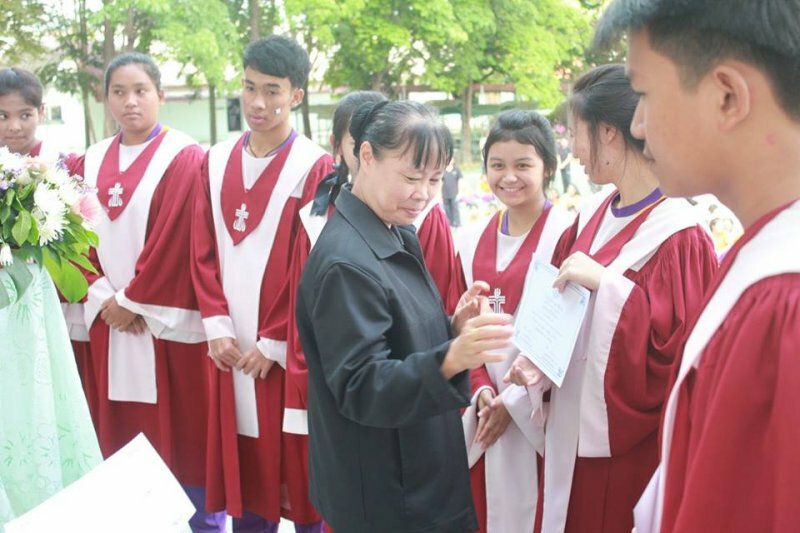 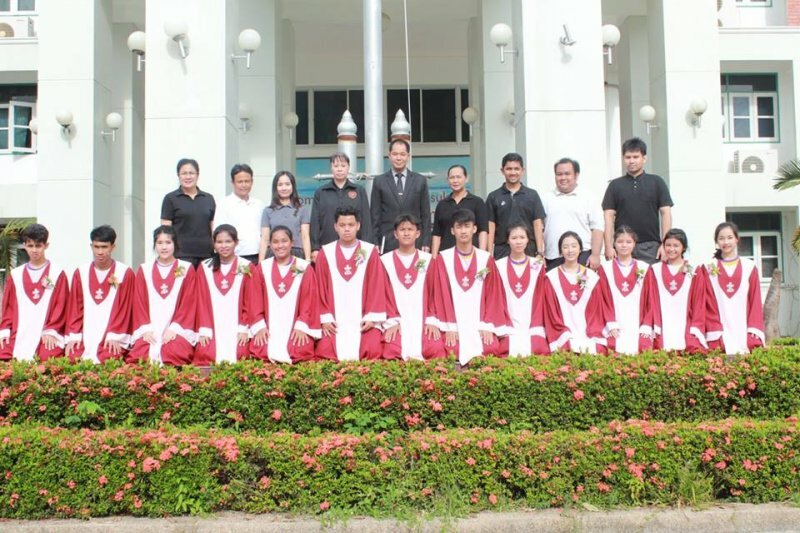 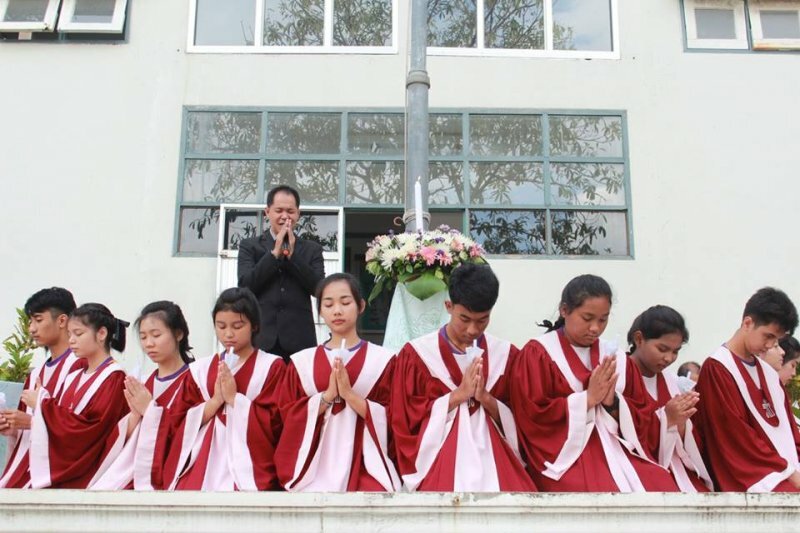 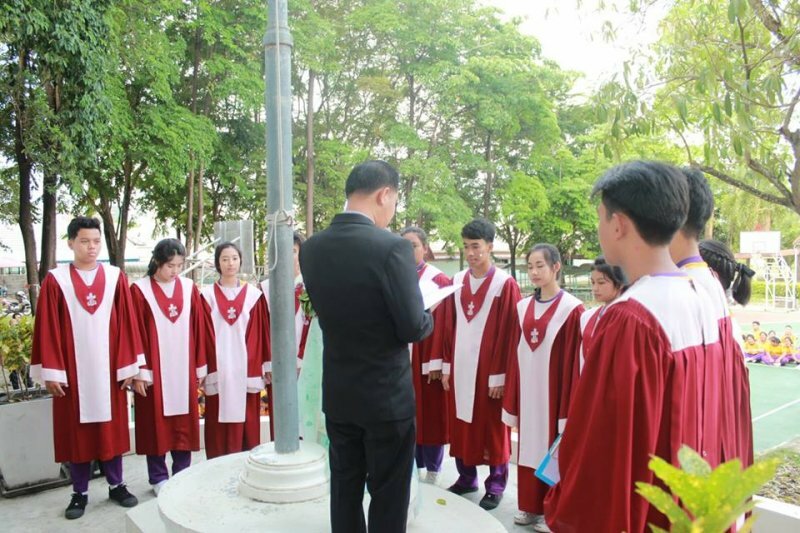 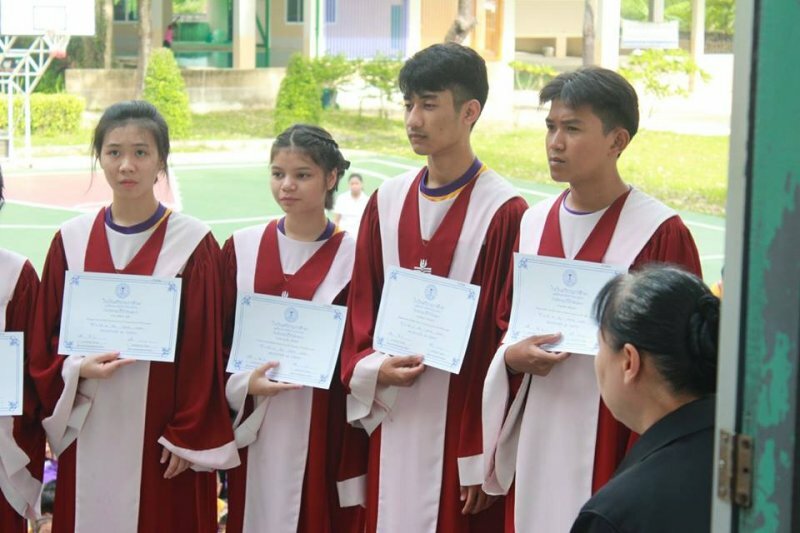 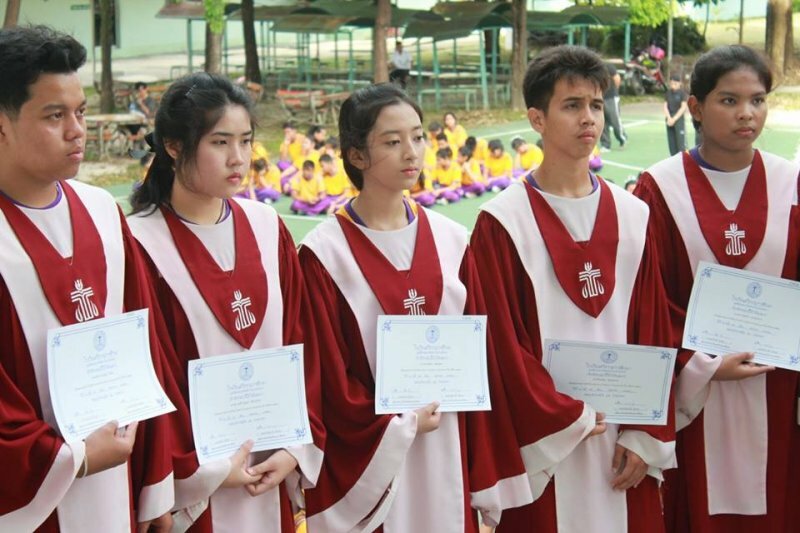 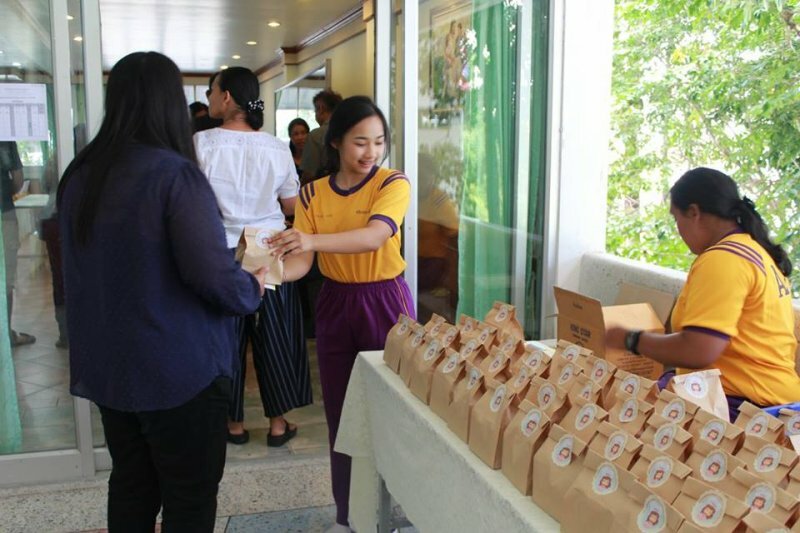 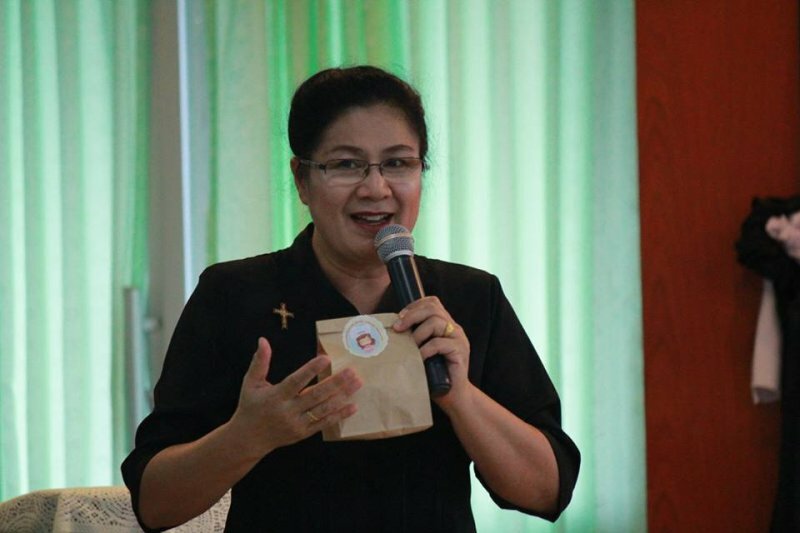 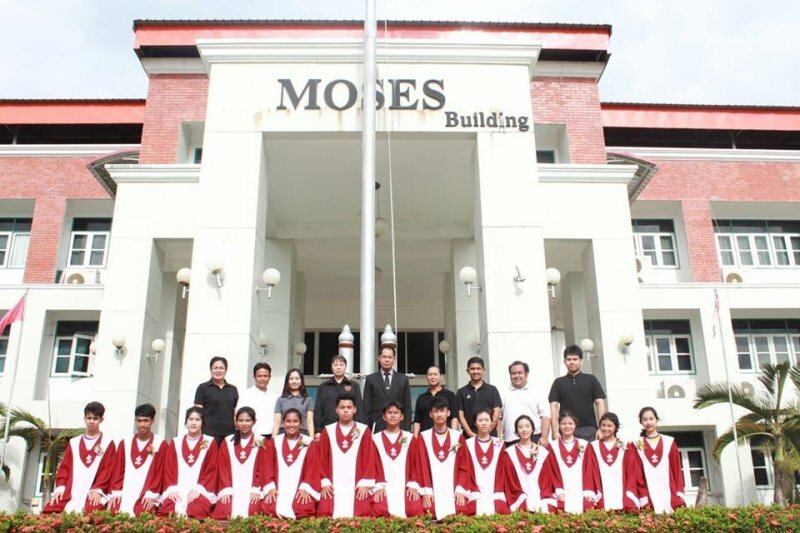 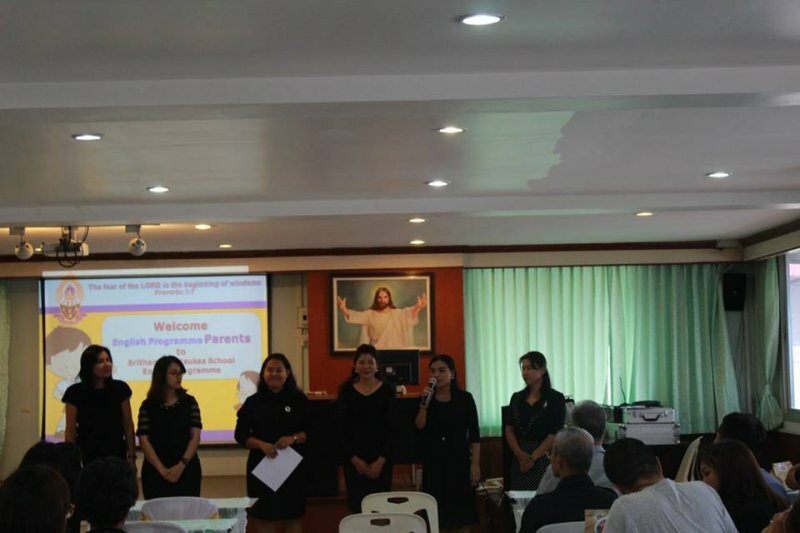 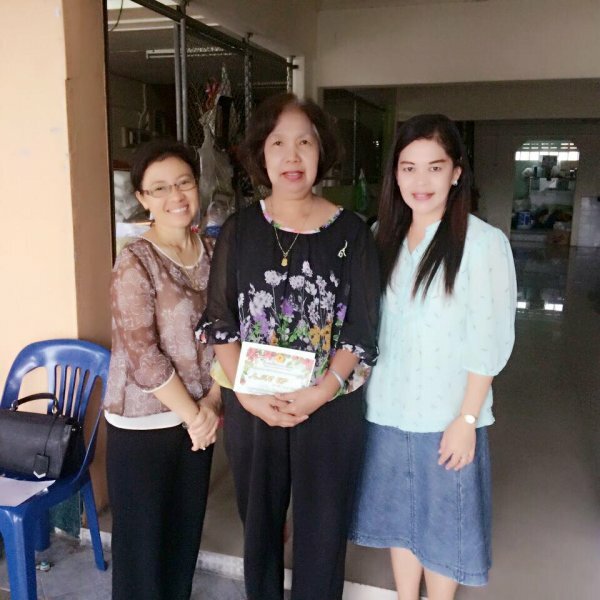 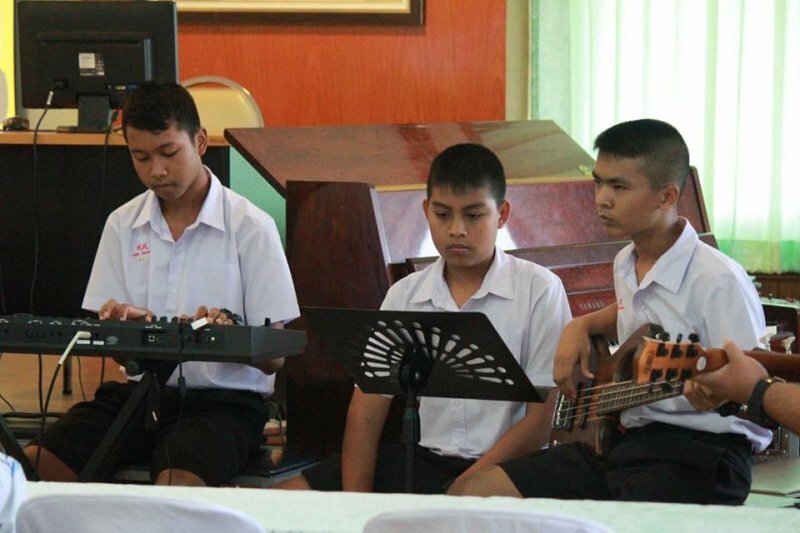 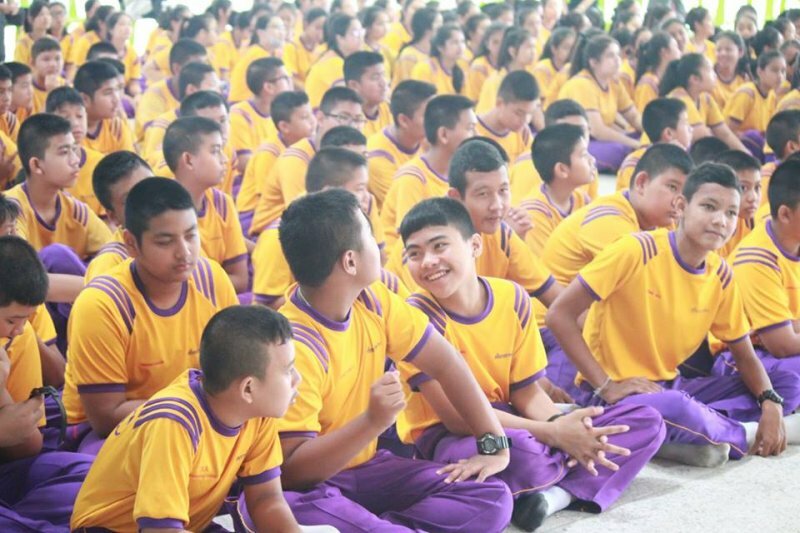 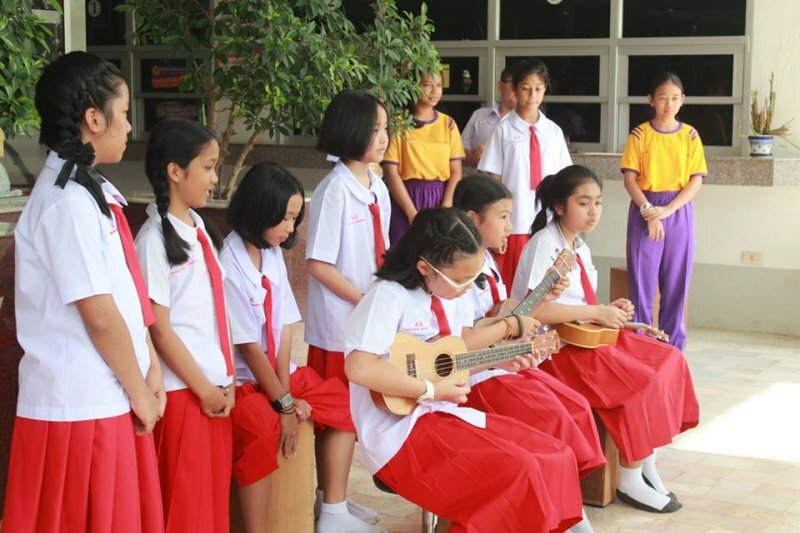 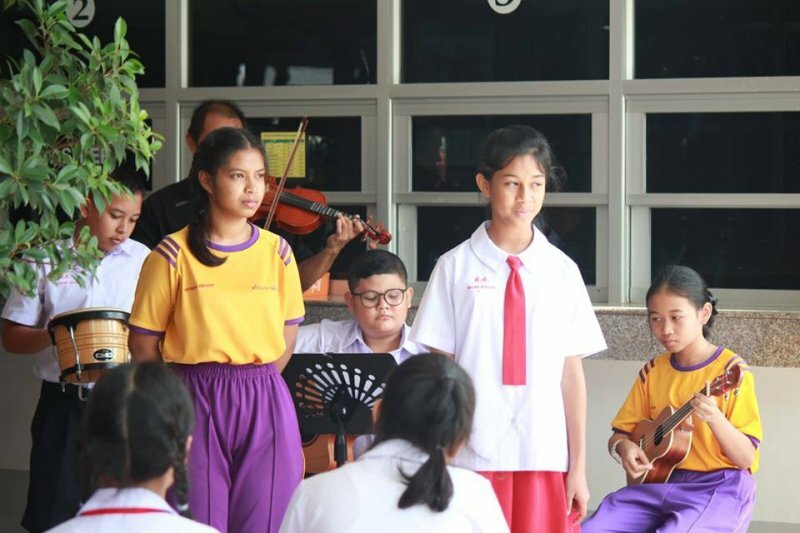 On May 30th, 2017, schools under the Church of Christ in Thailand visited Srithammaratsuksa School. 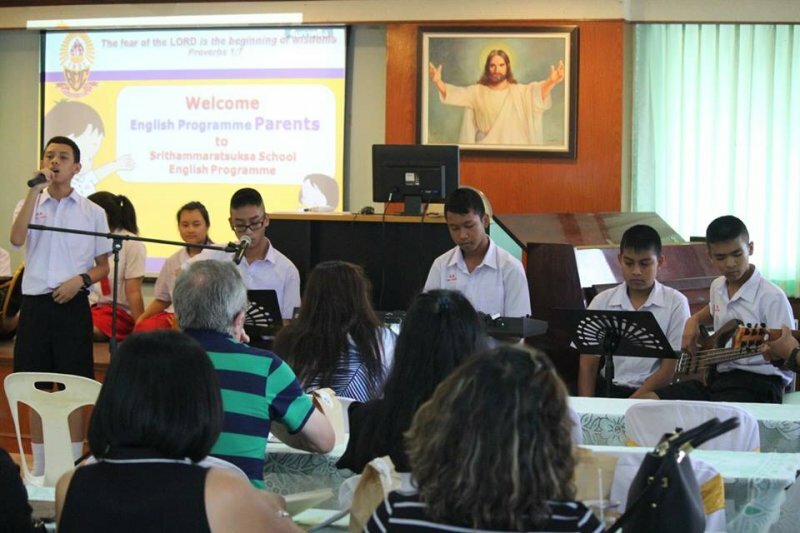 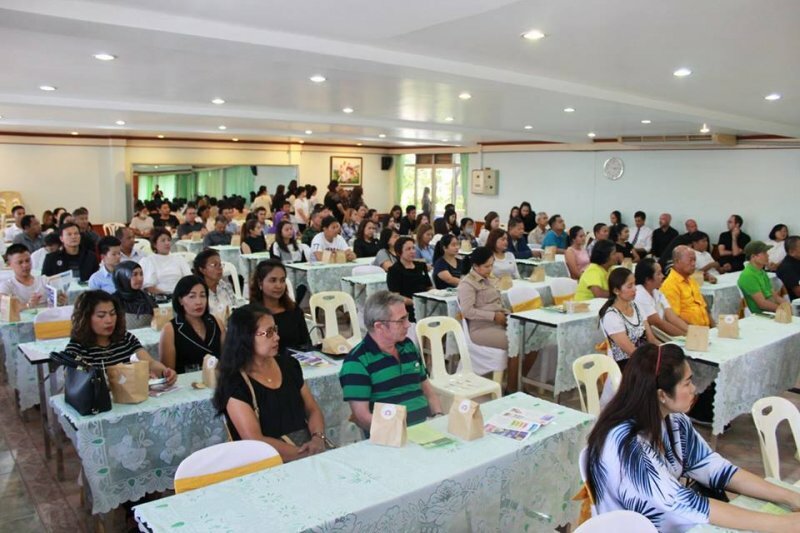 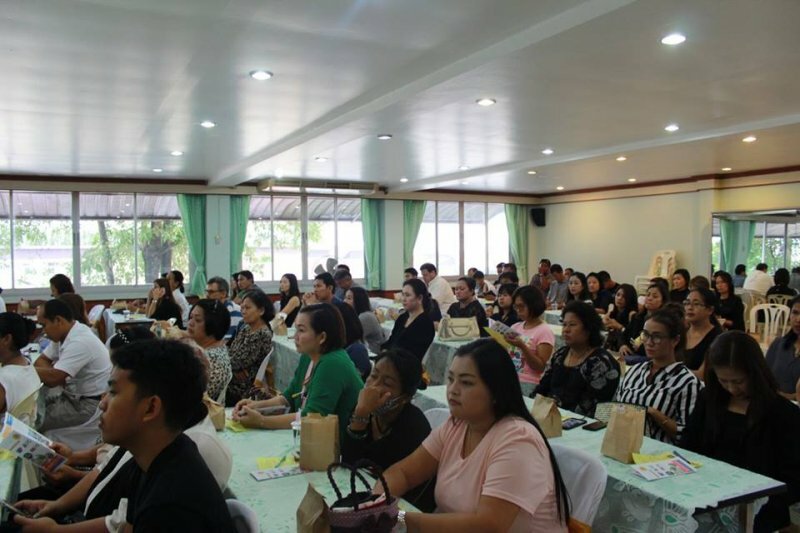 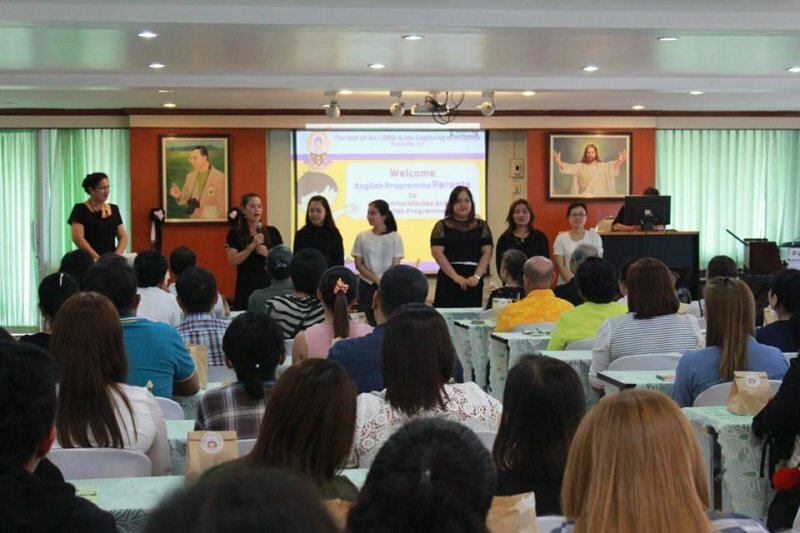 On May 29th, 2017, G.1 English Programme parents particiated in Parents Meeting 2017 to received educational information and visions of the school in year 2017. 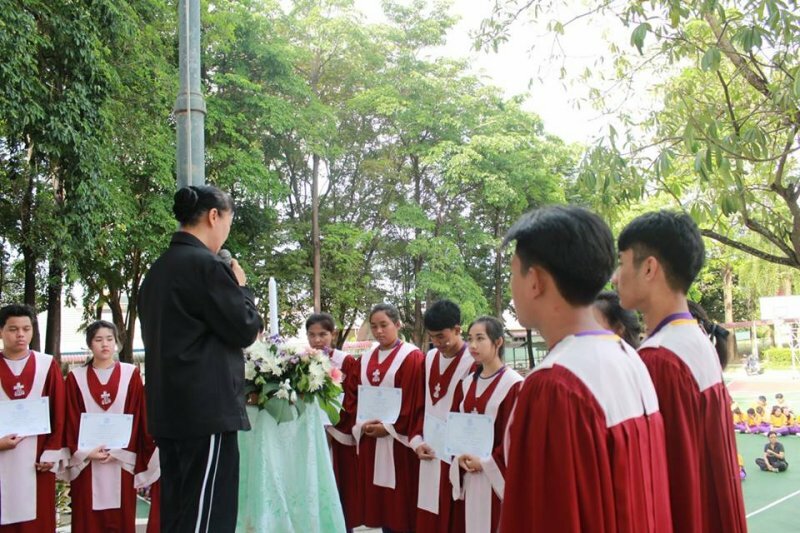 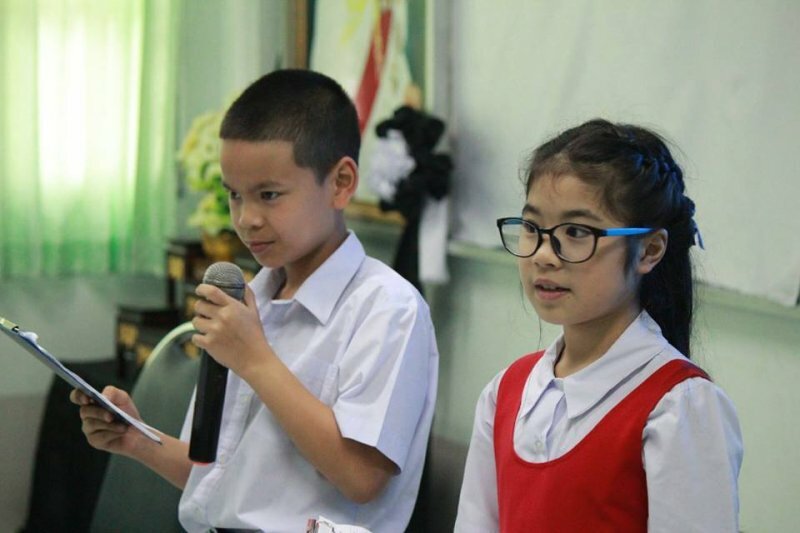 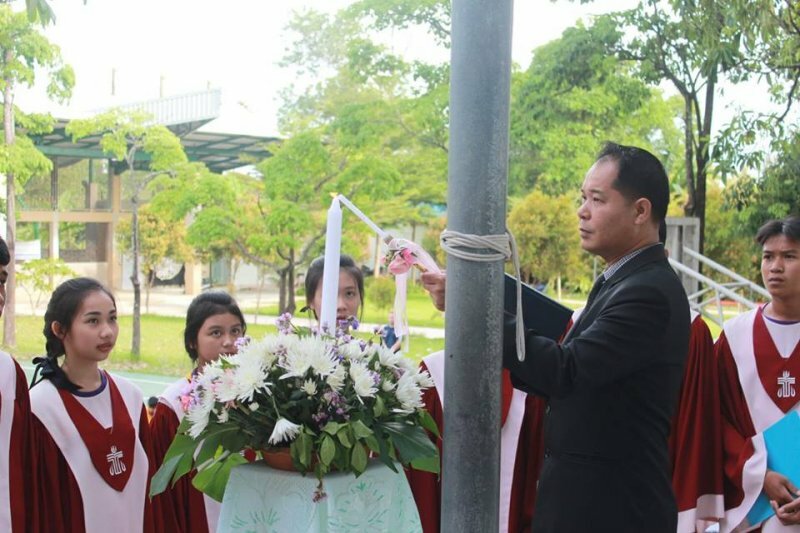 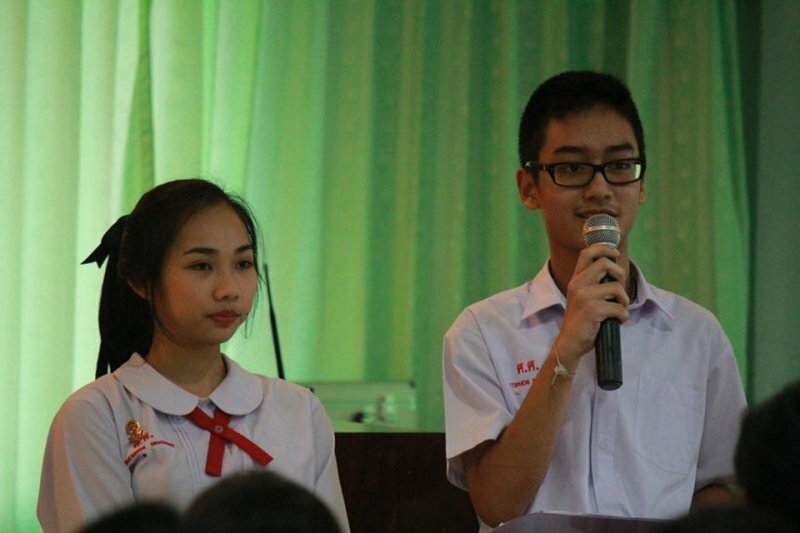 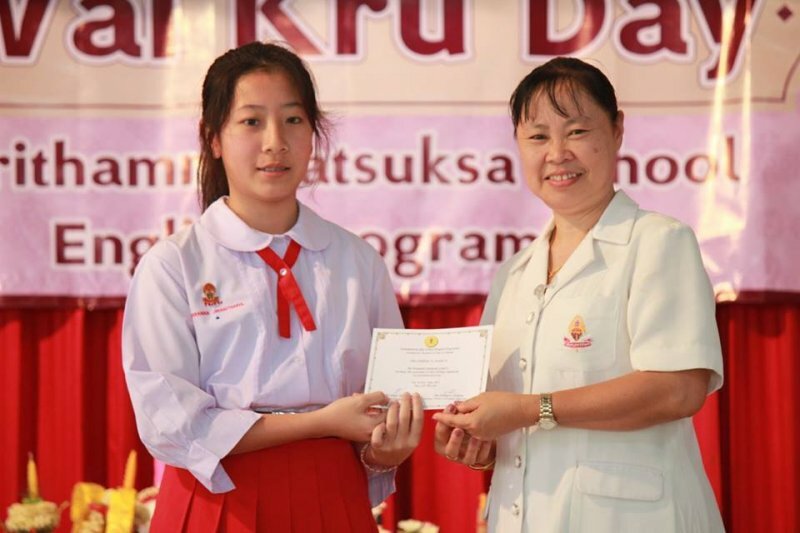 Srithammaratsuksa School English Programme officially announced the new Student Council School Year 2017 on May 26th, 2017 appointed and conducted the ceremony by the director, Mrs. SangJan Mitrakul and teacher Tawee Taokham.